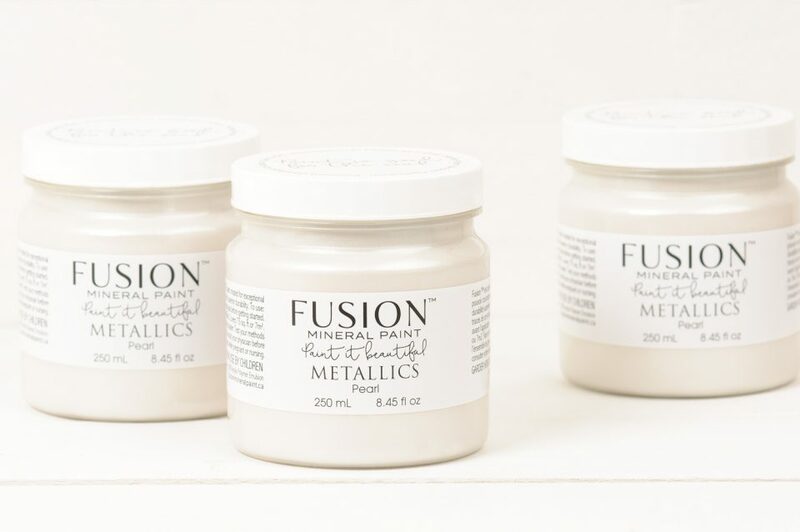 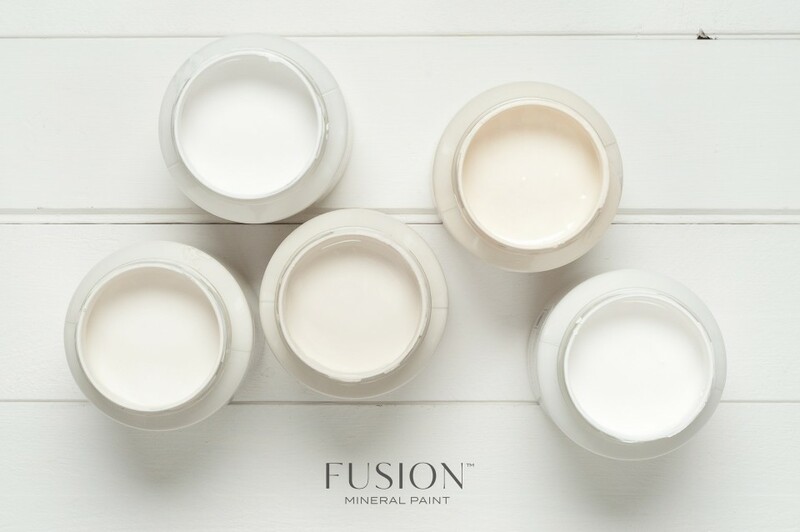 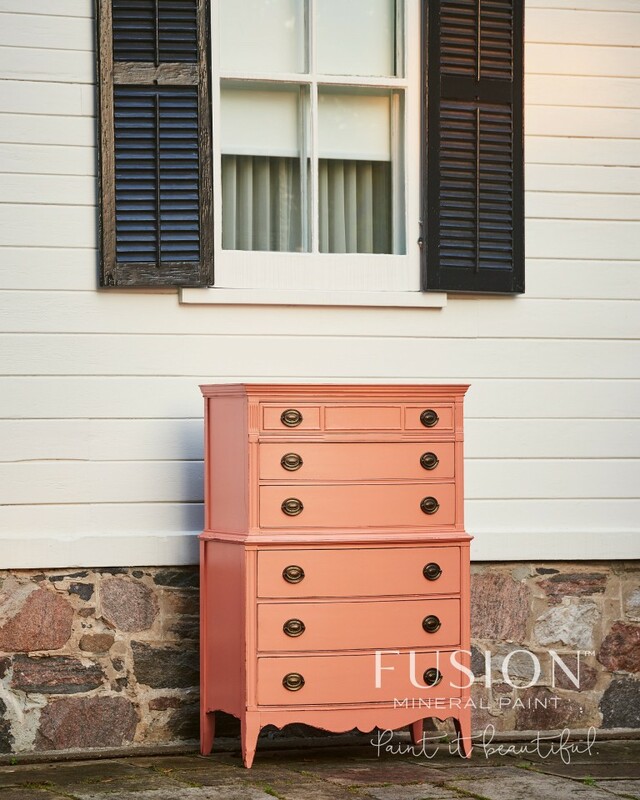 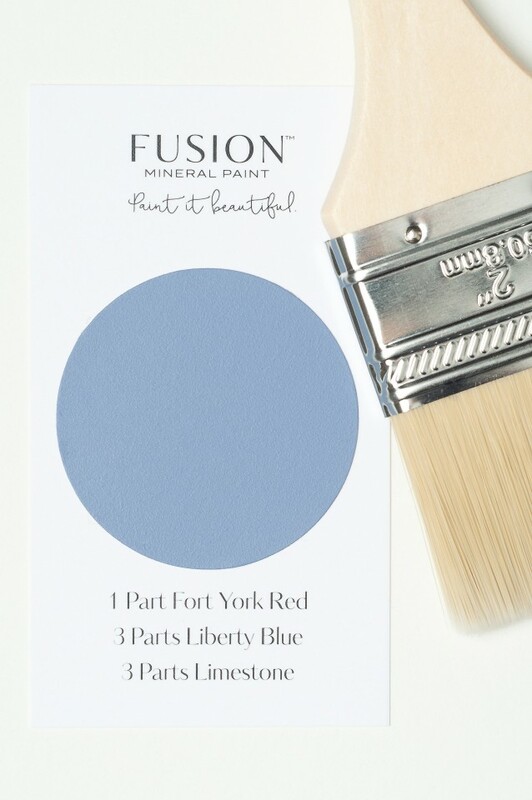 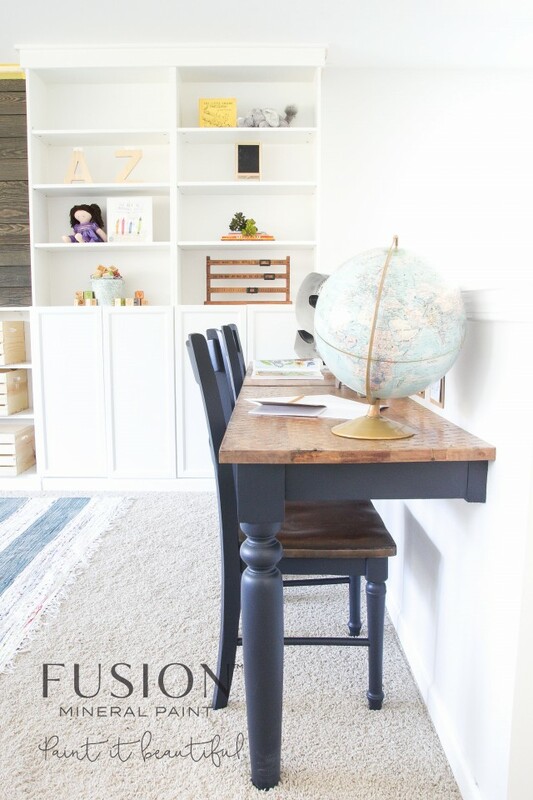 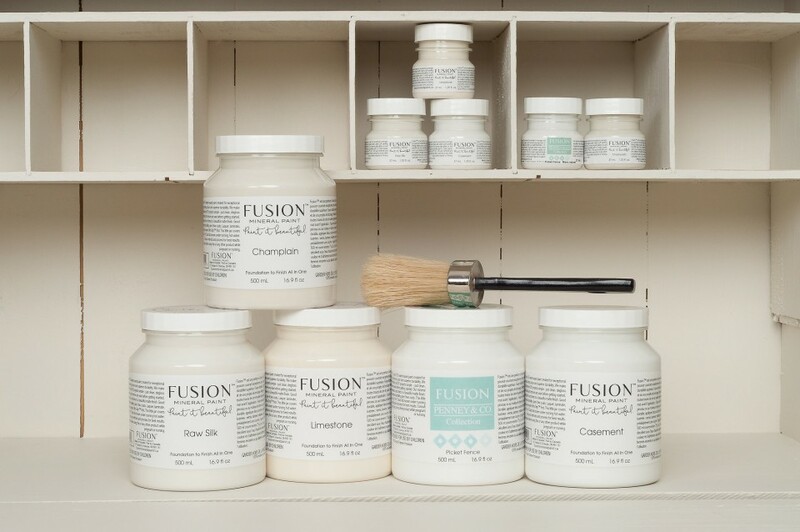 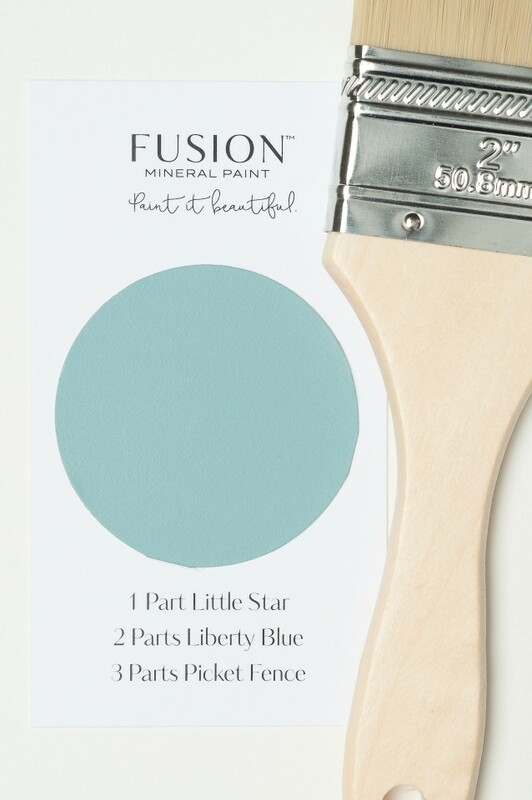 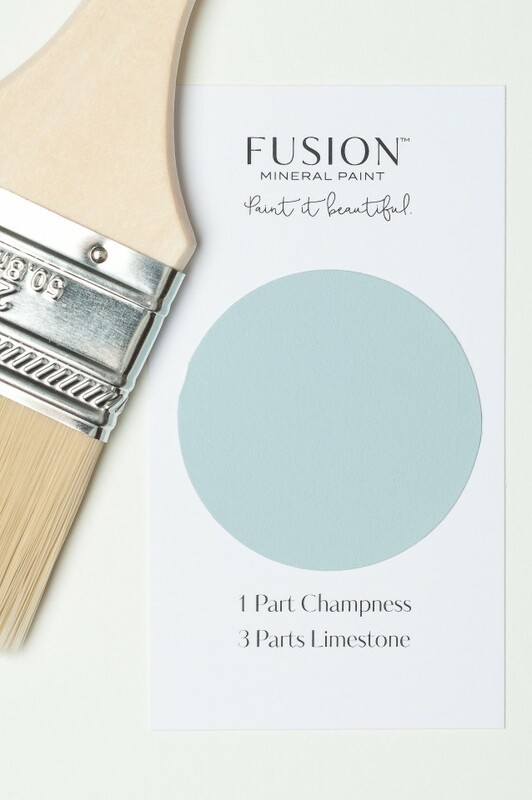 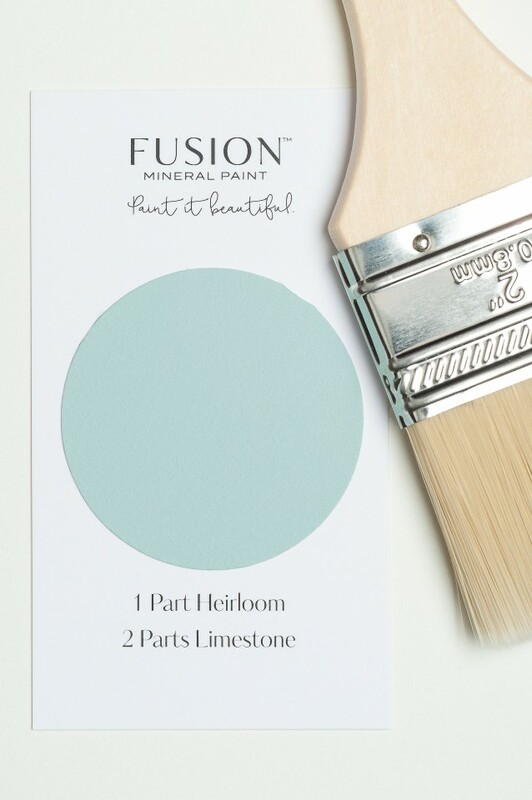 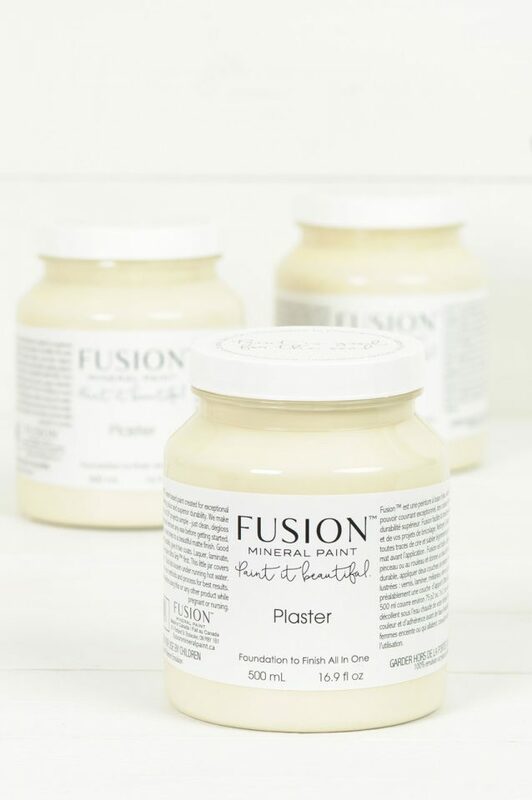 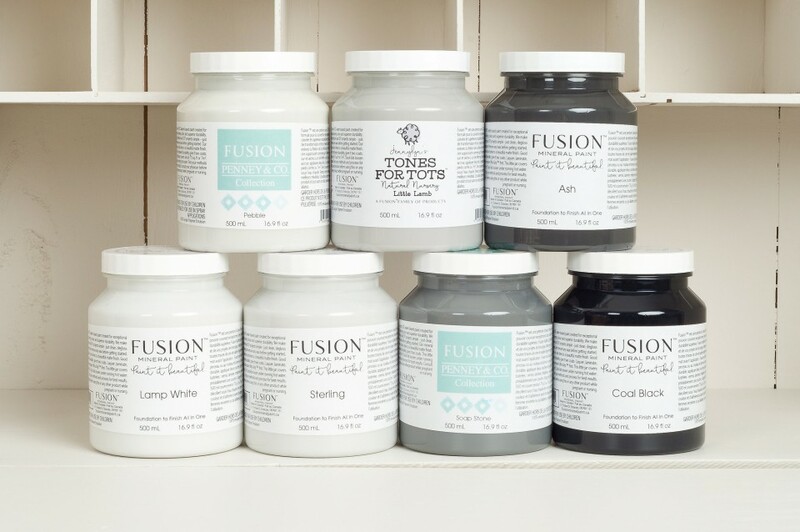 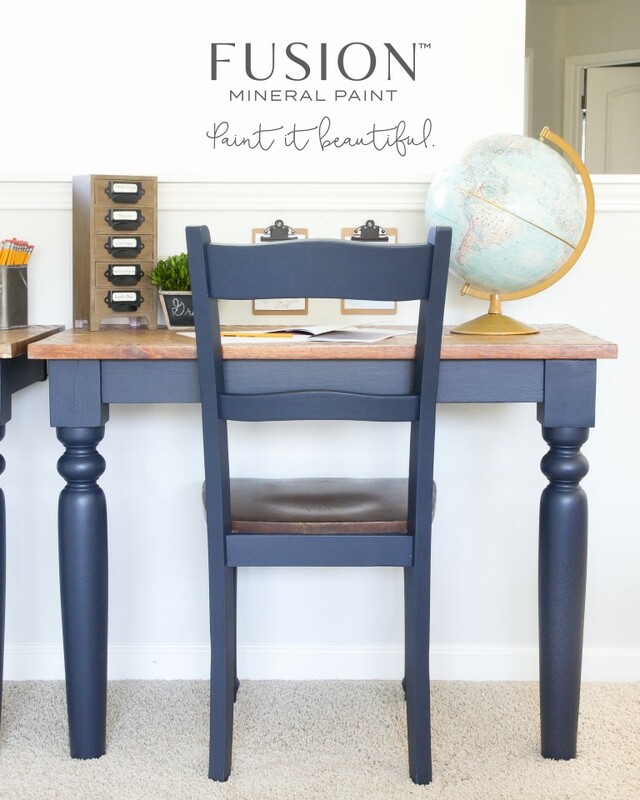 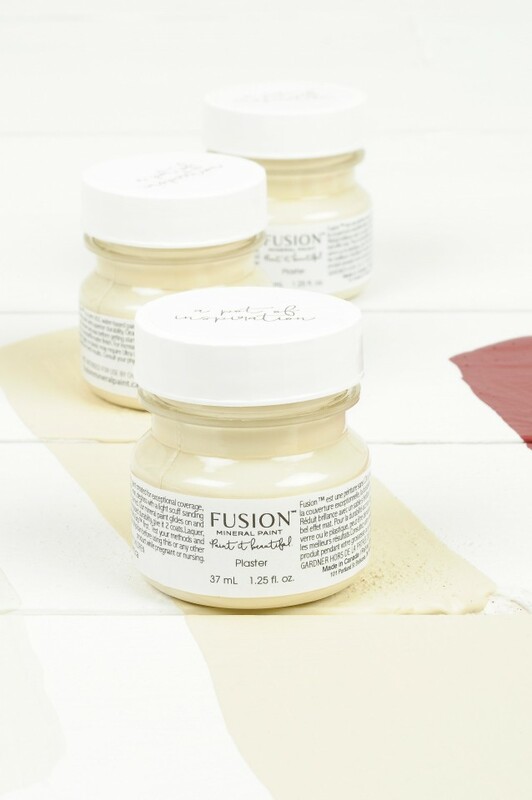 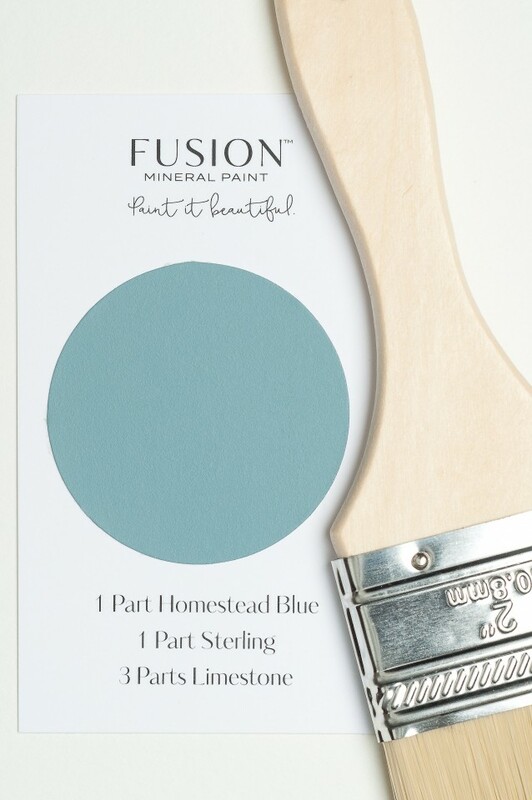 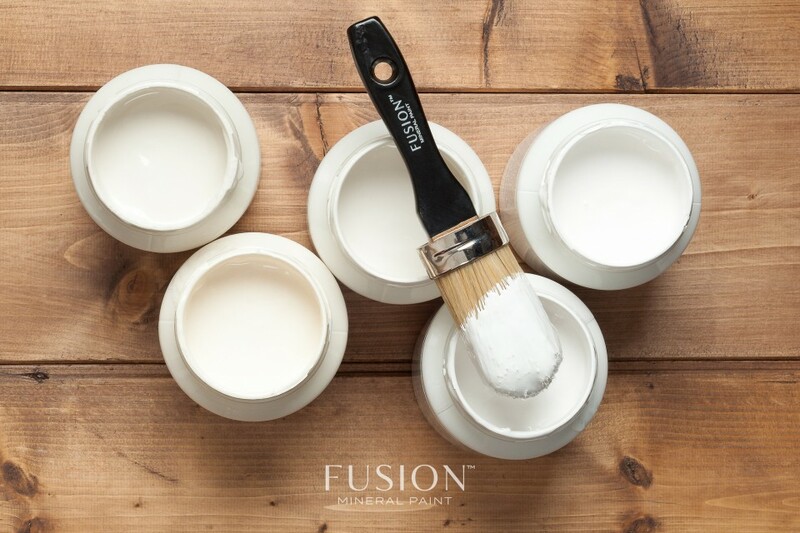 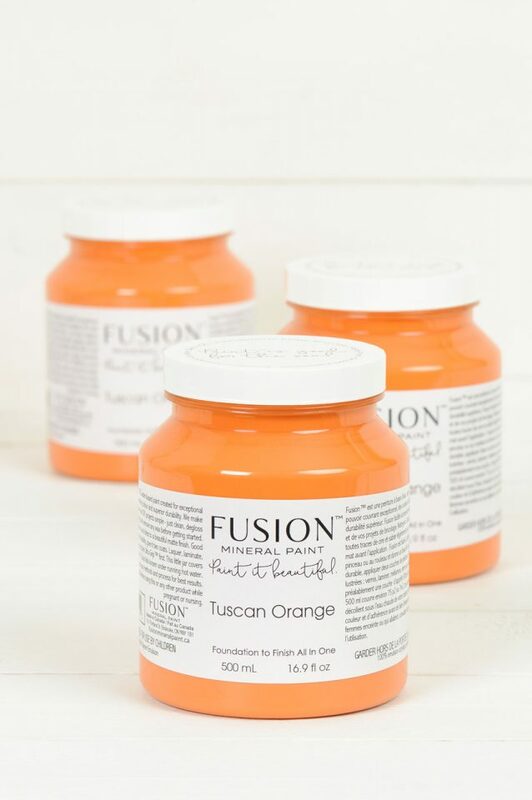 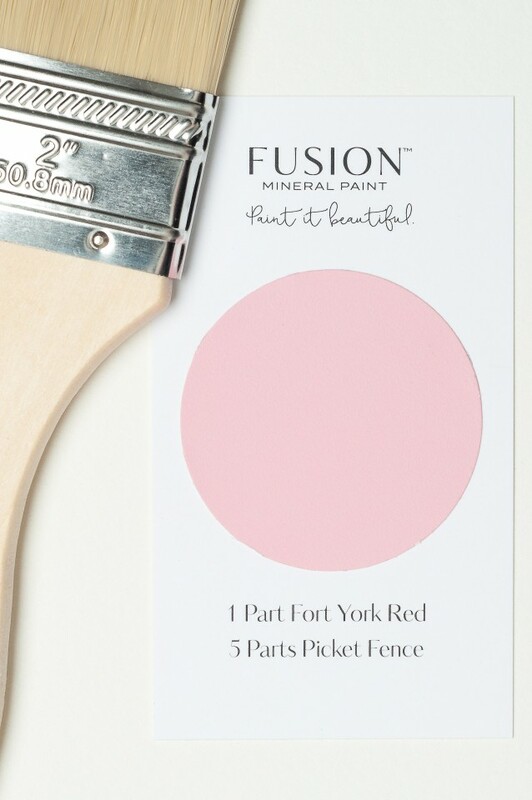 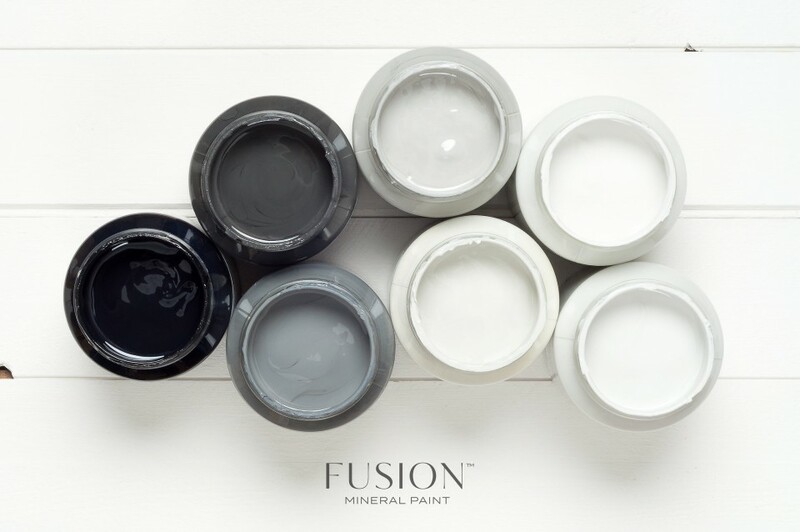 Fusion™ MINERAL PAINT for every style! 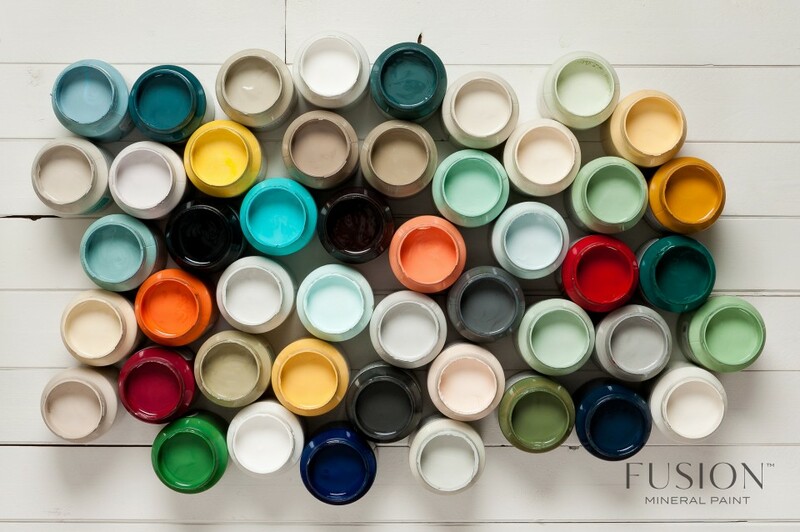 32 CUSTOM COLOURS FOR YOU! 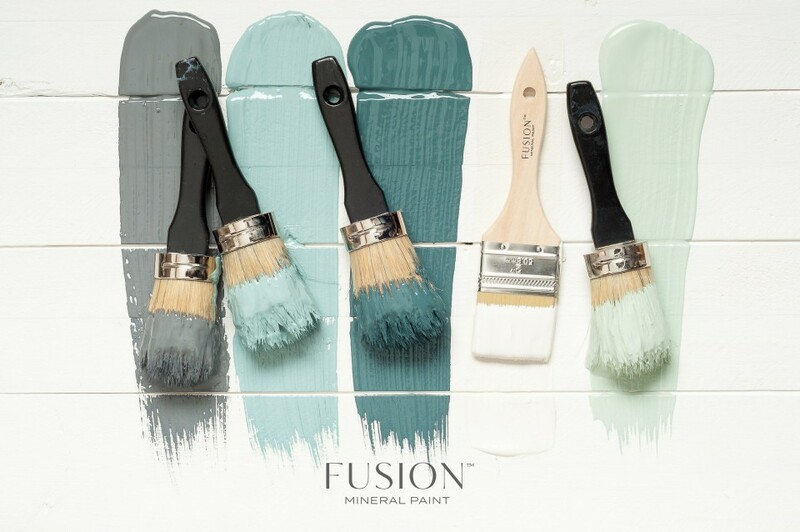 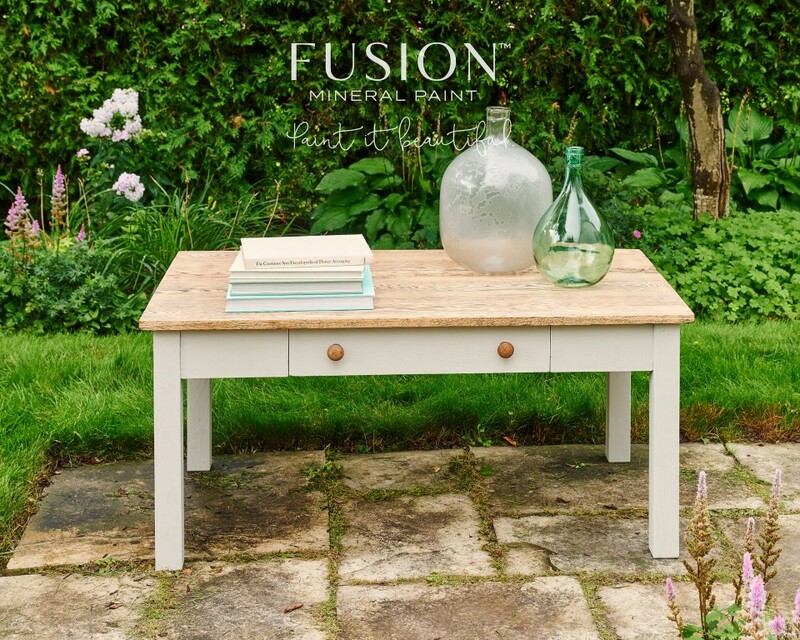 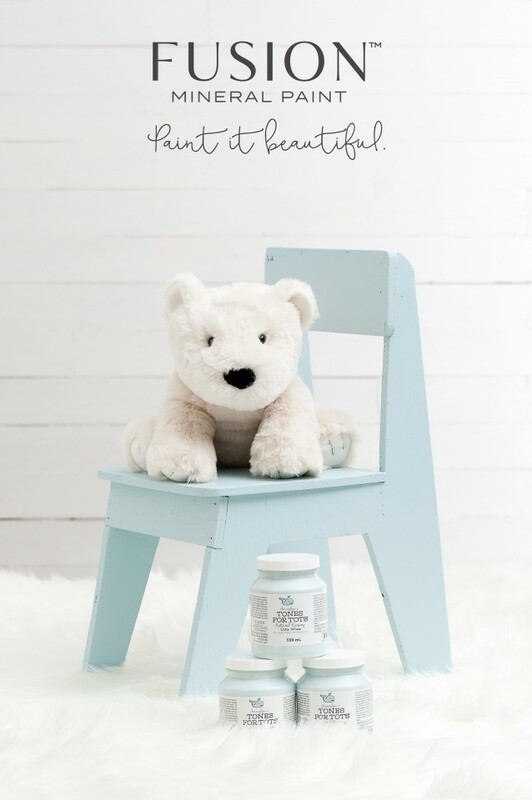 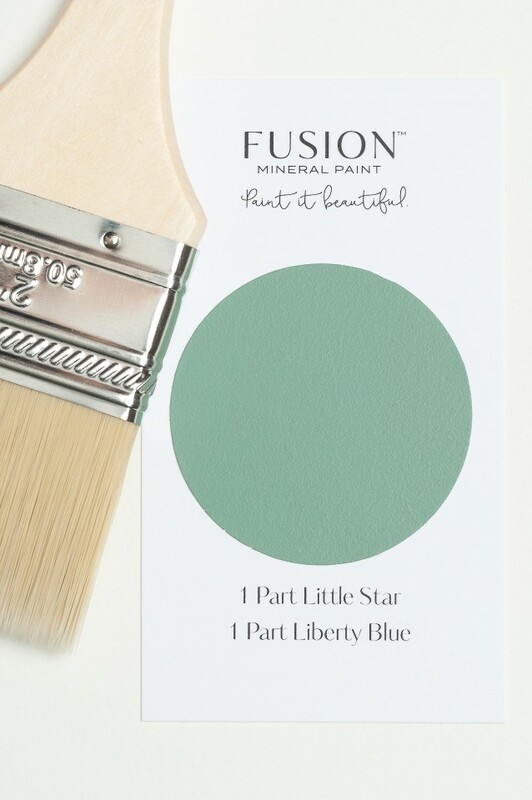 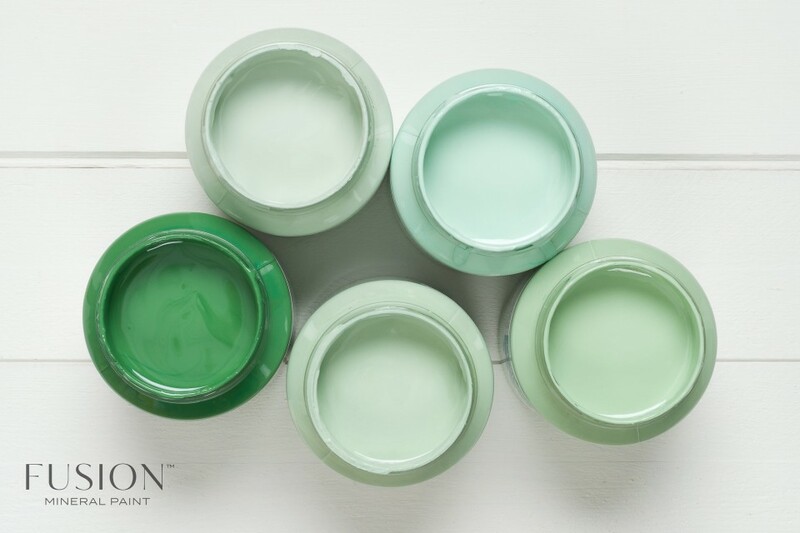 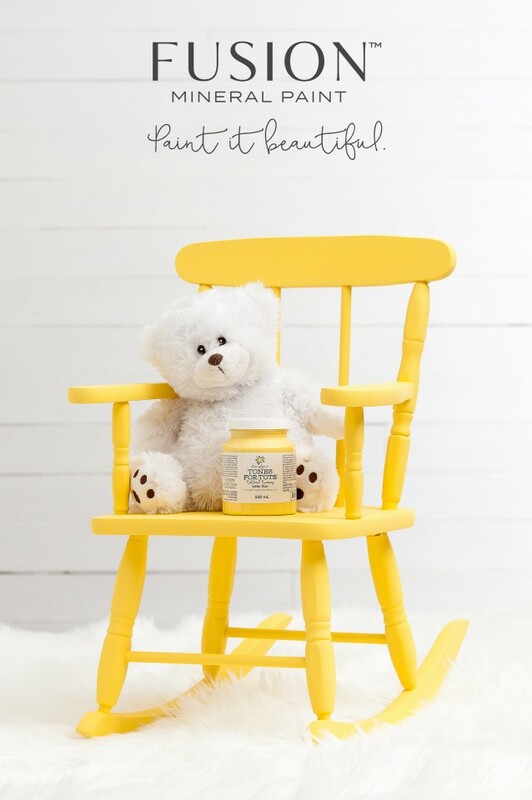 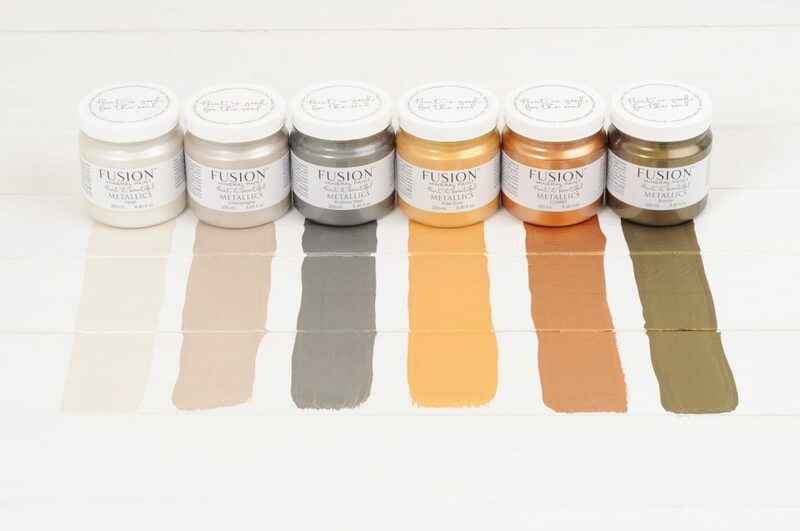 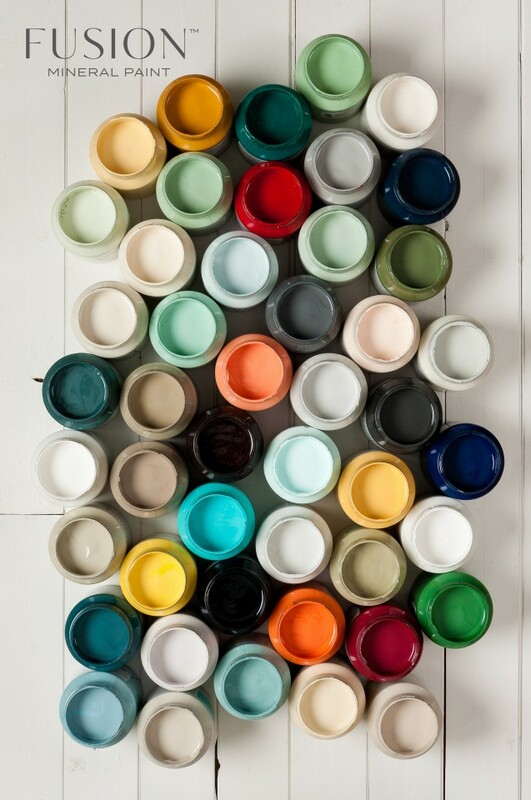 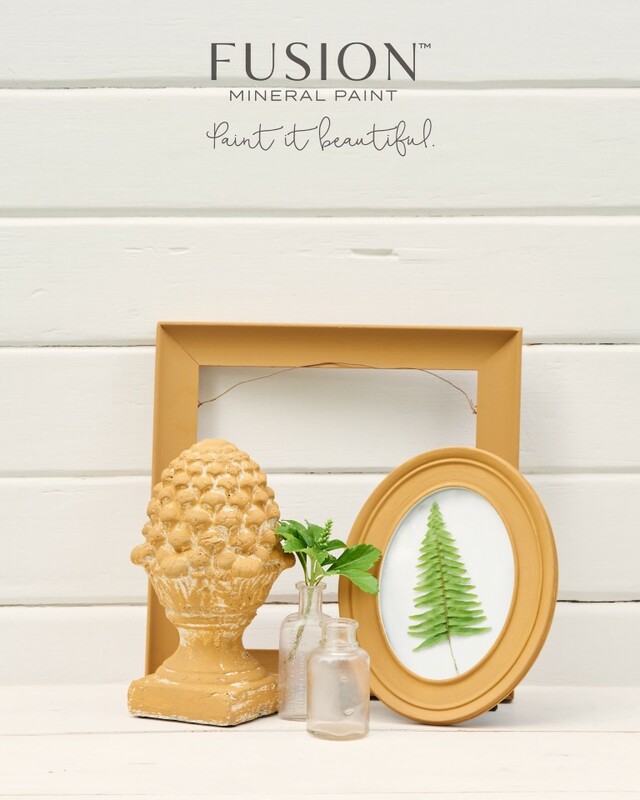 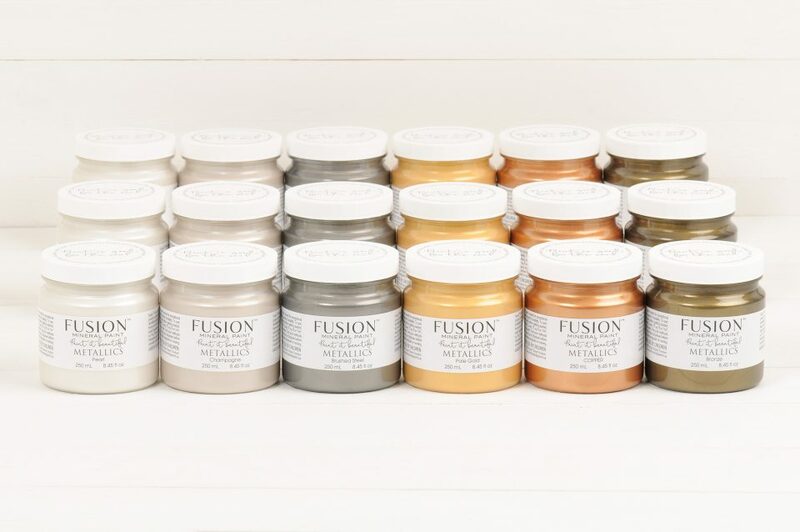 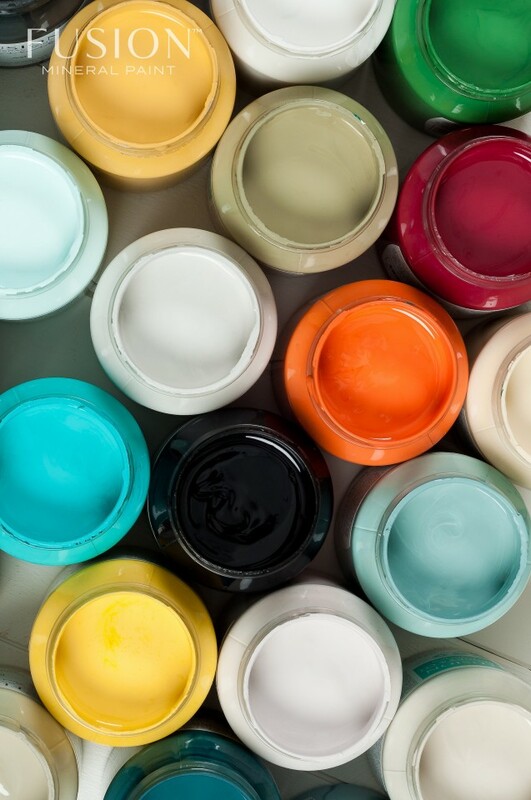 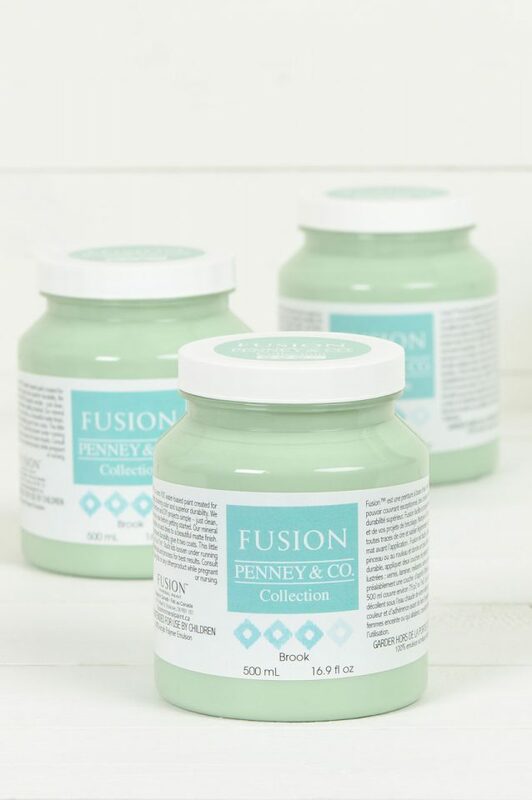 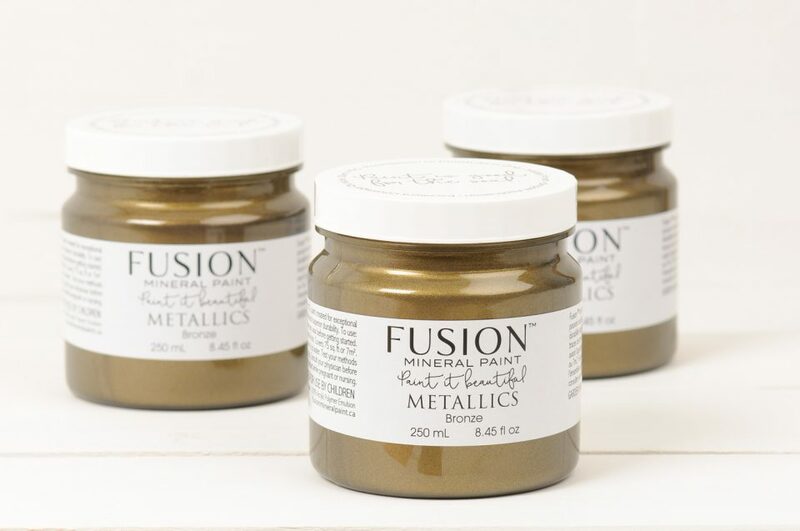 With over 50 colours, Fusion™ Mineral Paint is bound to suit every style! 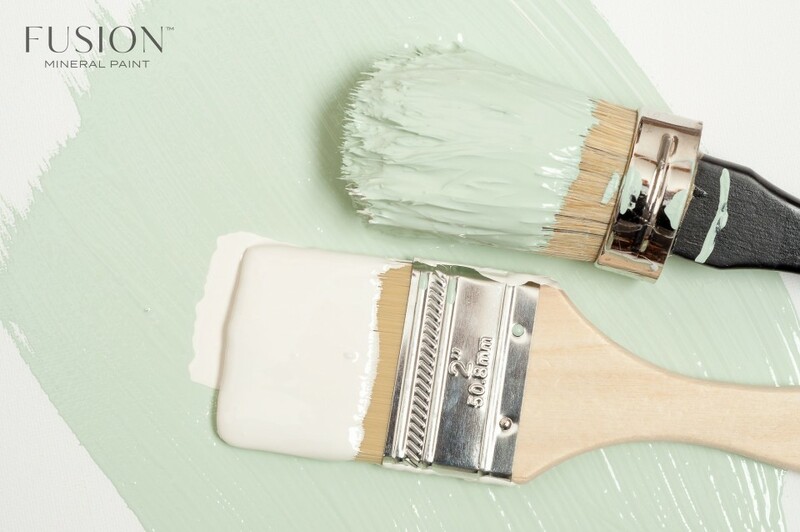 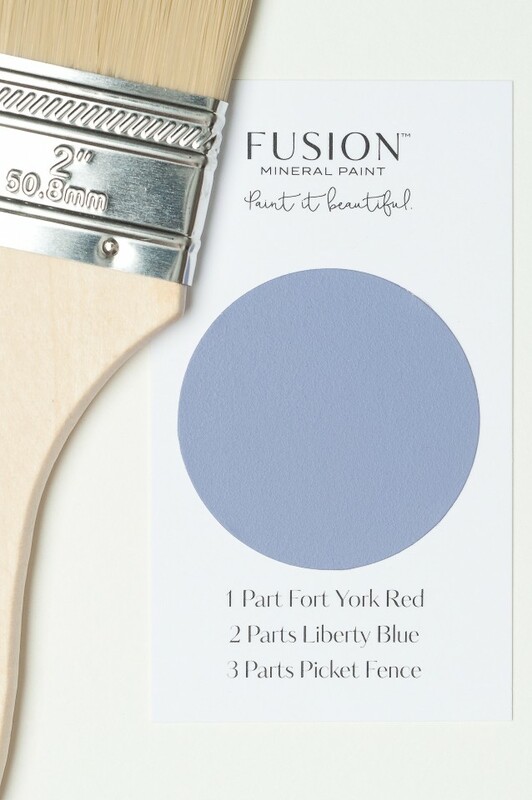 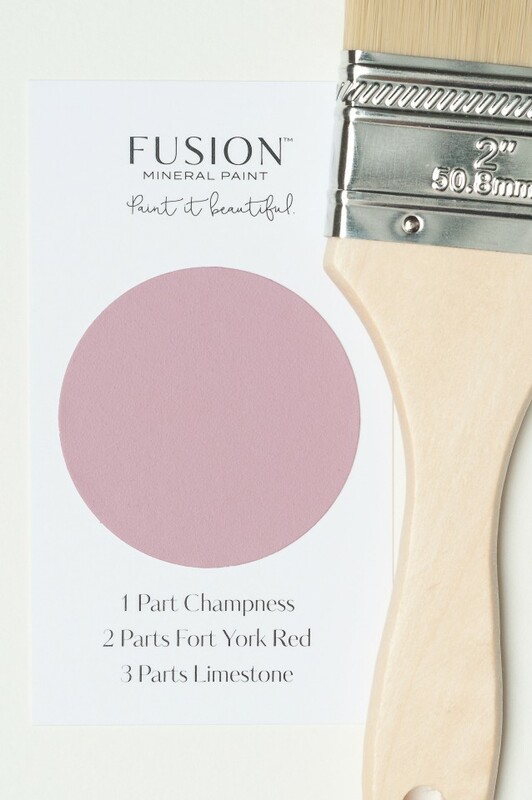 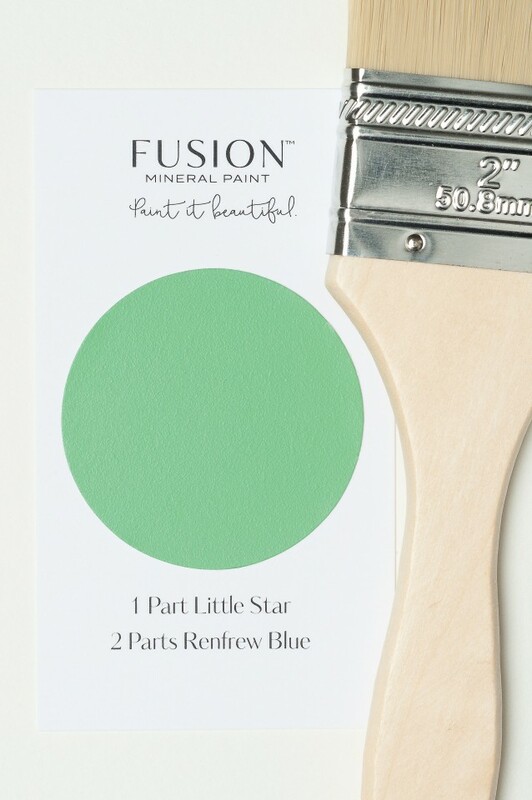 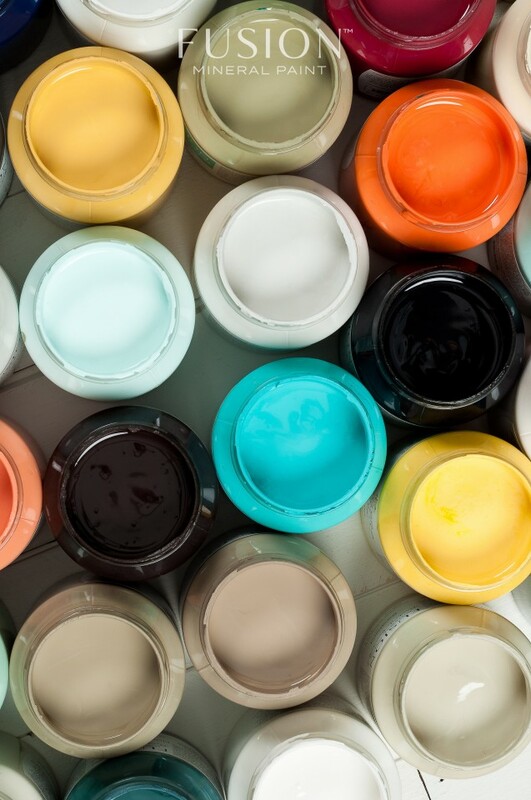 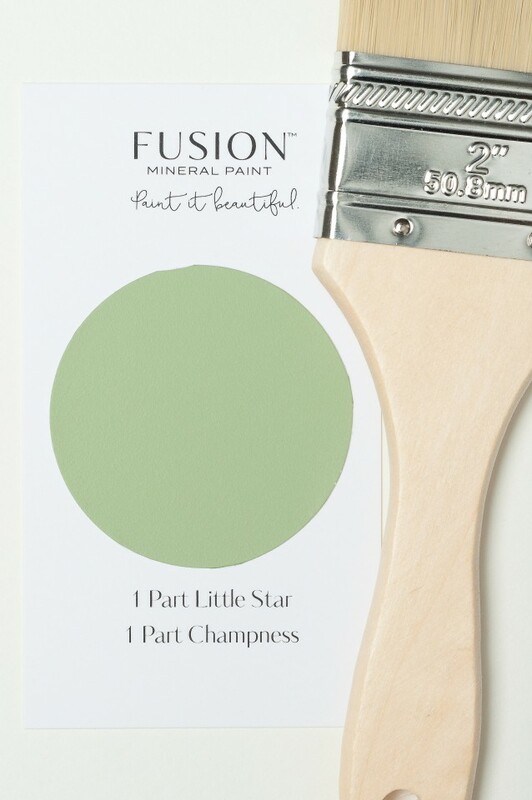 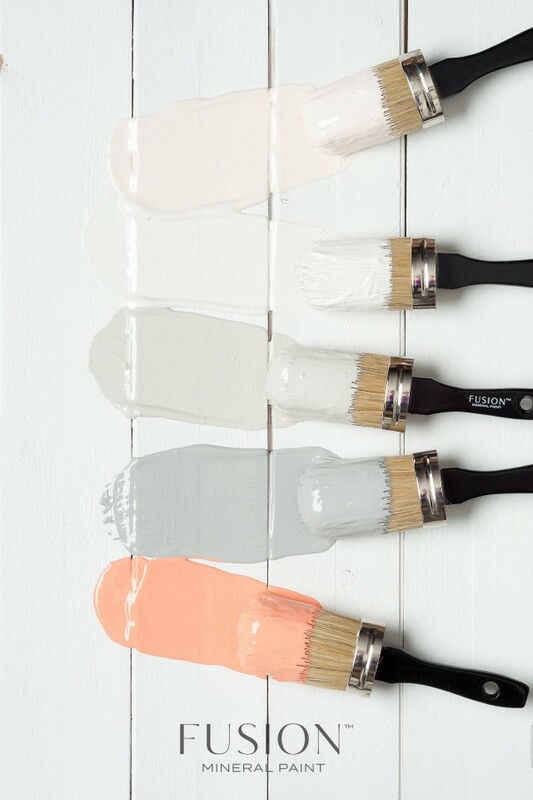 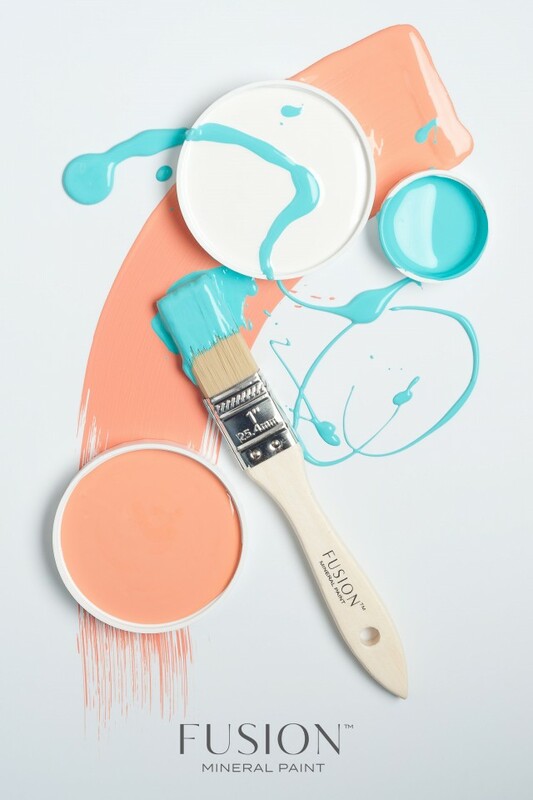 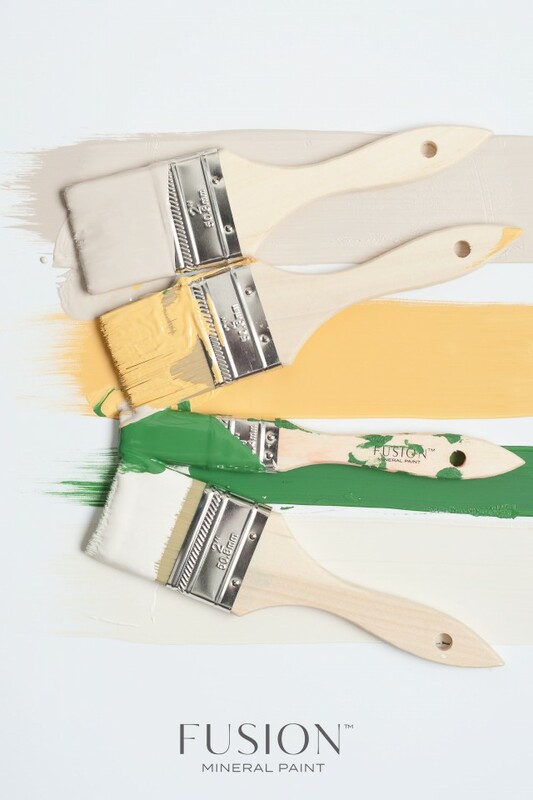 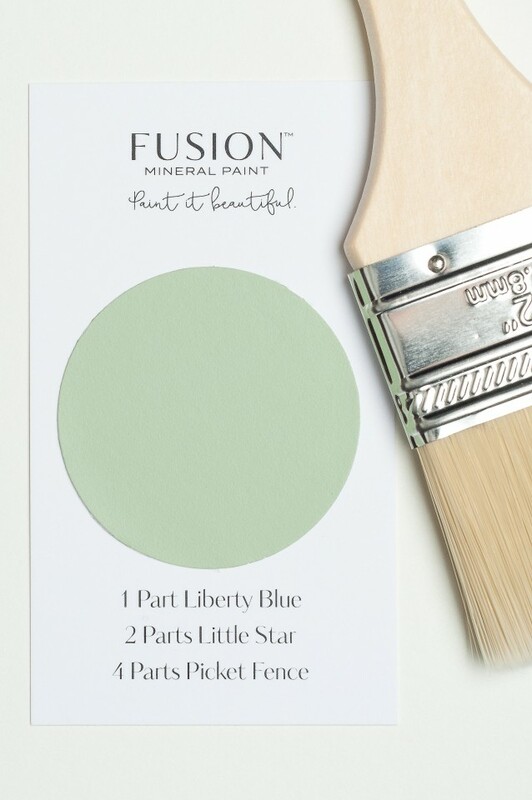 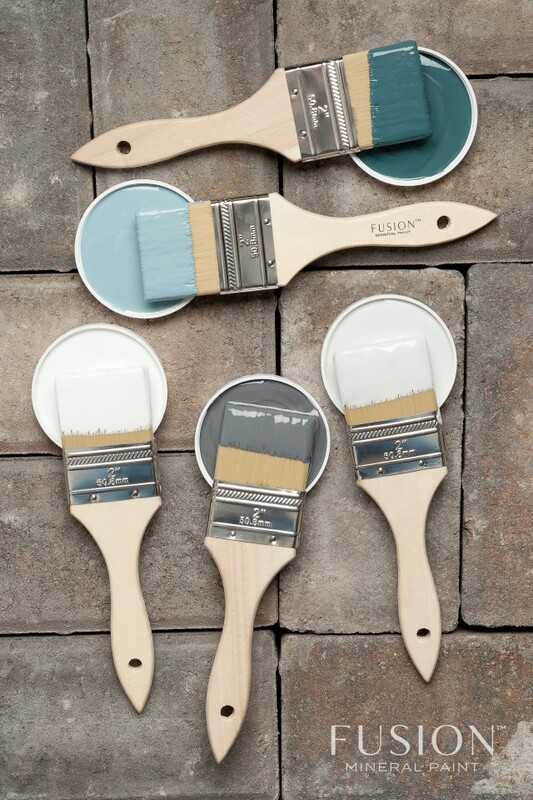 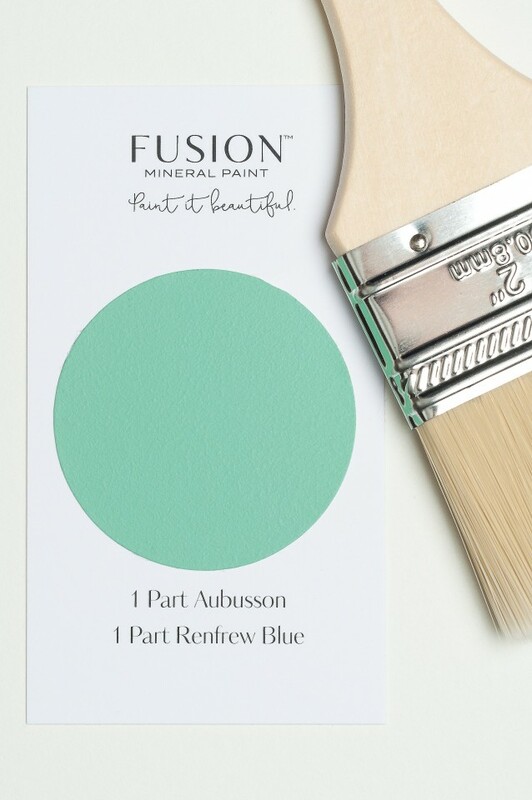 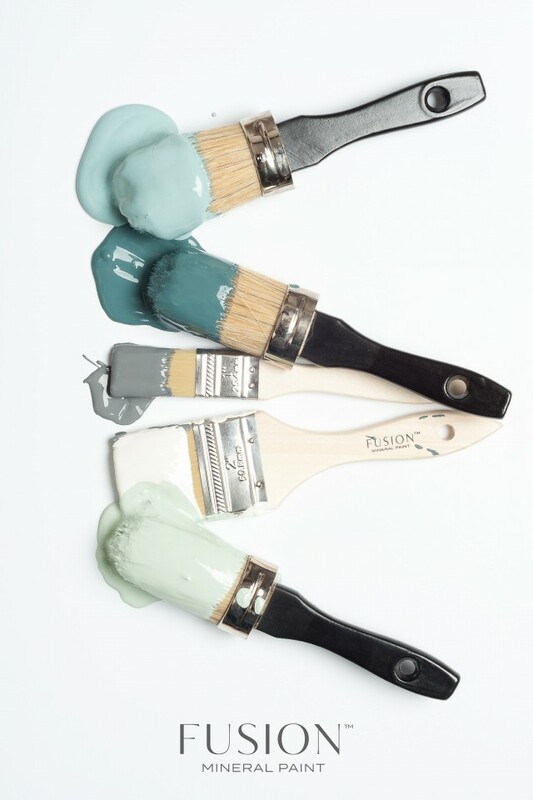 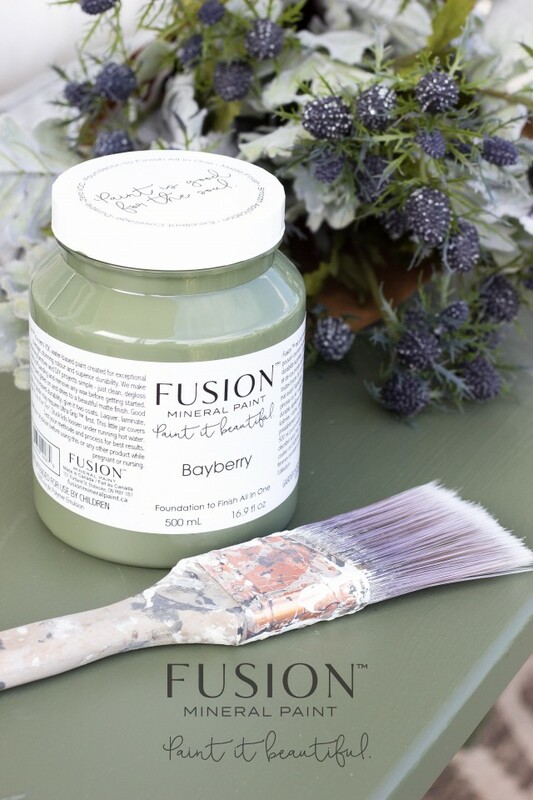 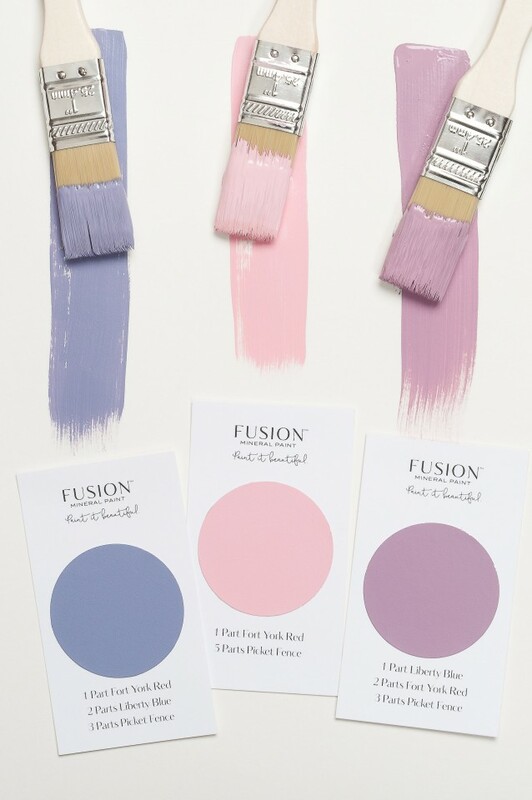 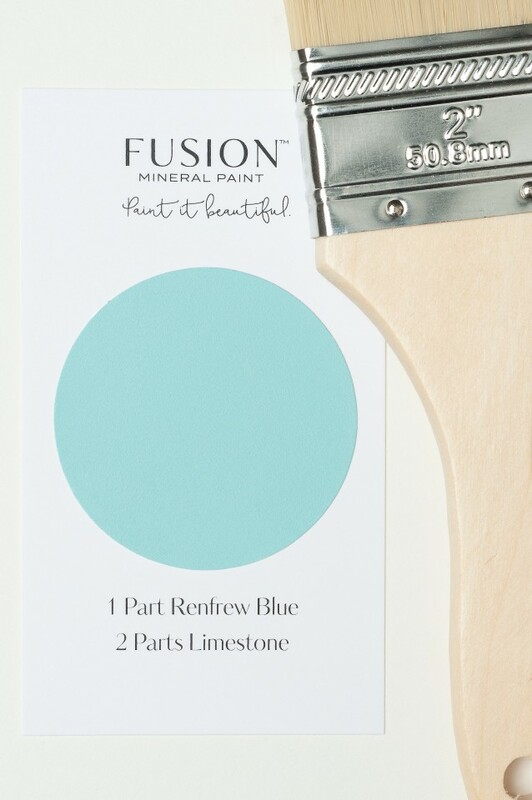 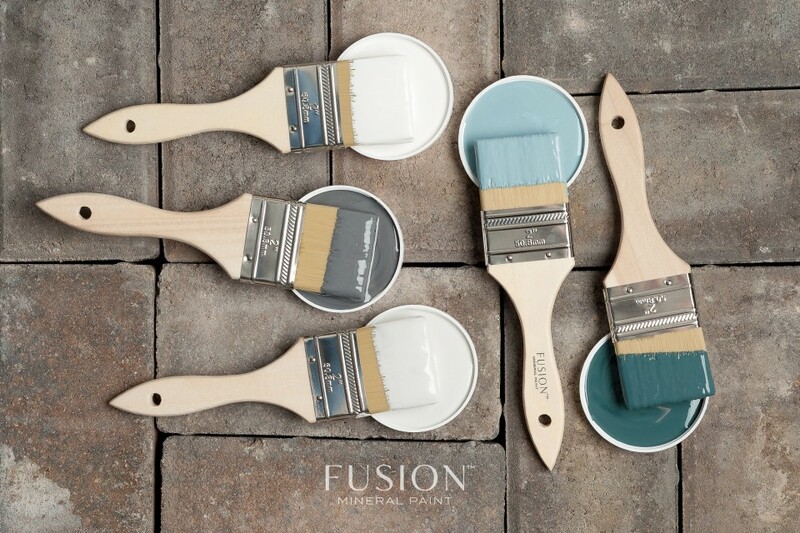 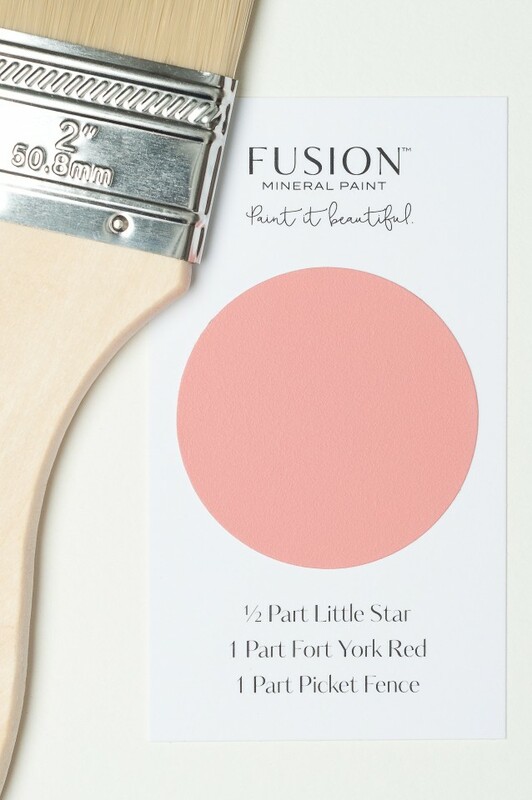 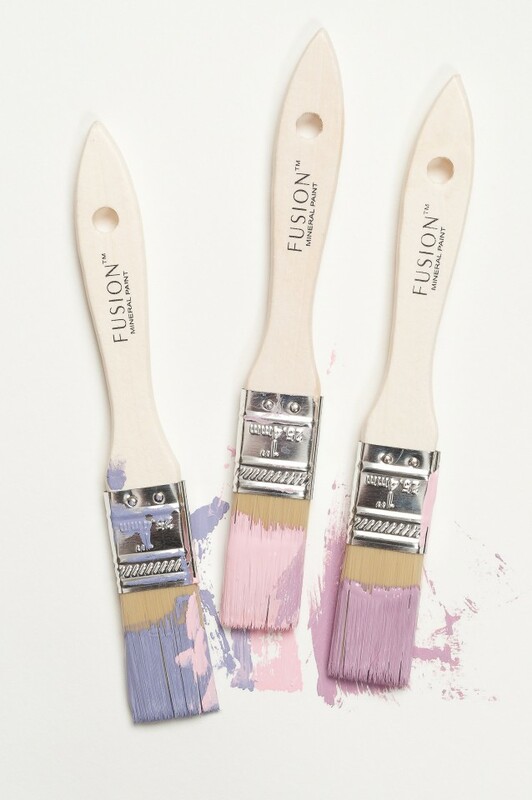 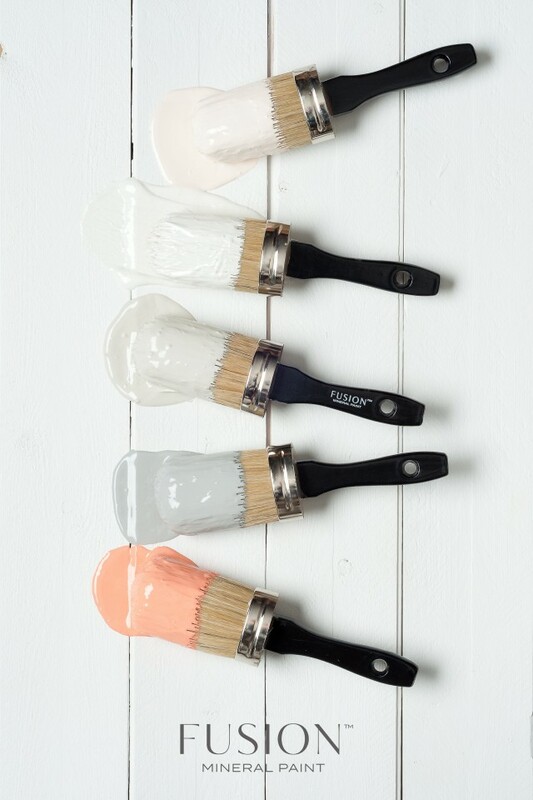 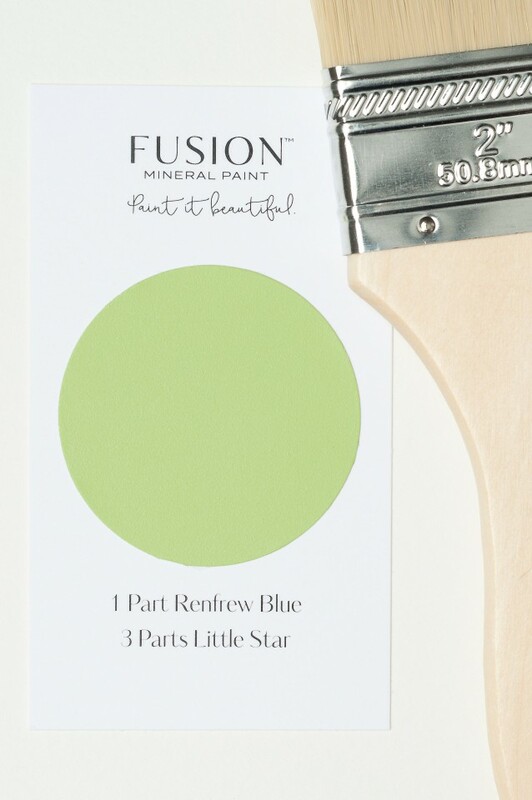 Stunning neutrals to bold and beautiful colour combos, you can Paint it Beautiful with Fusion™. 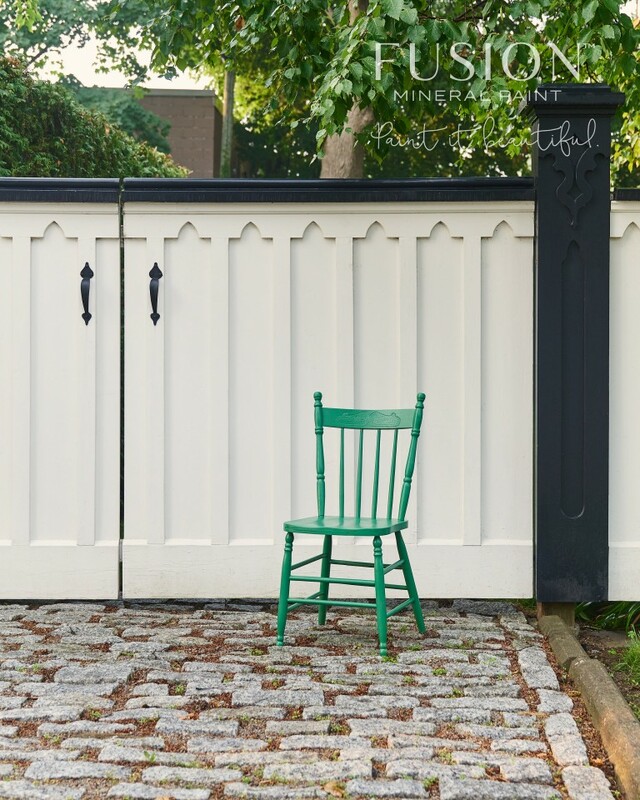 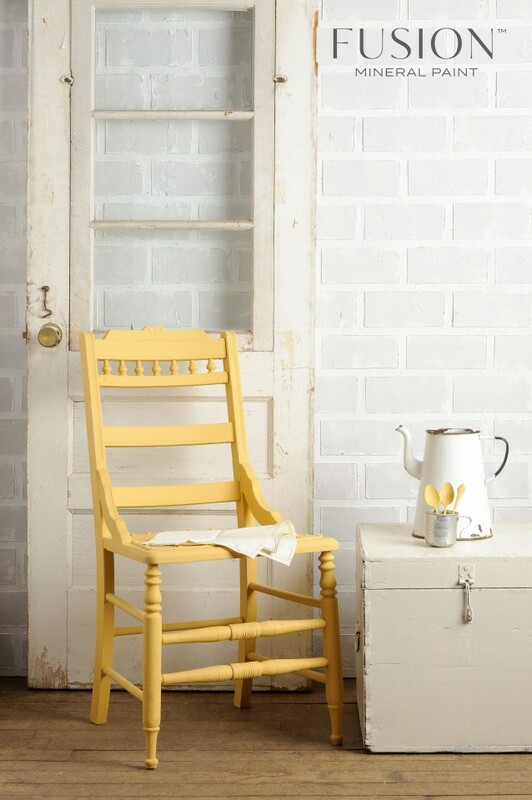 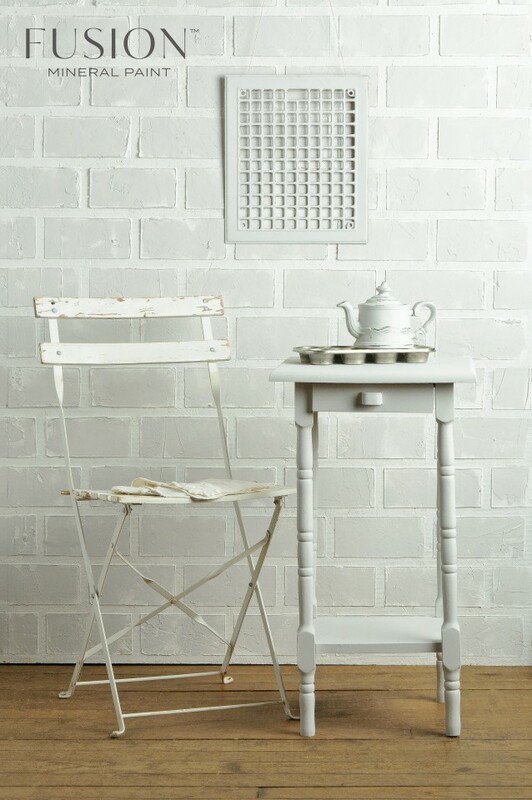 A lovely bright white, Picket fence is a staple colour for any room that needs a punch of light. 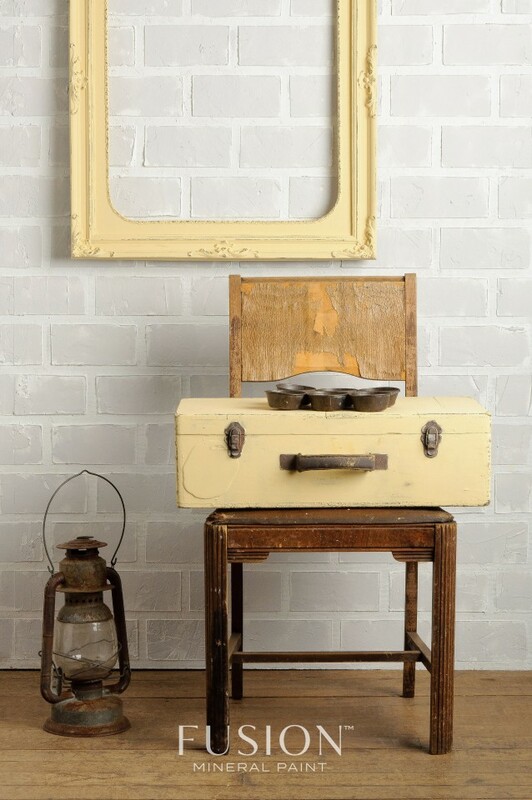 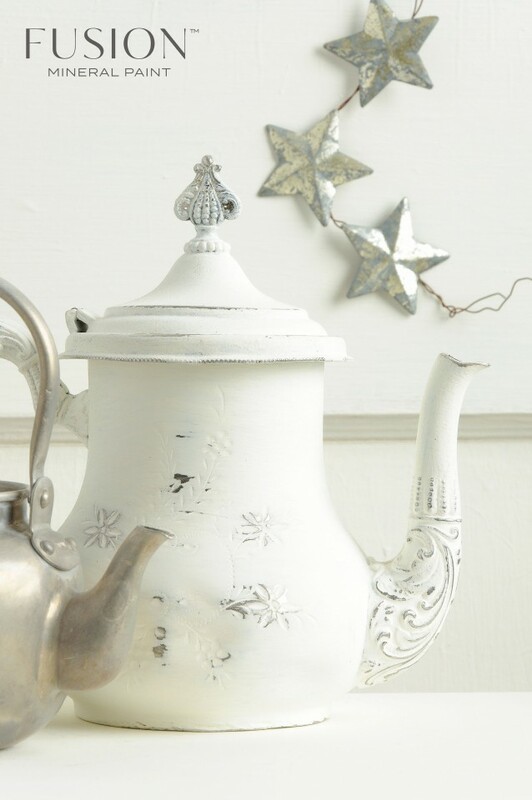 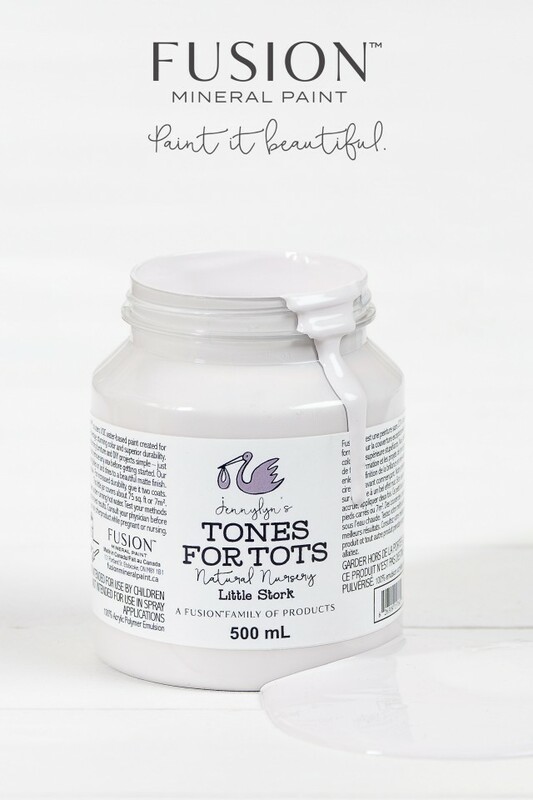 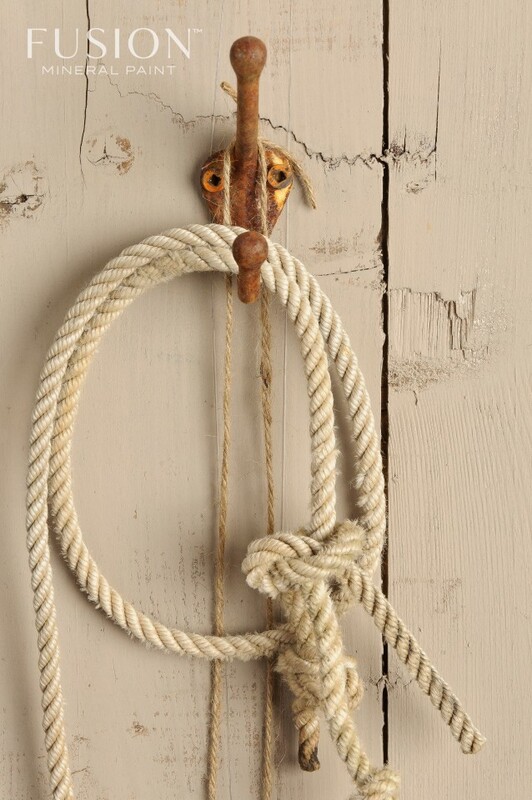 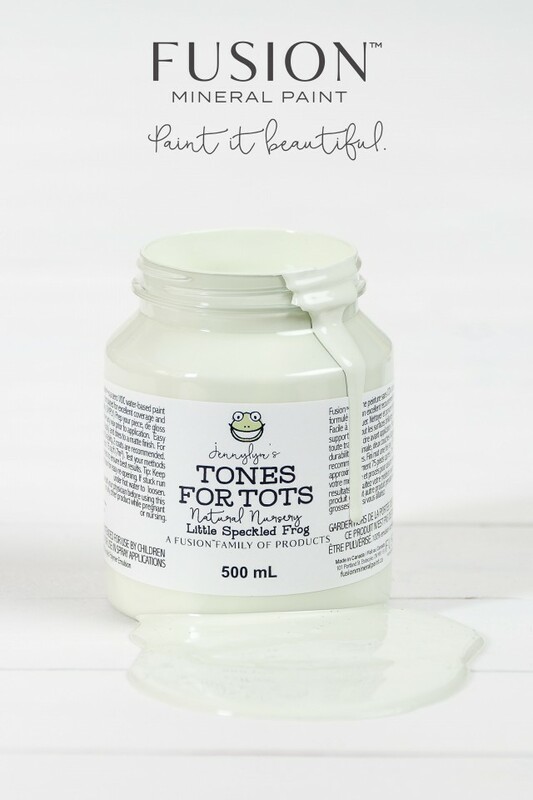 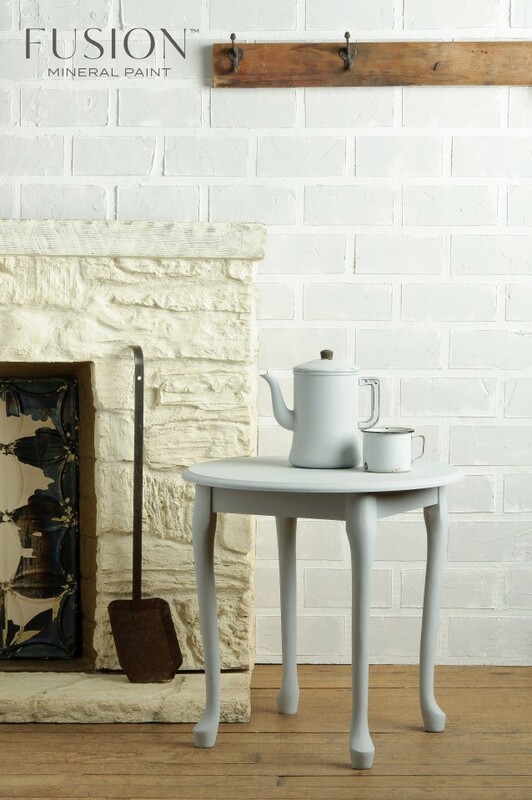 This is our favourite neutral warm white that pairs well with virtually any colour! 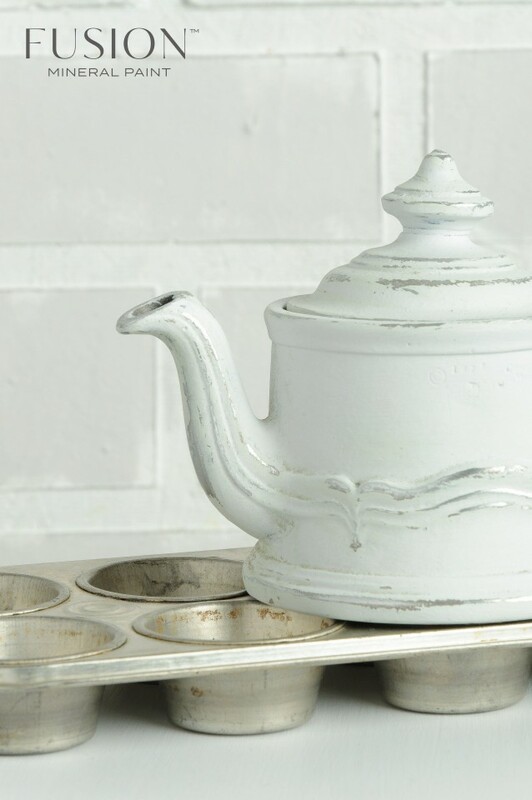 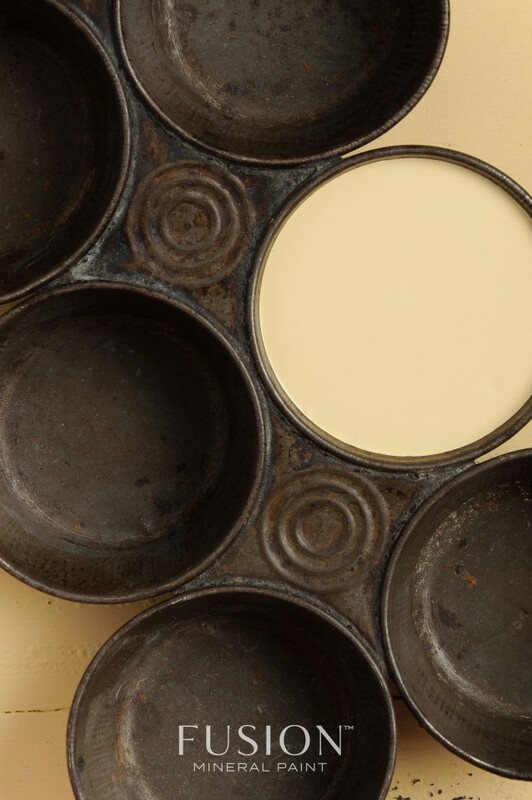 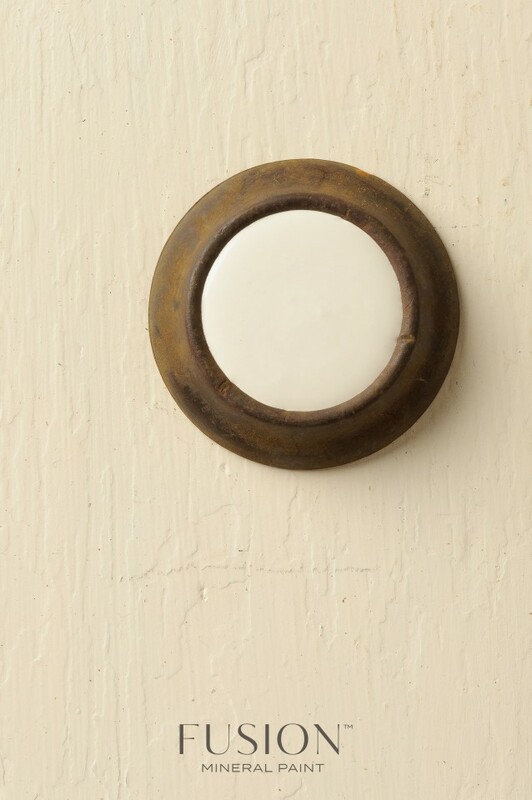 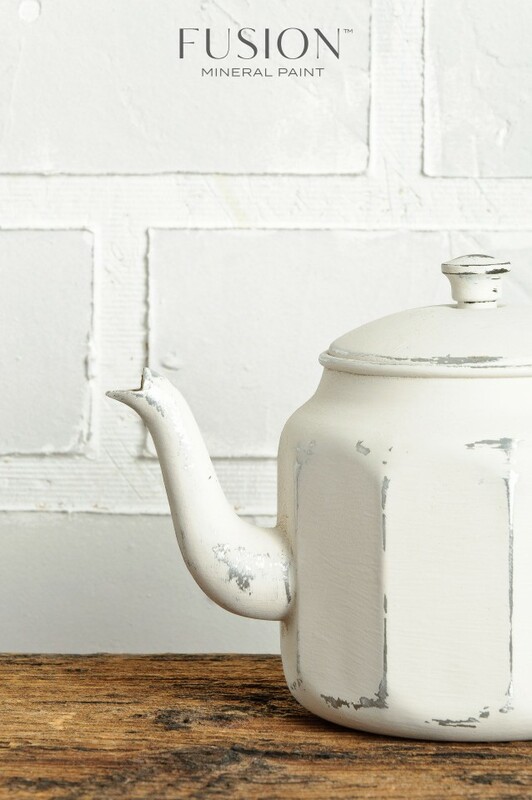 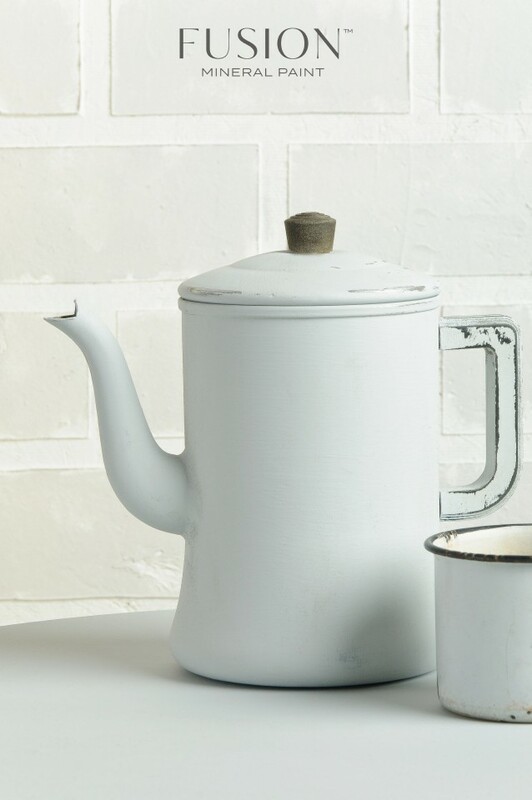 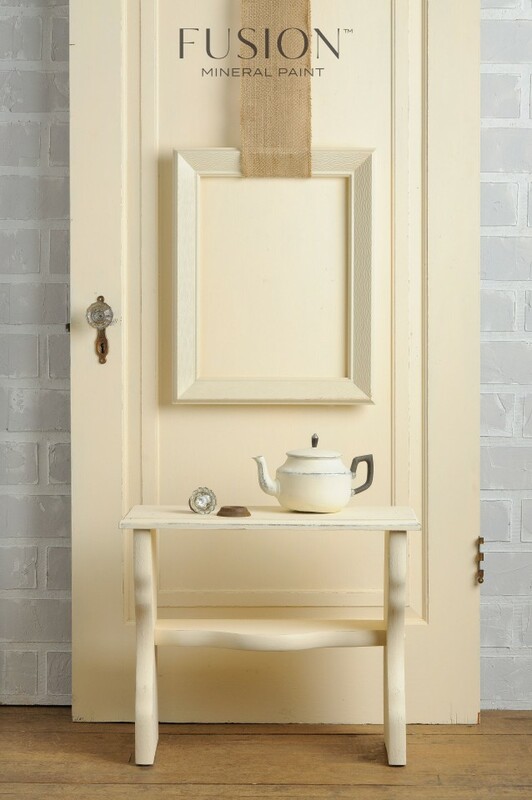 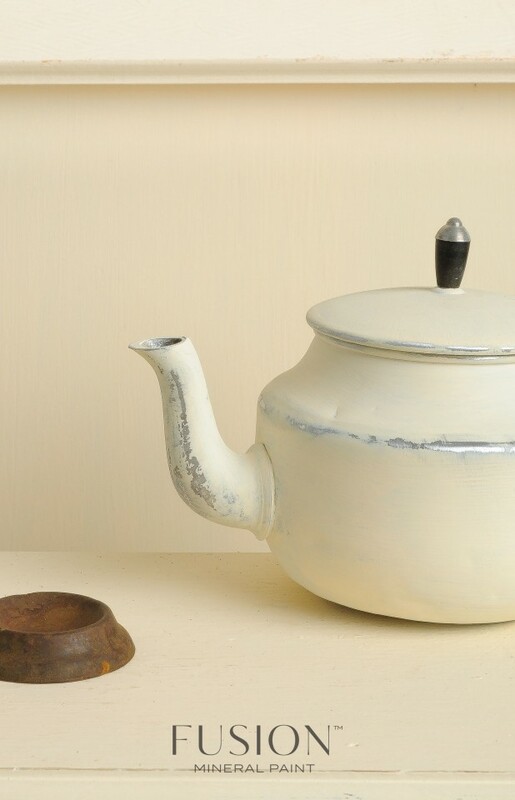 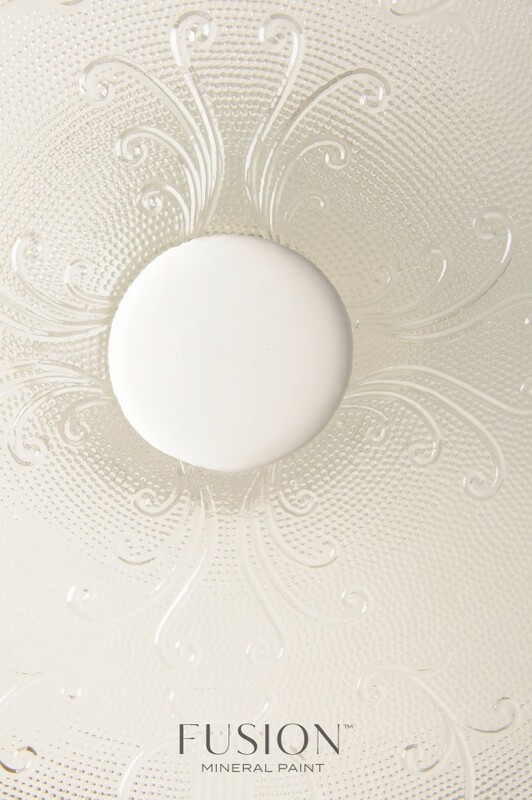 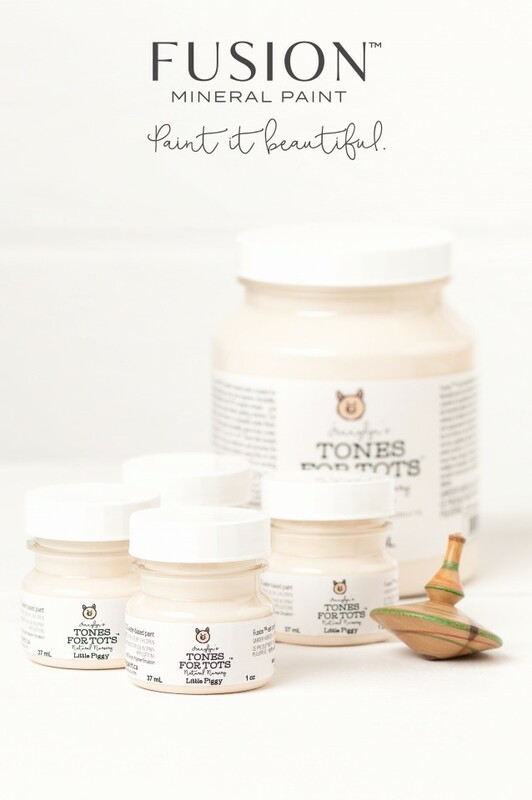 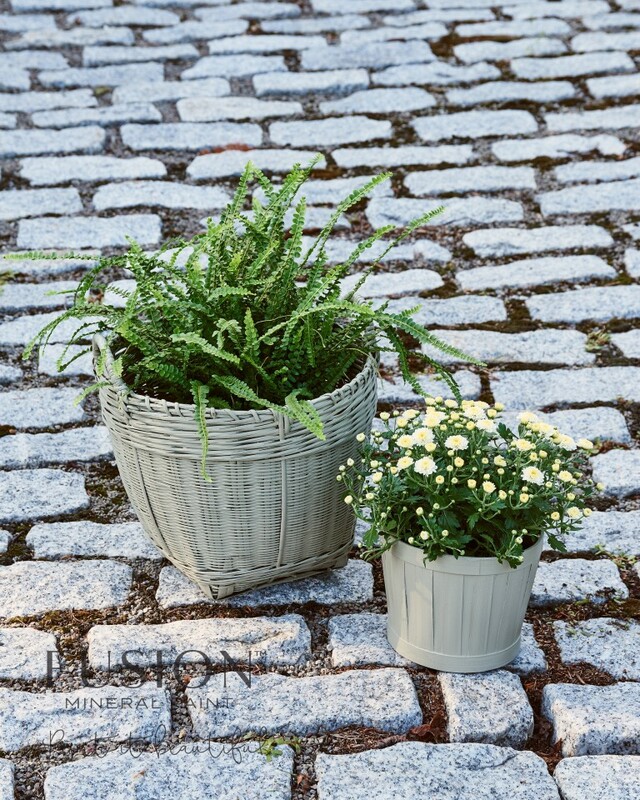 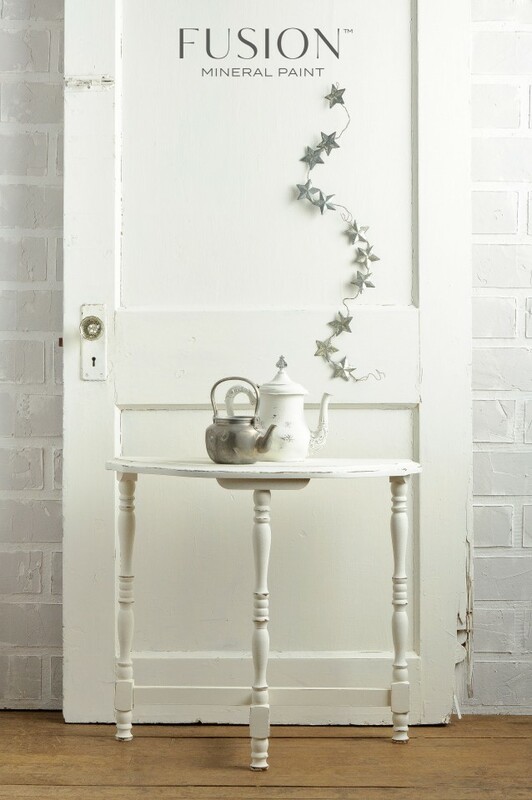 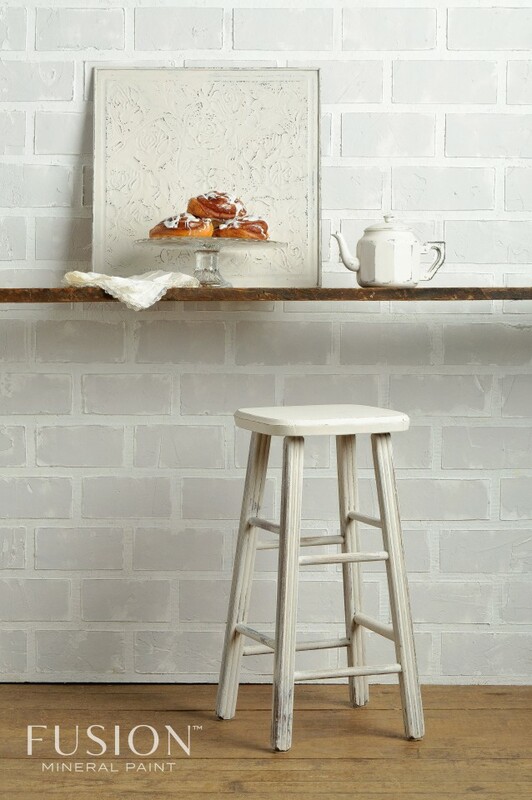 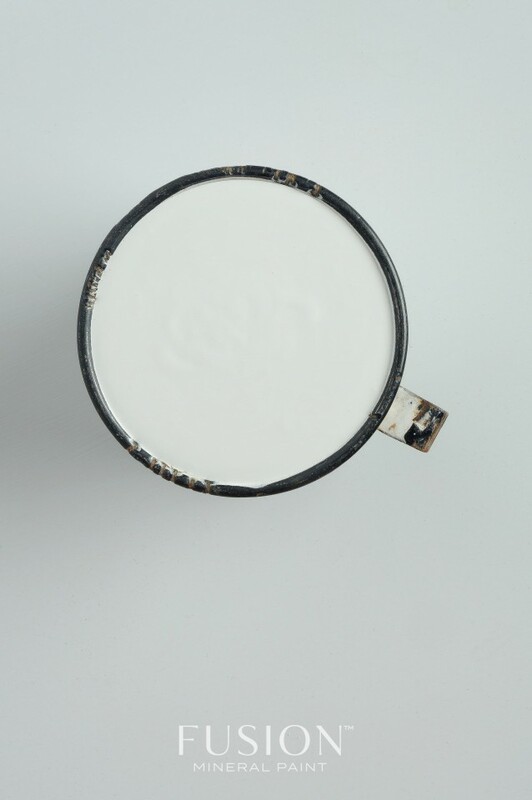 Hands down our most popular neutral warm white has depth. 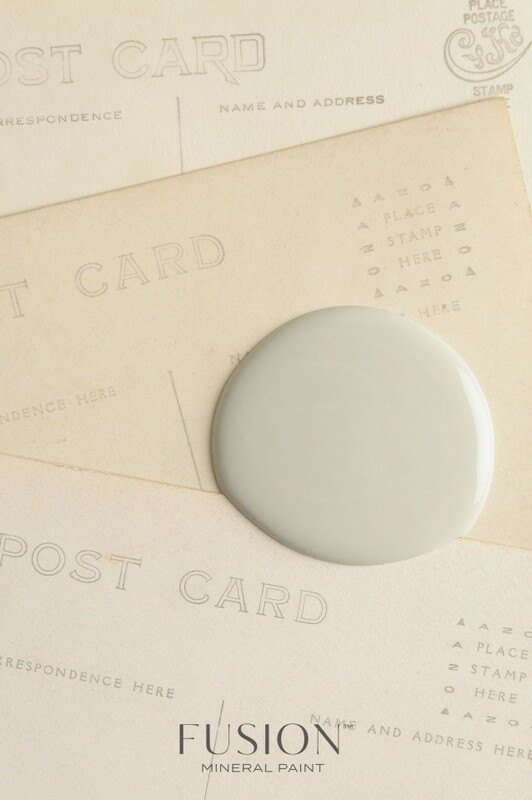 A sophisticated neutral that blends beige and grey and grounds any colour scheme. 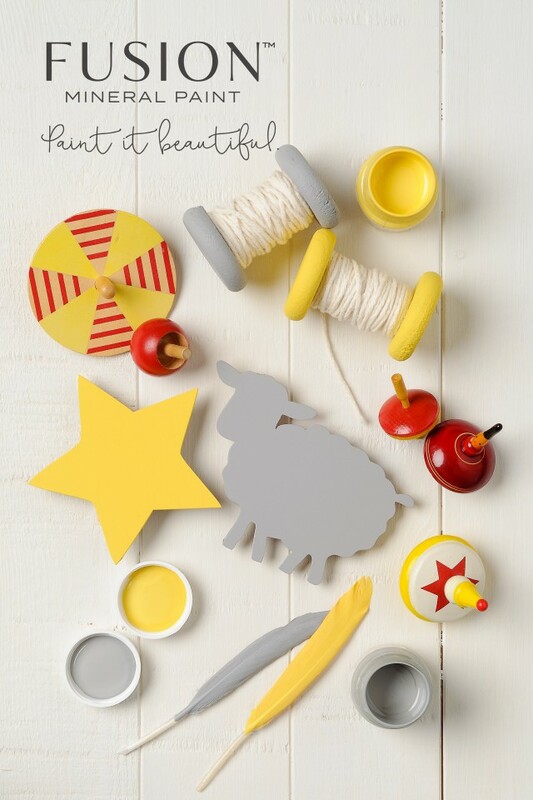 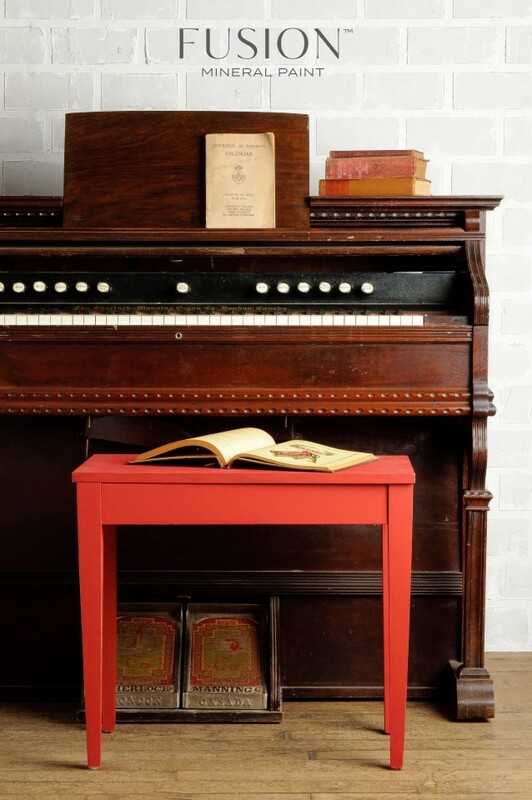 It goes well with reds, yellows and whites. 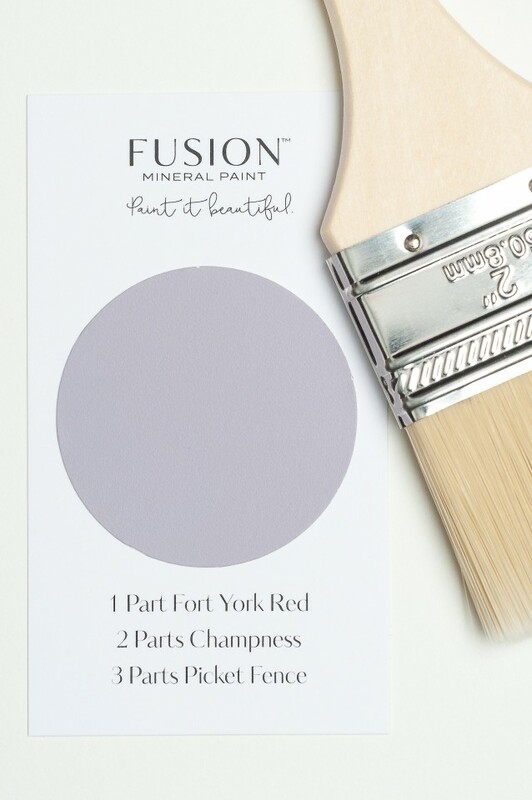 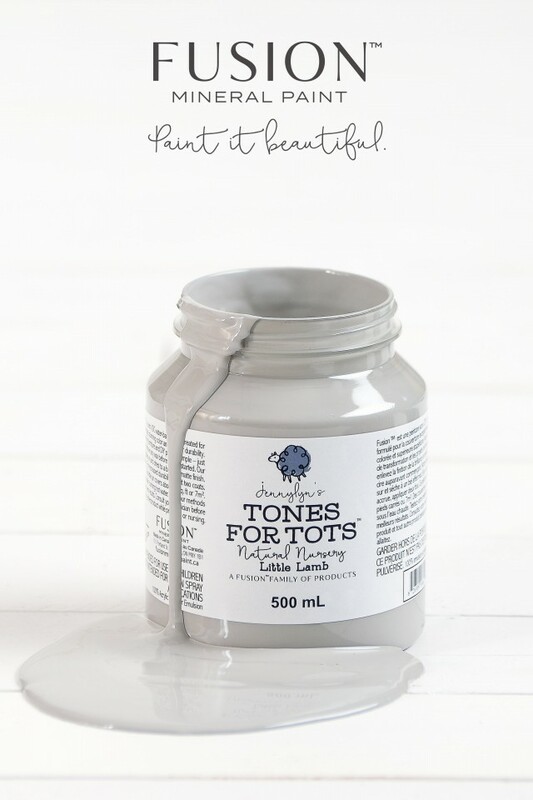 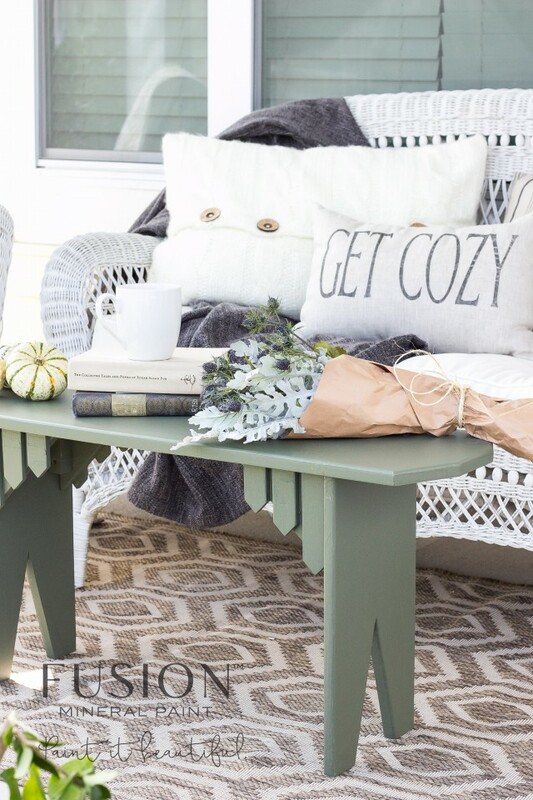 Get into grey with this fantastic wooly neutral that adds a classy look to any DIY project. 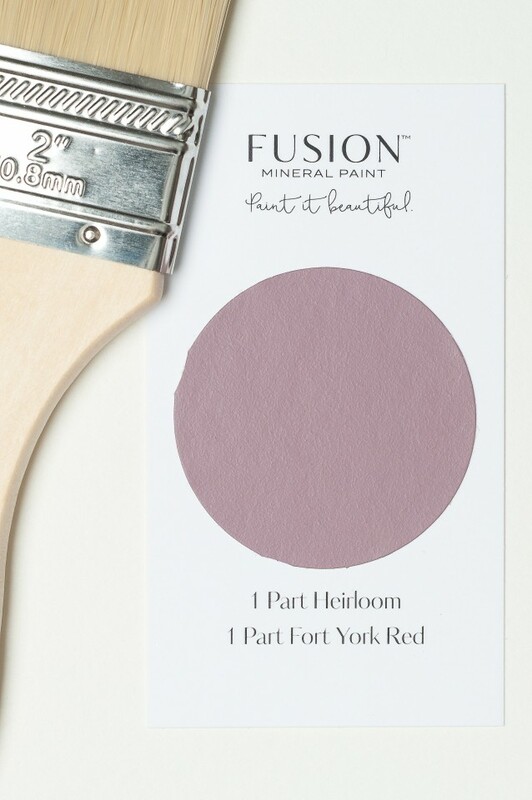 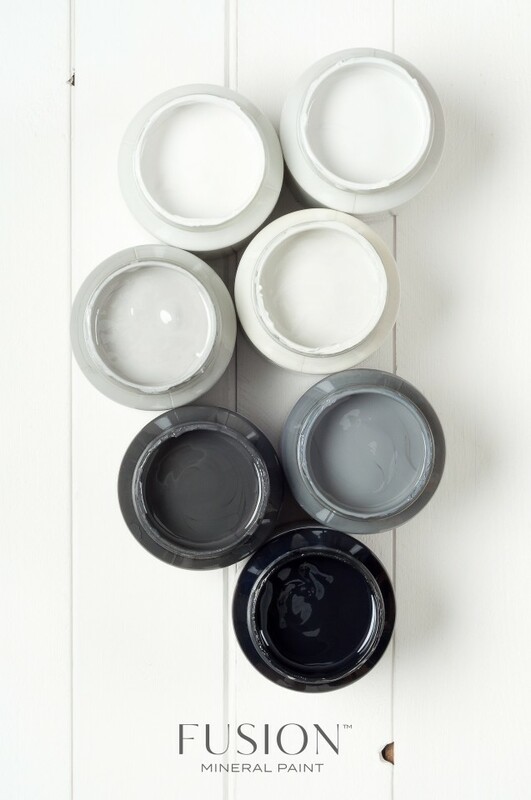 This is a hue that plays nicely with every colour in our collection, making it the perfect complimentary shade. 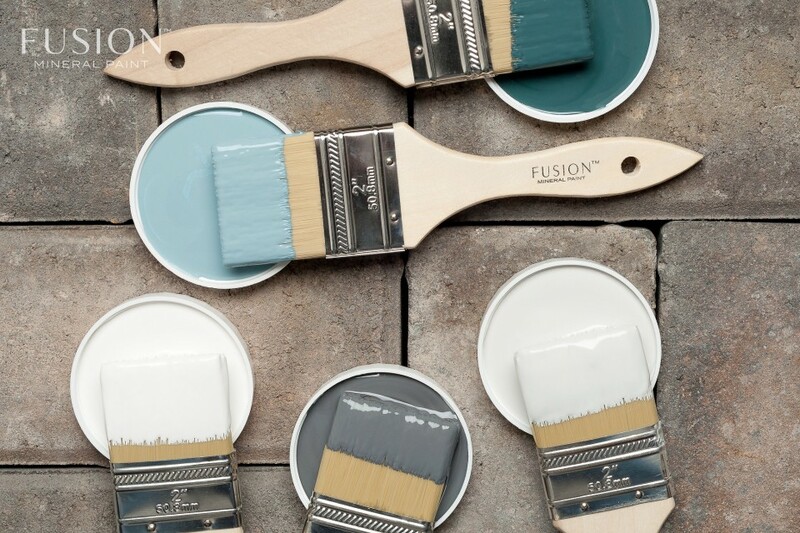 Everyone’s favourite deep gray, Soapstone is one of those colours that is totally dependent on its surroundings. 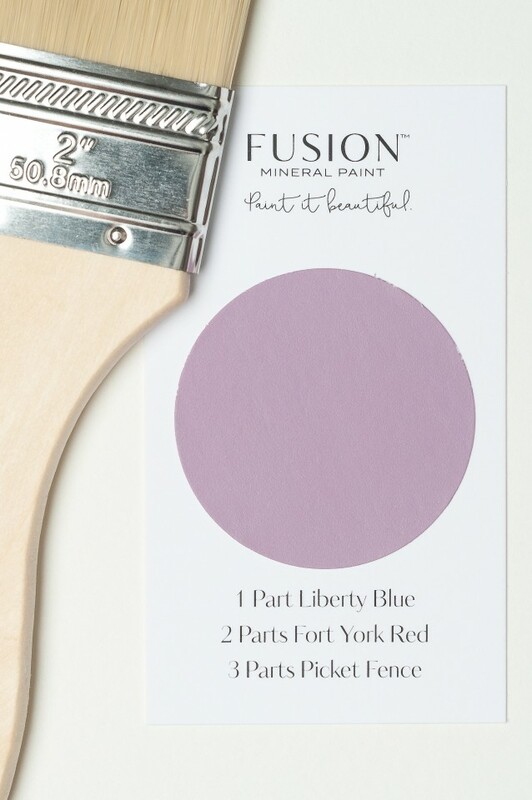 Its slight purple undertones added with the changing light in the room will play with your eyes in the most enchanting way. 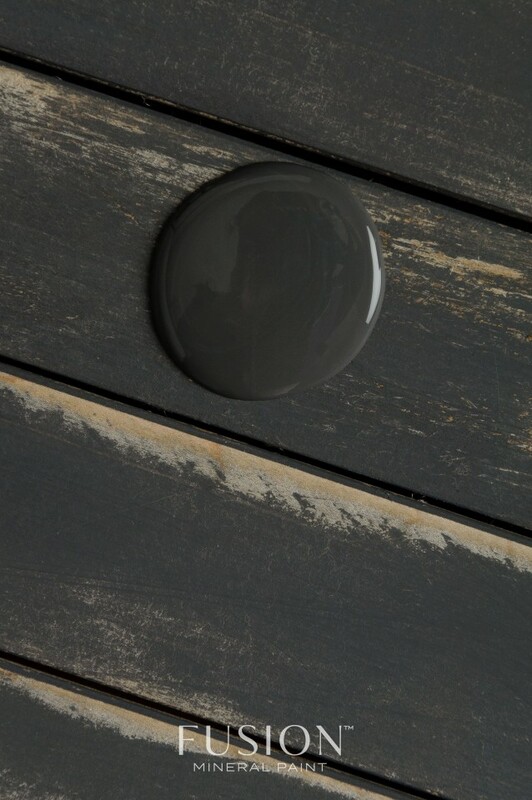 An absolute jet black that can accentuate any colour. 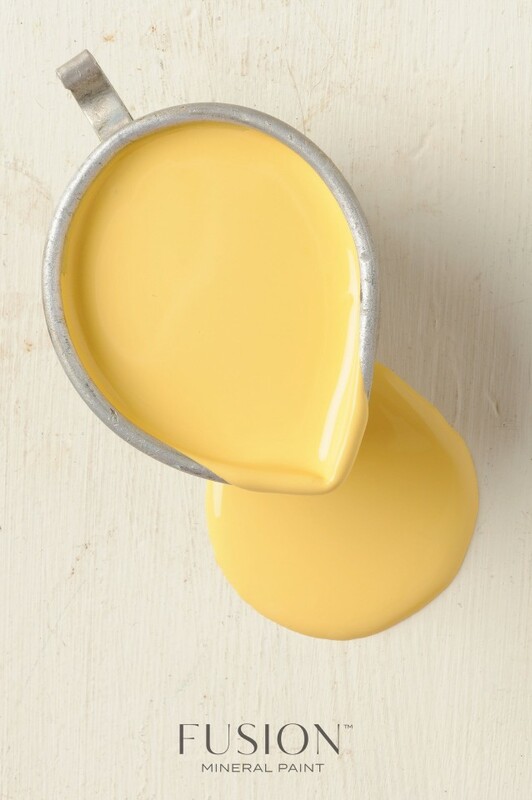 Just as the name indicates this is a warm soft creamy yellow. 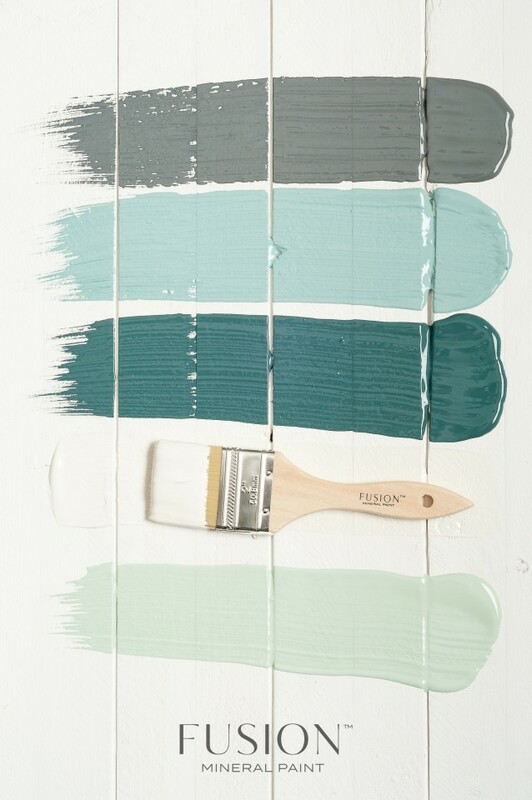 Goes nicely with greens, greys, reds and black. 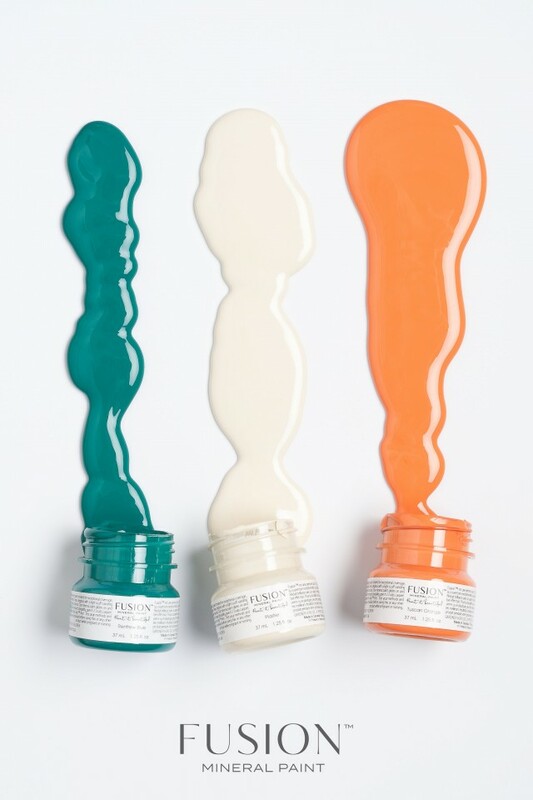 So vibrant, yet flexible enough that it can be used with just about any other colour! 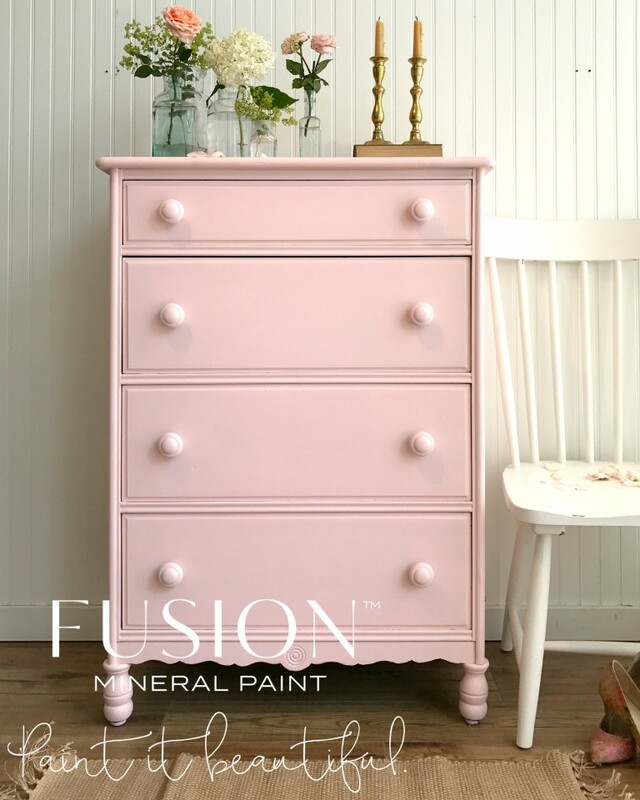 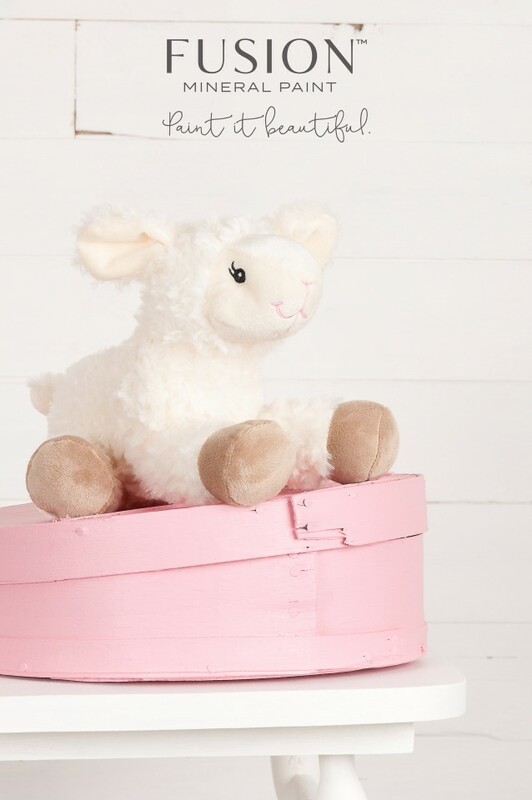 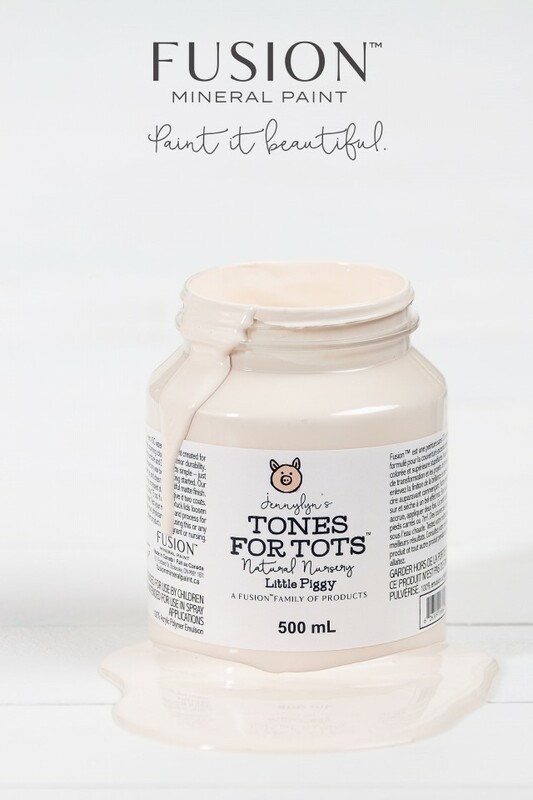 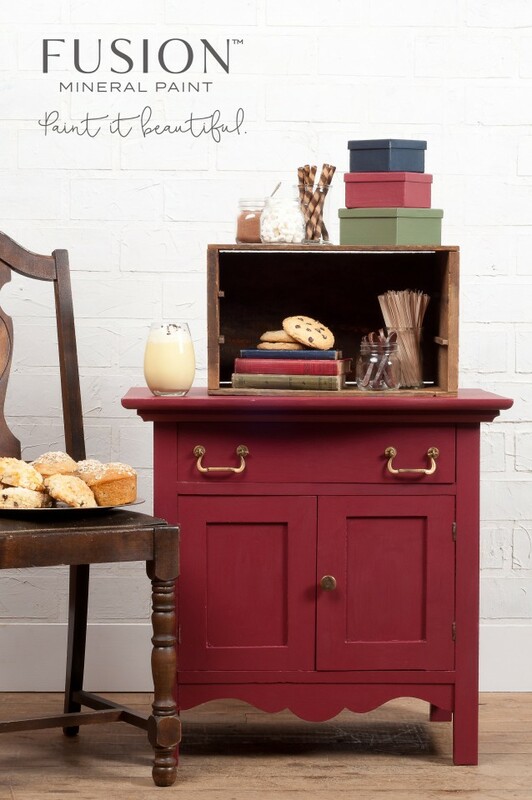 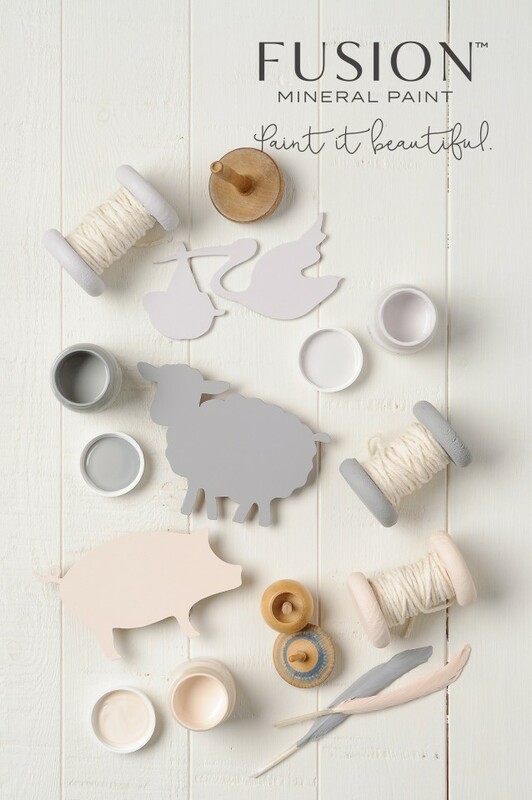 You won’t oink at this beautiful vintage colour, which transforms any piece into a sweet pink dream. 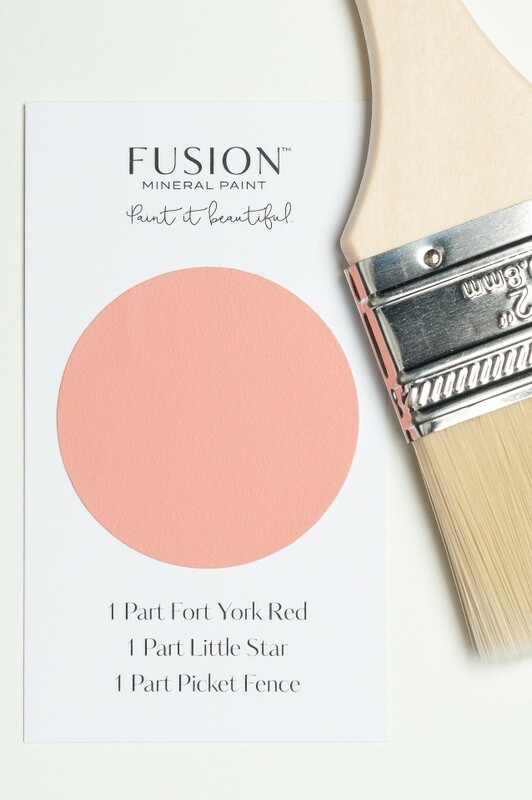 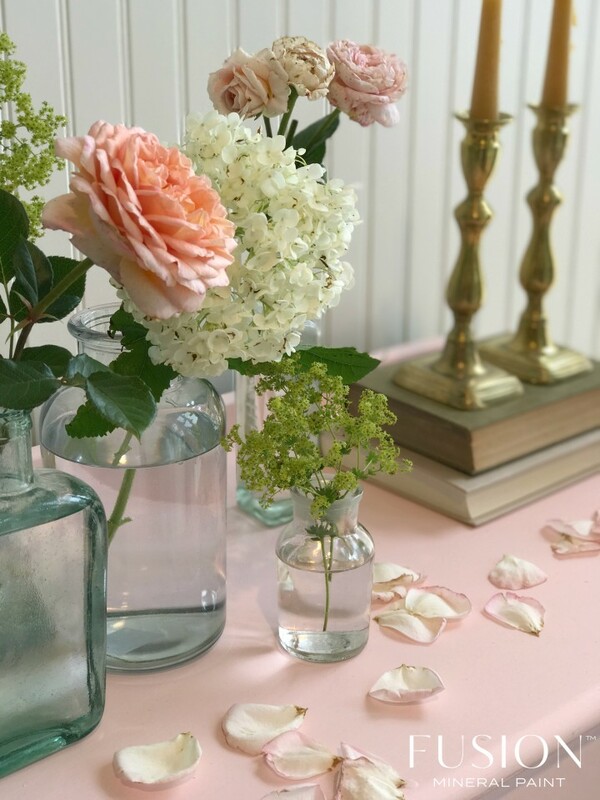 Incredibly soft, this hue is like painting with the first bloom of a blush rose. 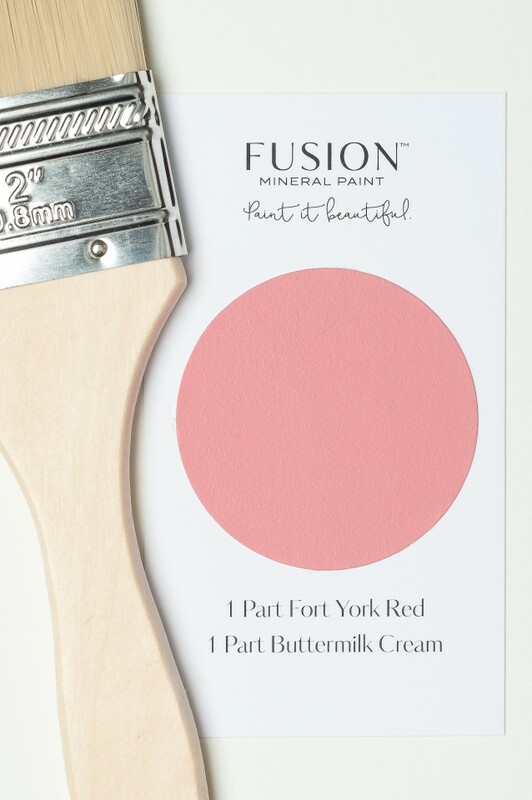 This millennial pink is so very on trend. 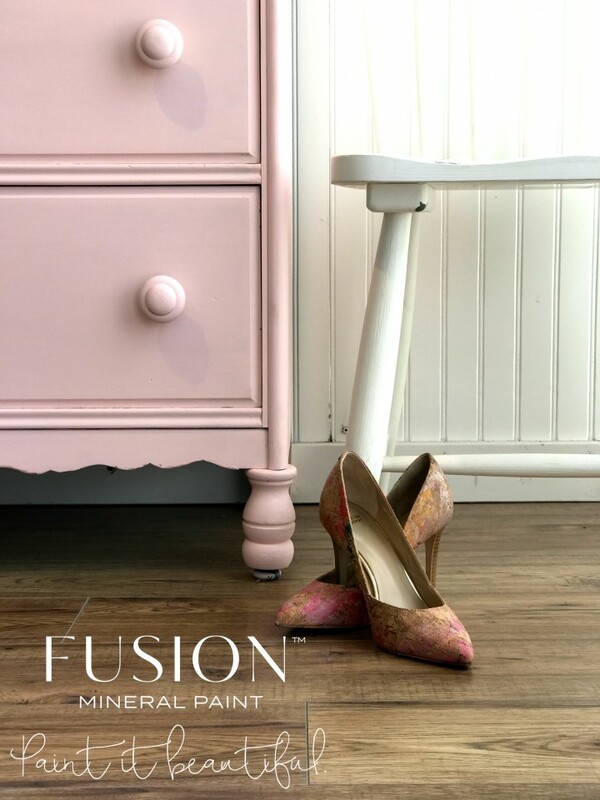 You cannot fail to spot pink in fashion, interiors and accessories in every store and magazine. 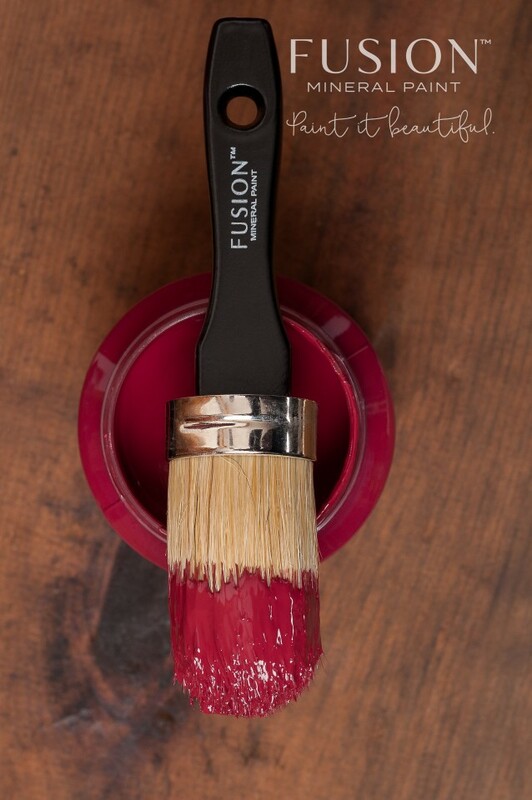 This vibrant fire engine red has been extremely popular over the years. 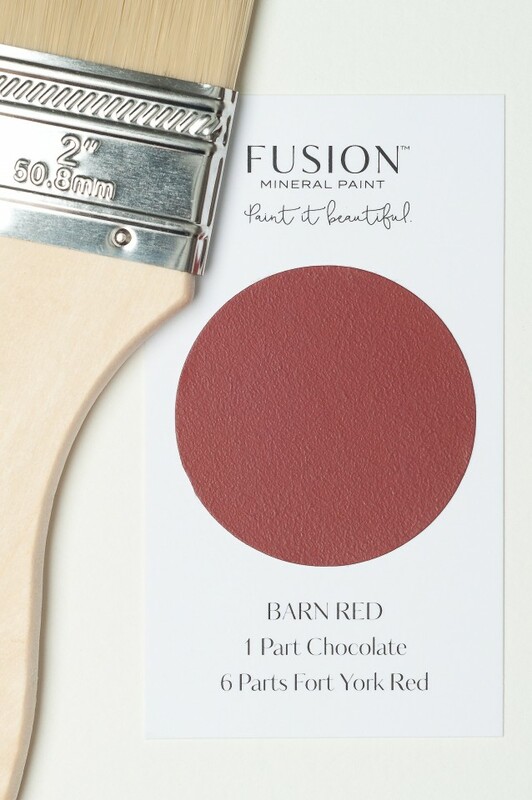 Splashes of this red really pops with excitement in an otherwise neutral room. 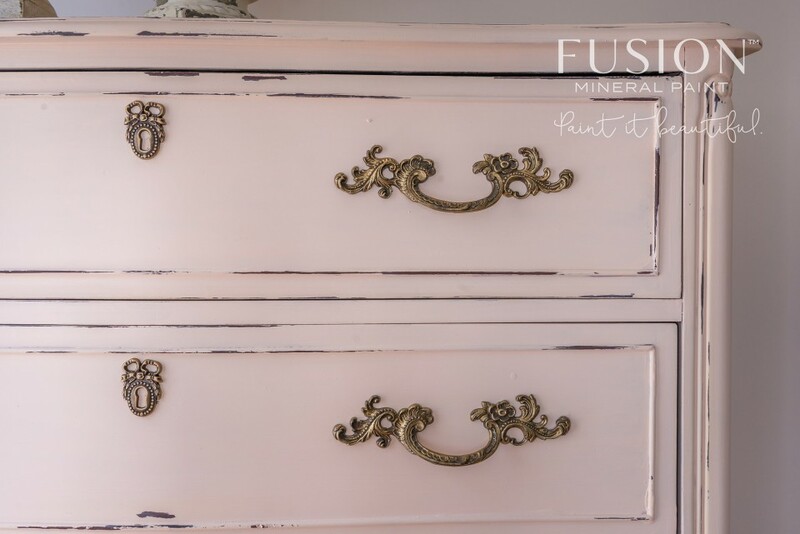 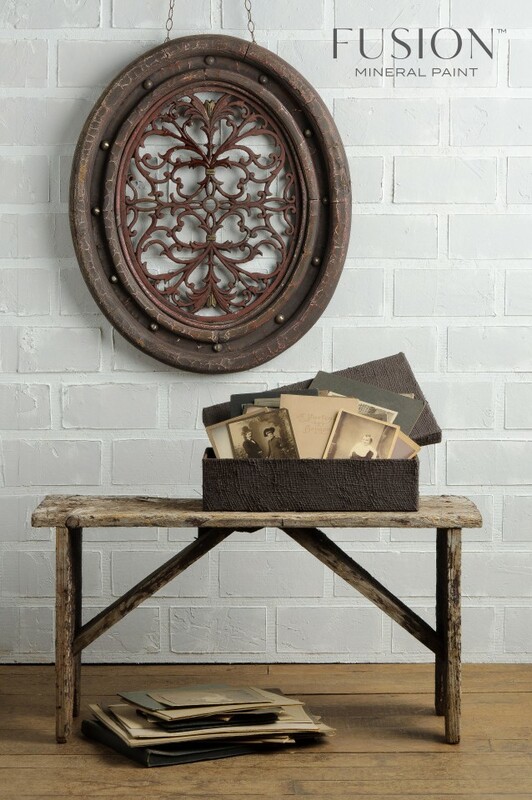 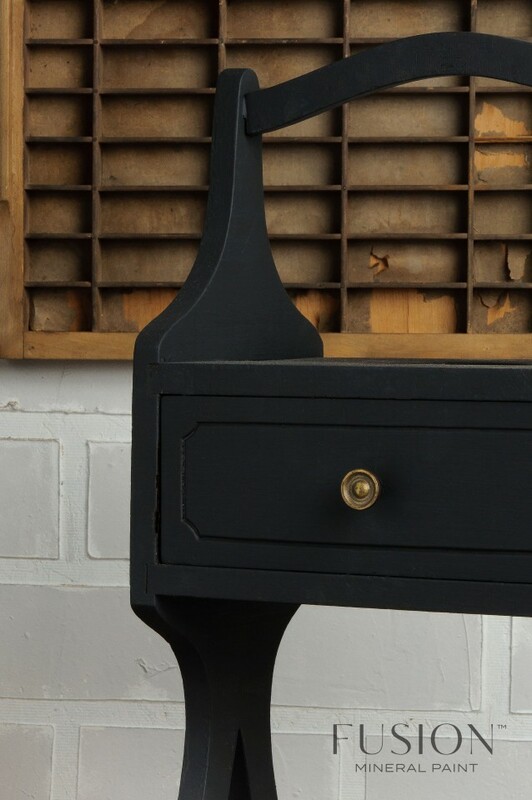 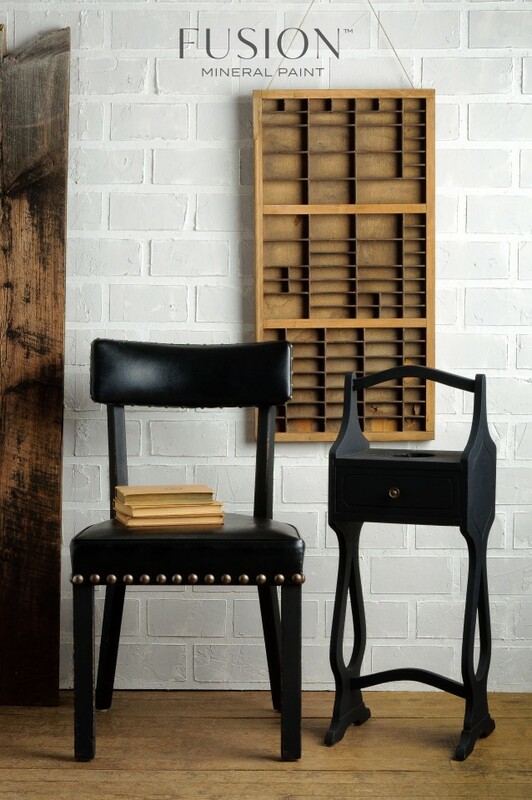 When used under Coal Black or Ash for the distressed look, it can accentuate the mouldings or edges on the furniture piece. 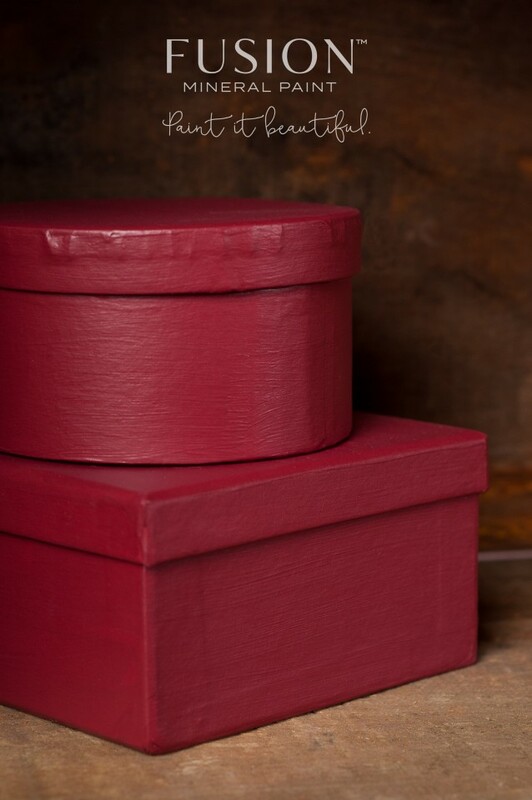 A natural luscious burgundy red reminiscent of cranberries. 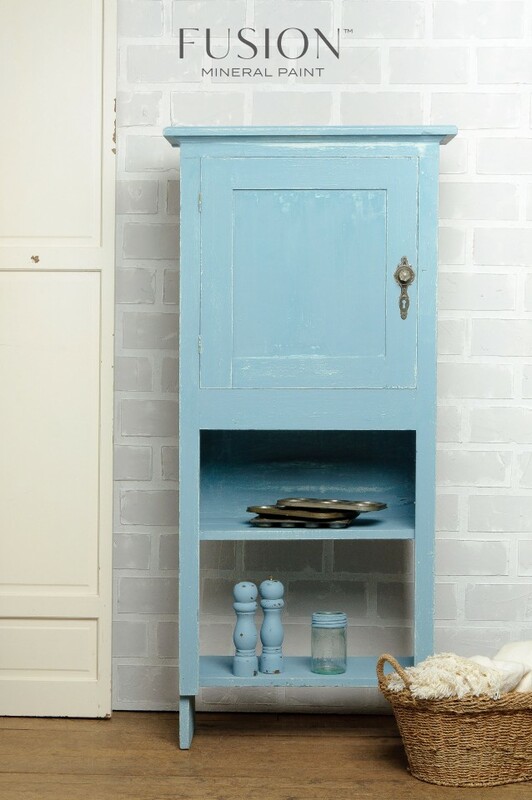 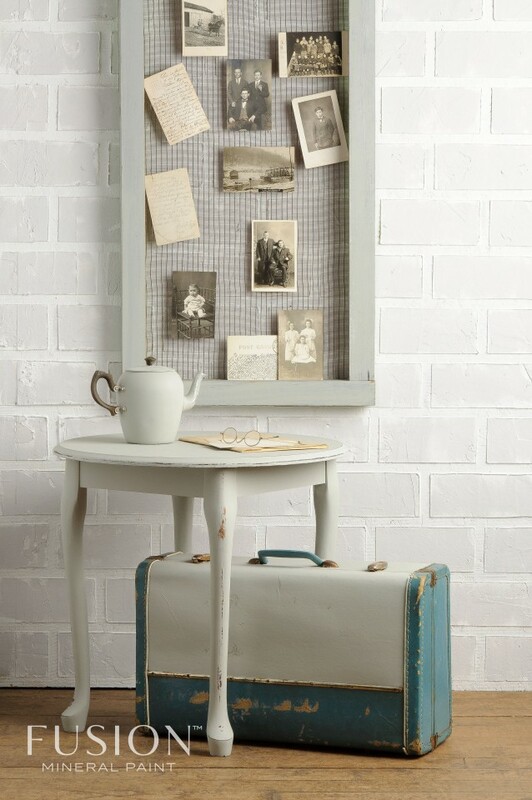 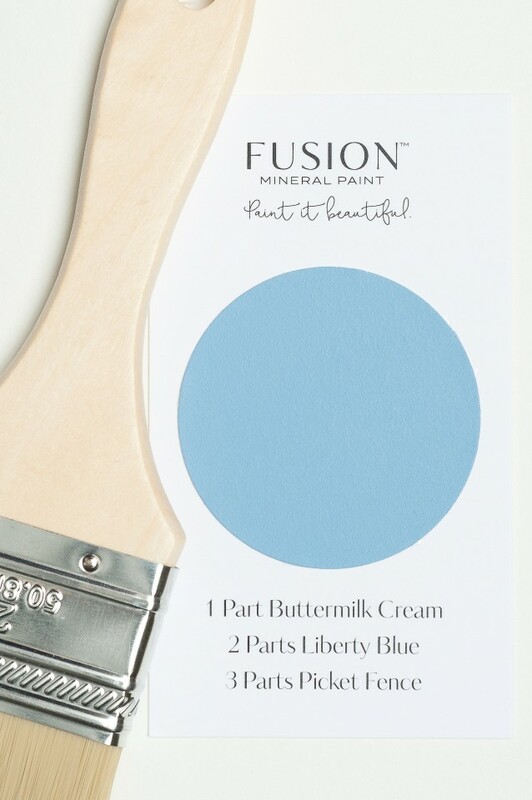 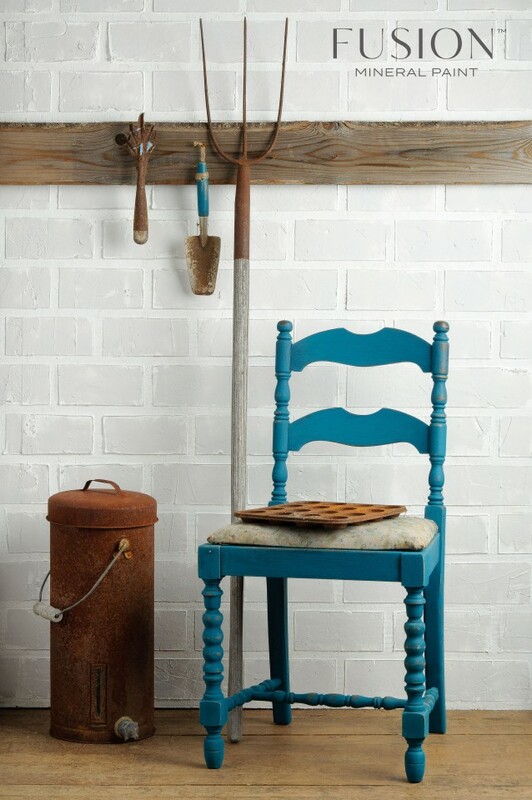 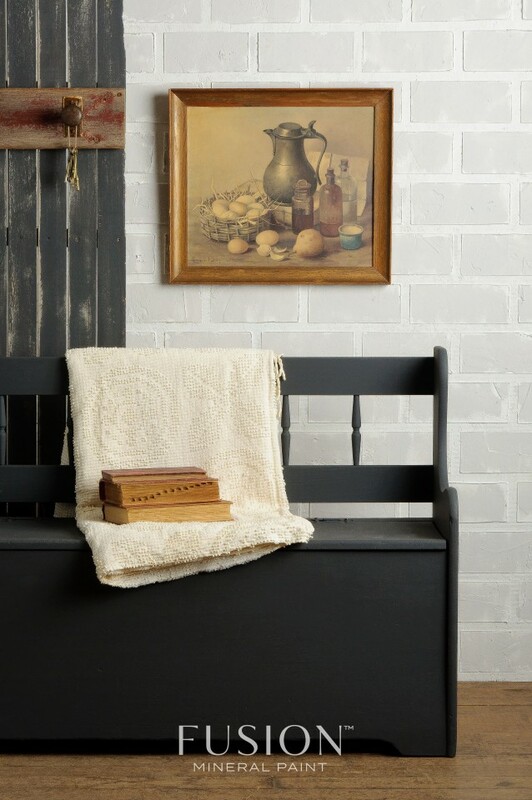 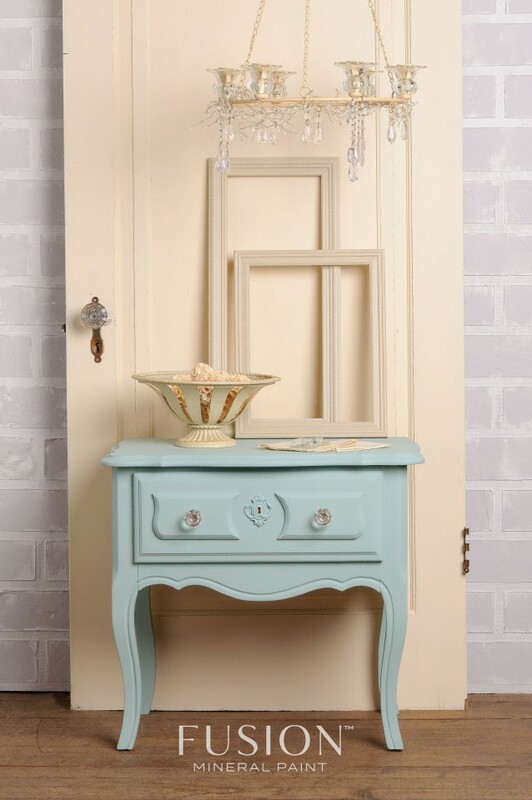 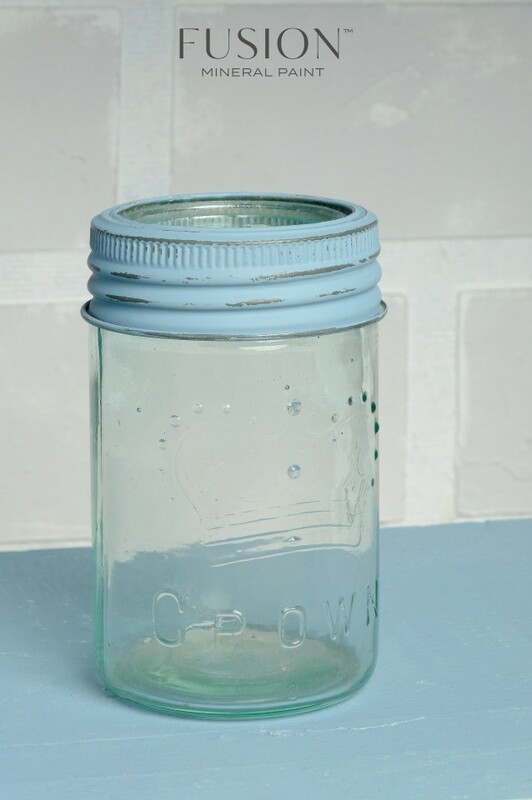 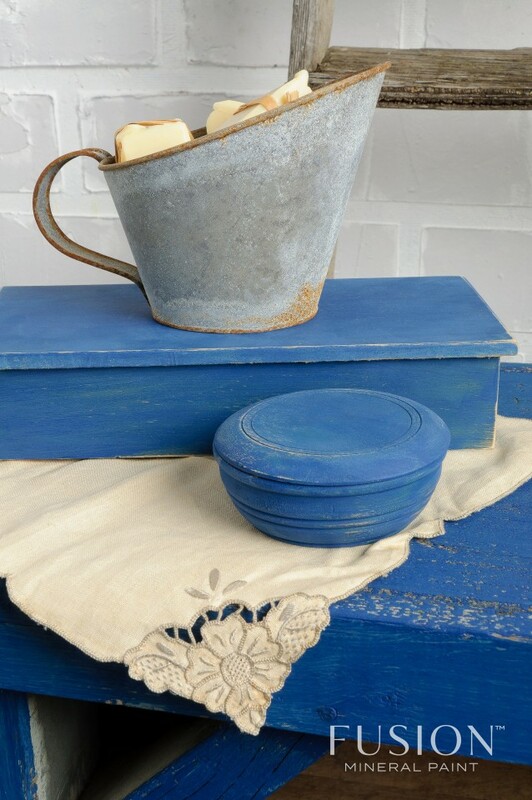 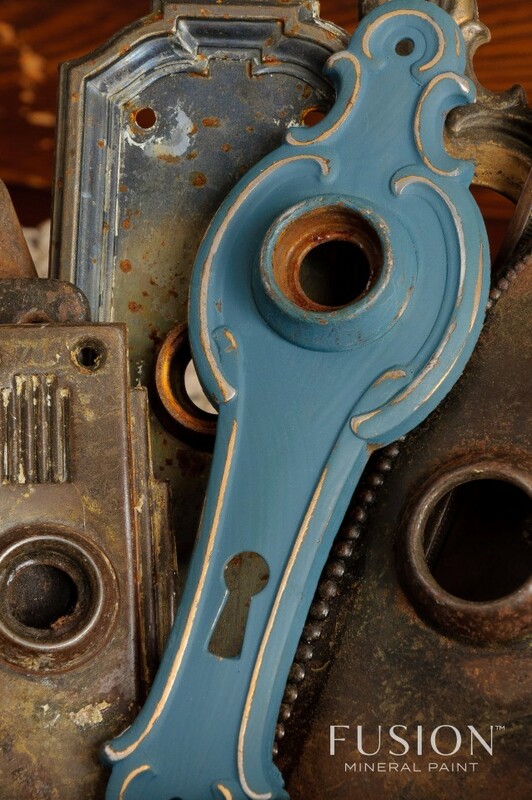 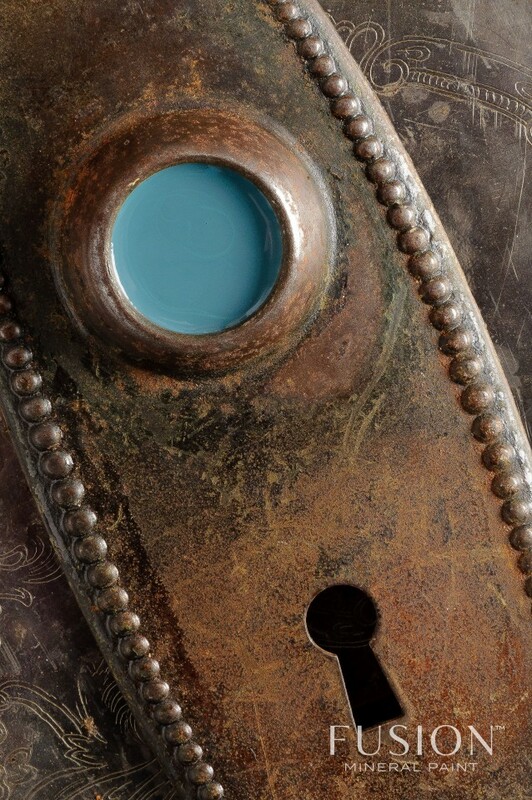 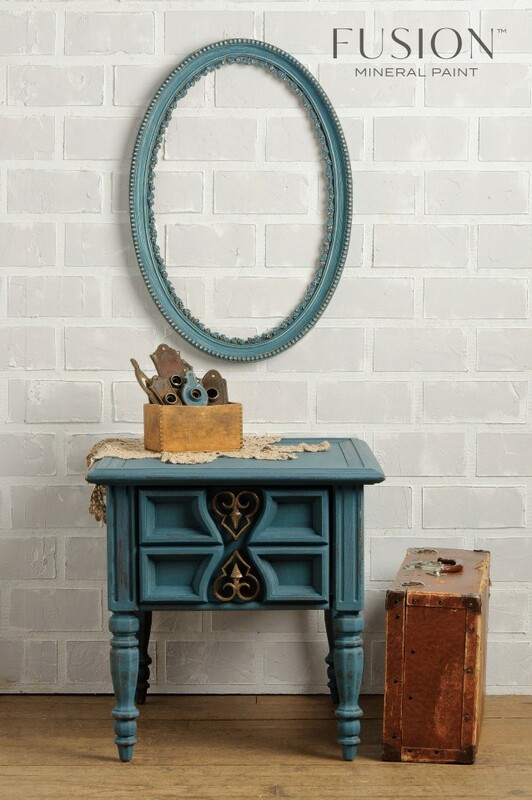 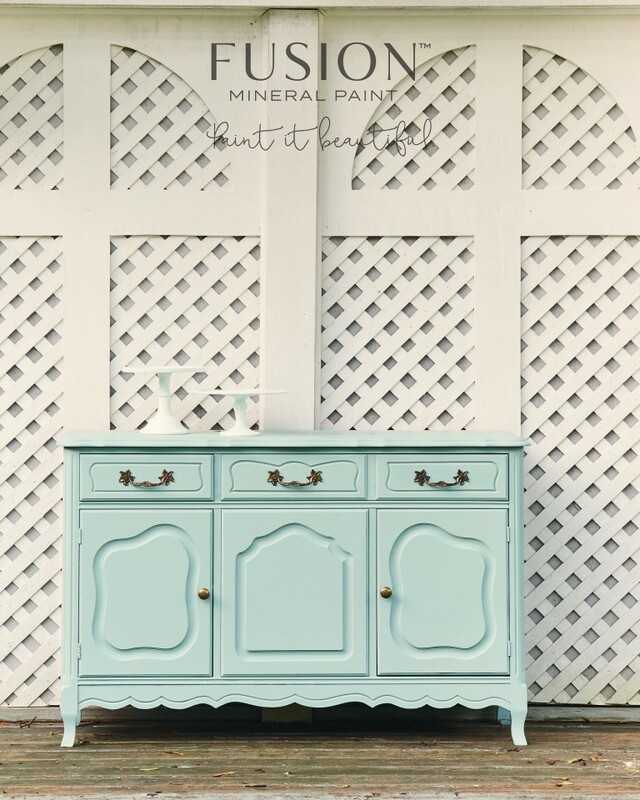 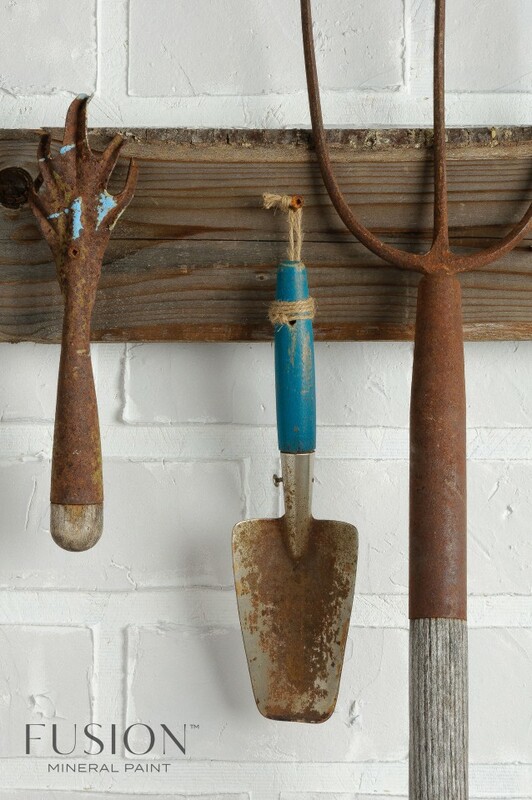 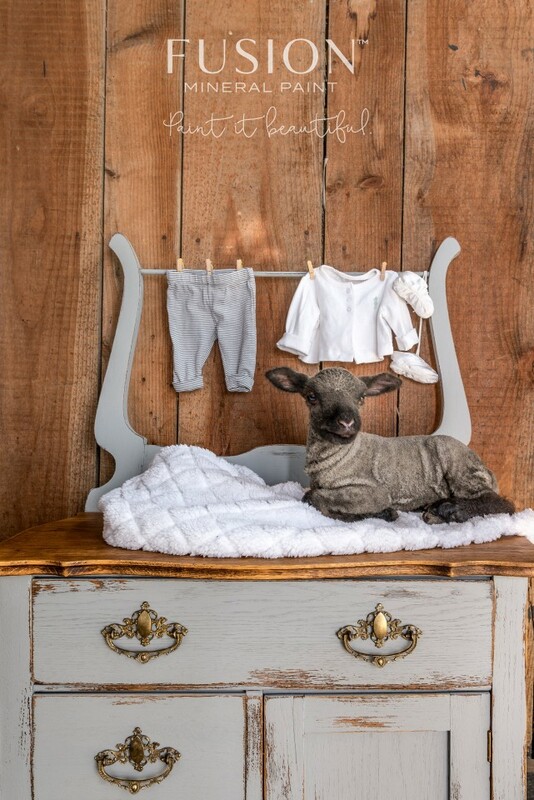 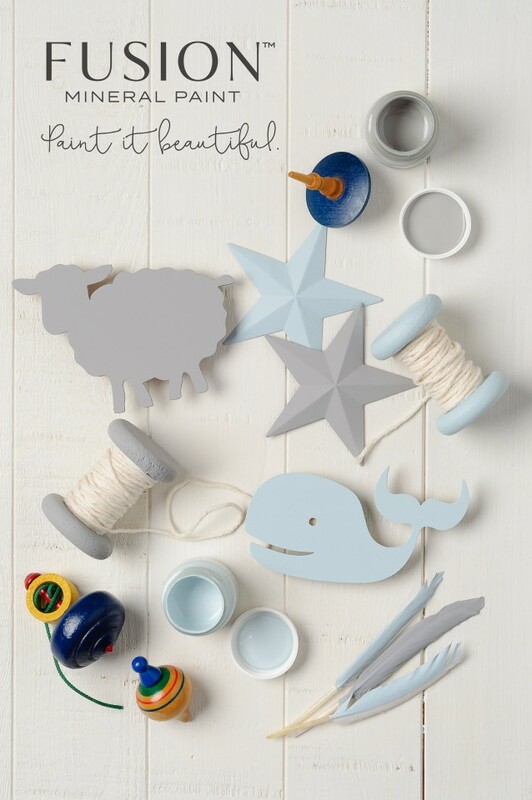 Heirloom is a cozy vintage blue that’s perfect for giving new life to old hand-me-down pieces in need of some love. 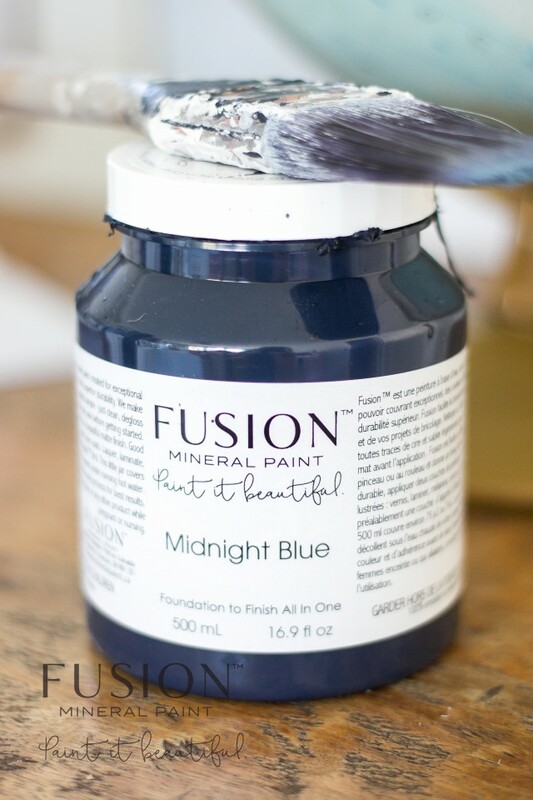 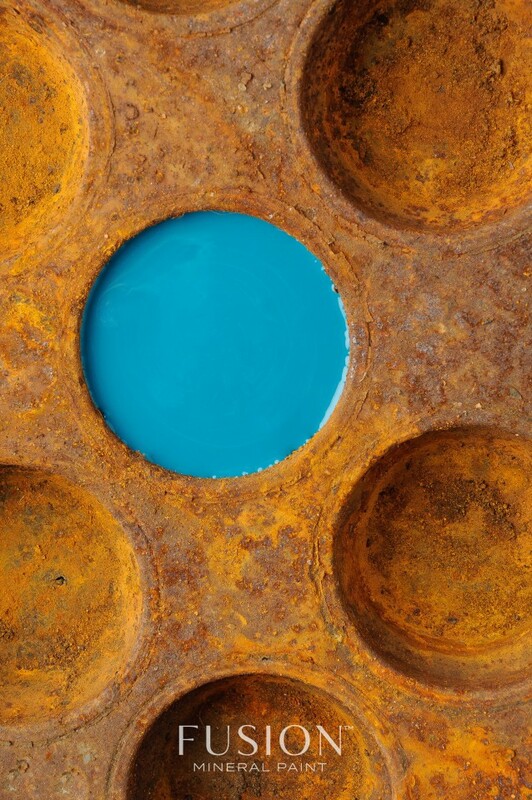 This highly saturated, intense royal blue has been one of our original blues for over 20 years. 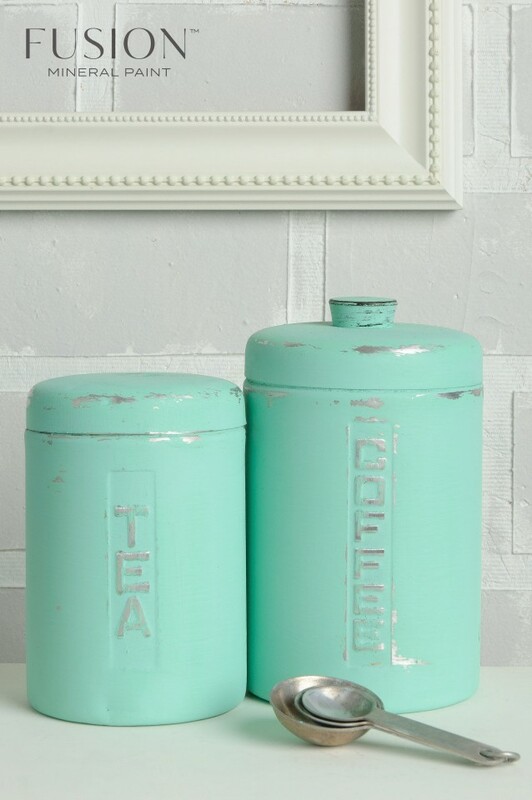 It definitely packs a punch and stands out. 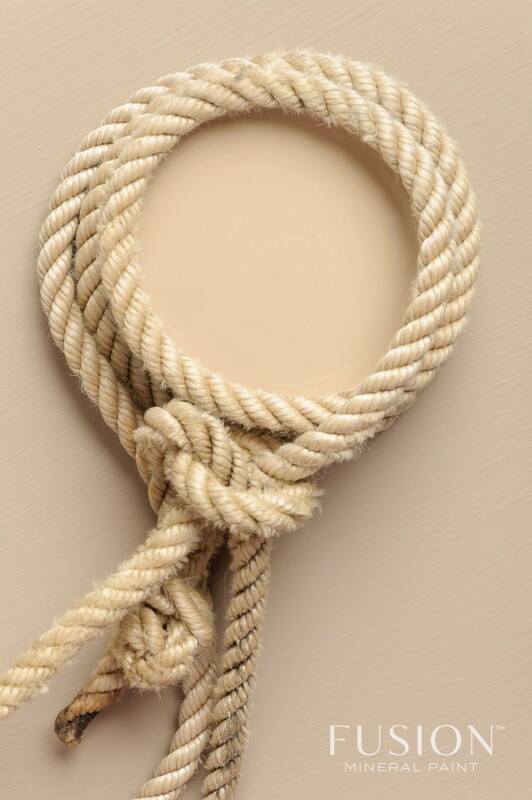 Use with caution!! 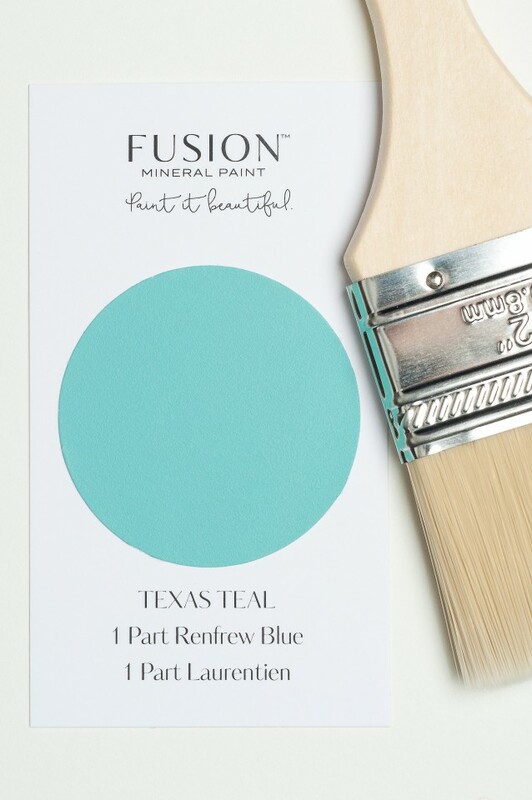 Add this season’s best shade of teal to create a signature statement piece. 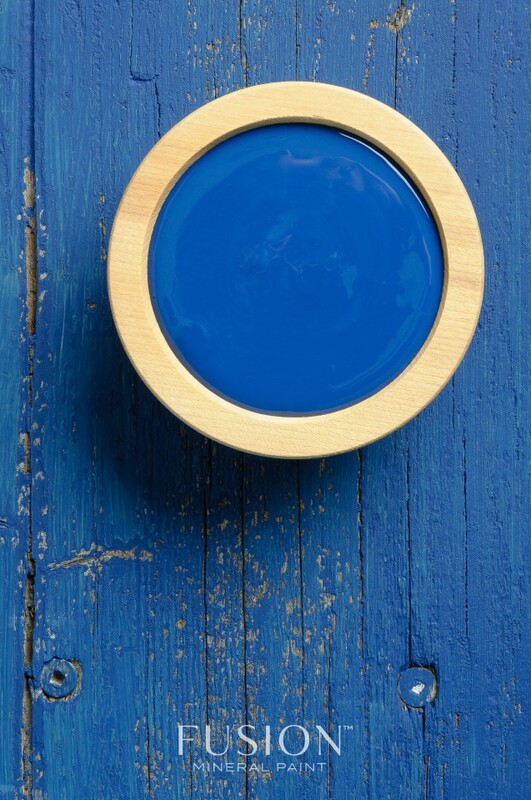 Like a statement piece of china or signature place setting, this blue is perfect for adding a pop of colour small or big! 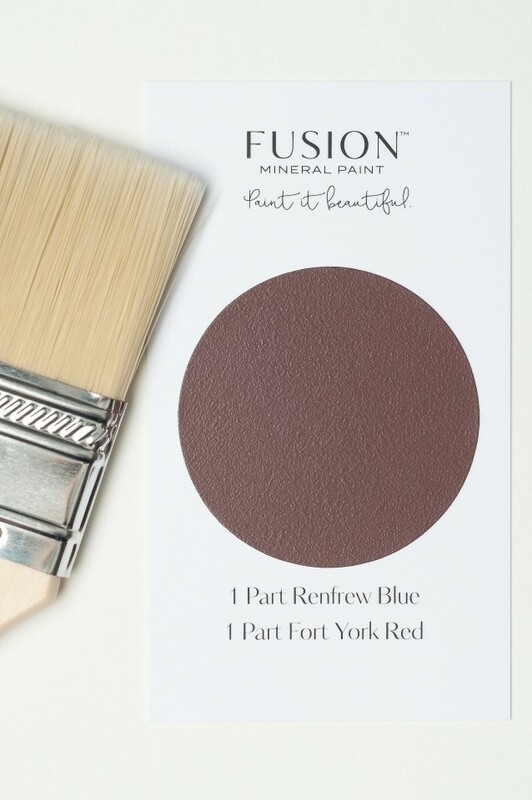 Like the rich tones of a vintage piece of jewelry, this colour is bold, yet refined. 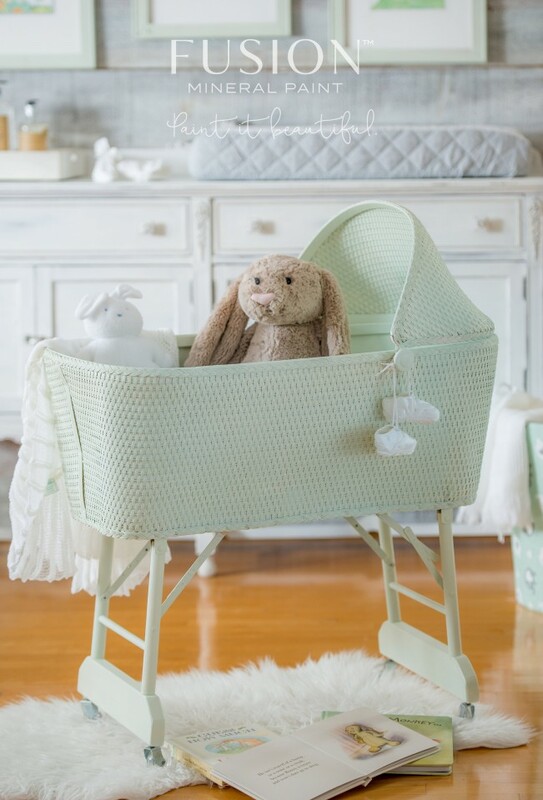 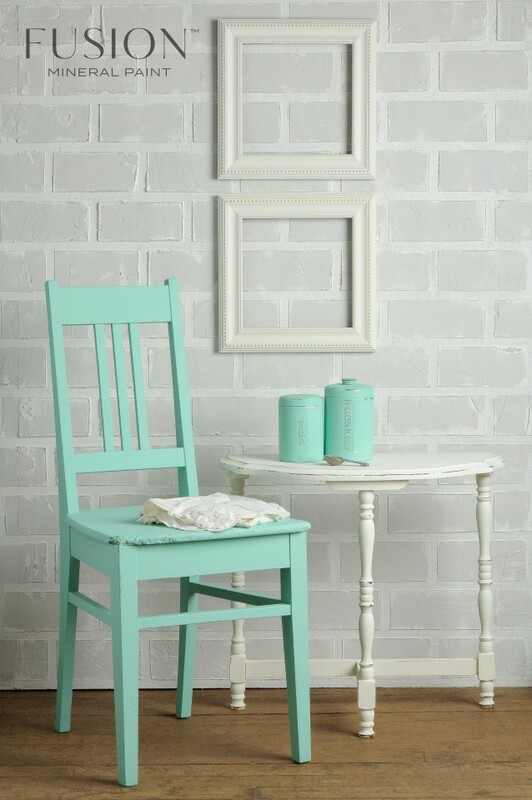 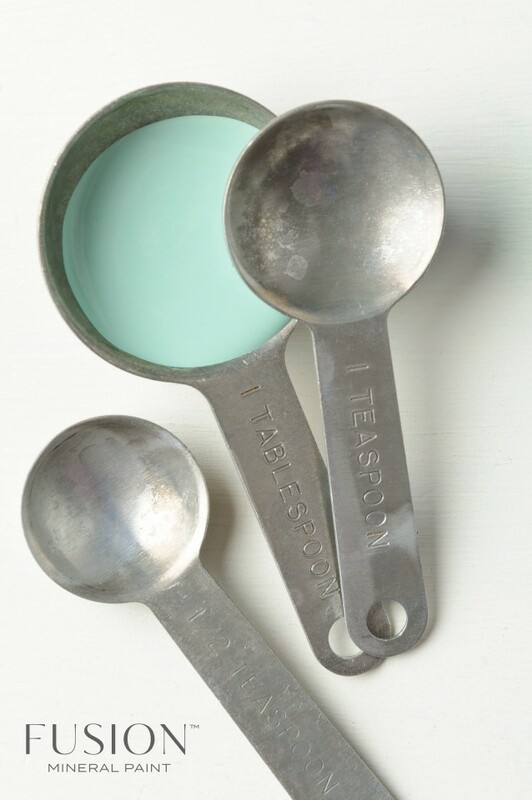 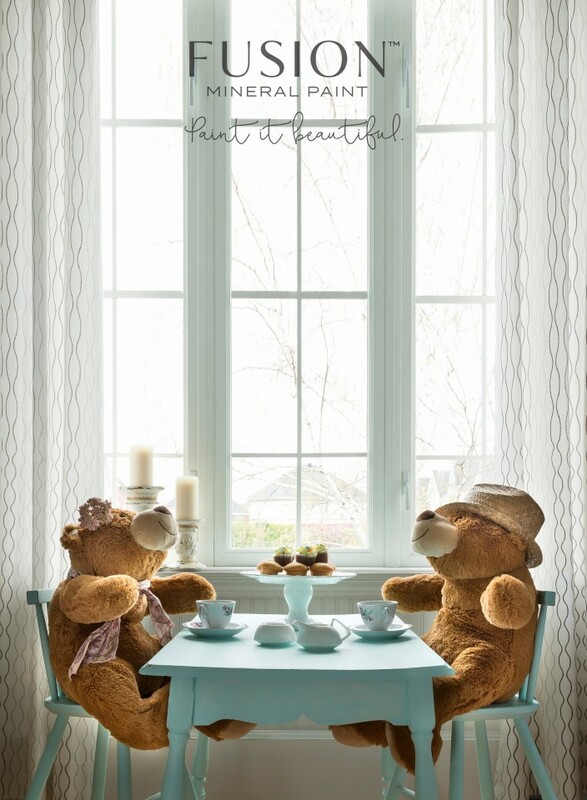 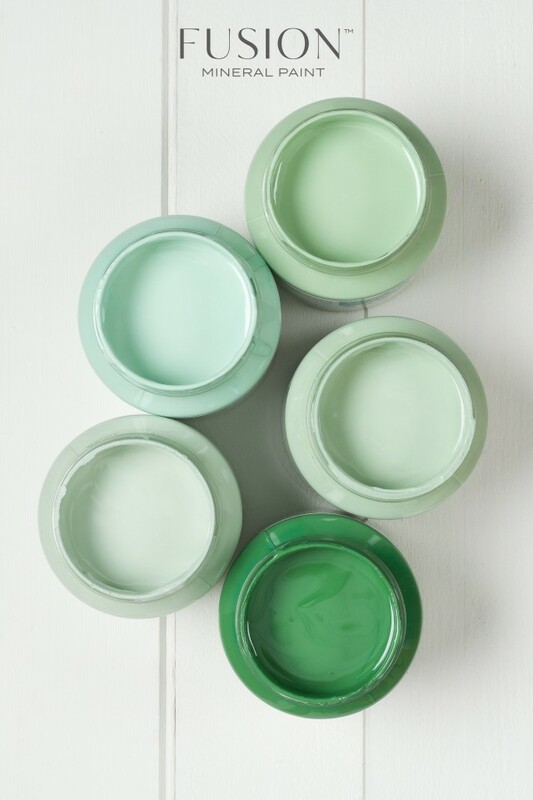 This on-trend minty green is a sweet addition to any space. 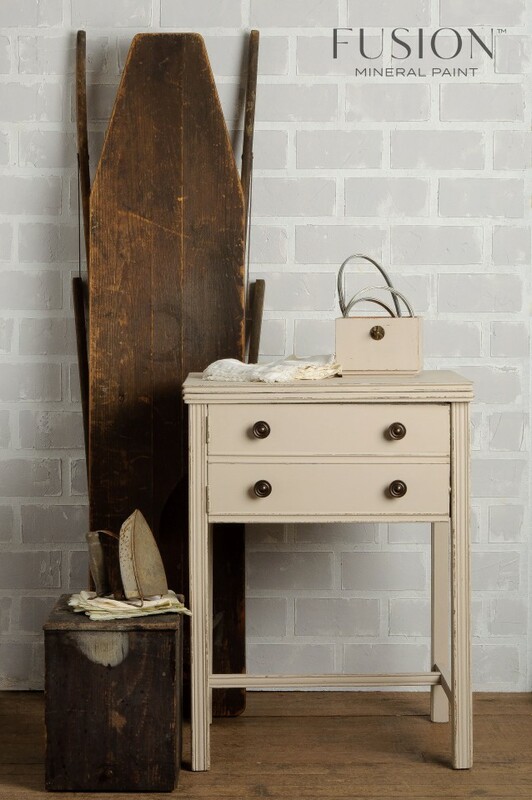 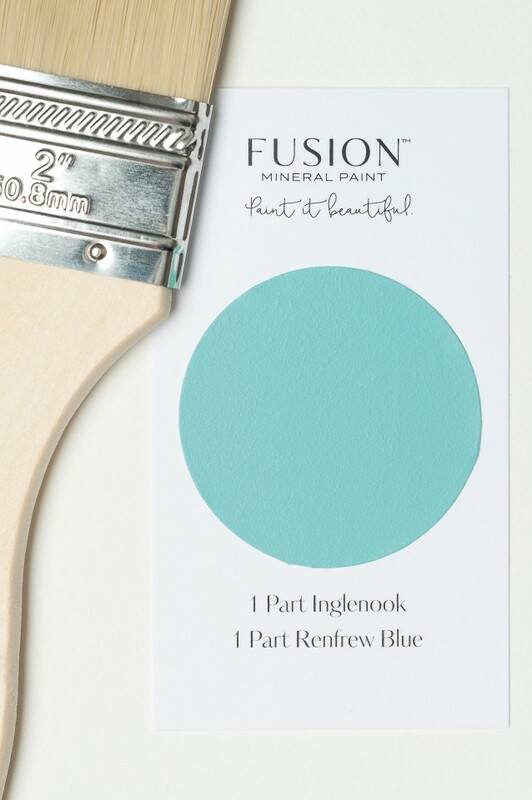 One of most popular colours, Inglenook is a soft blue-grey with just a hint of pale green. 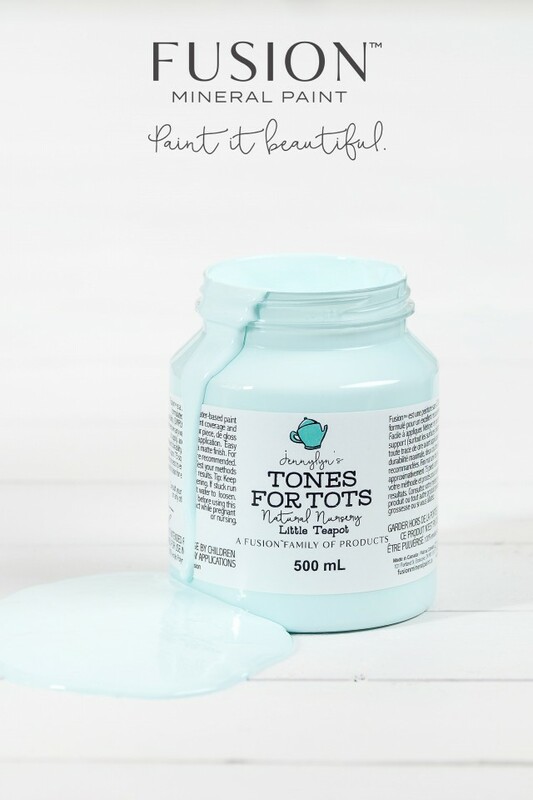 It shows very well when used with clean crisp colours. 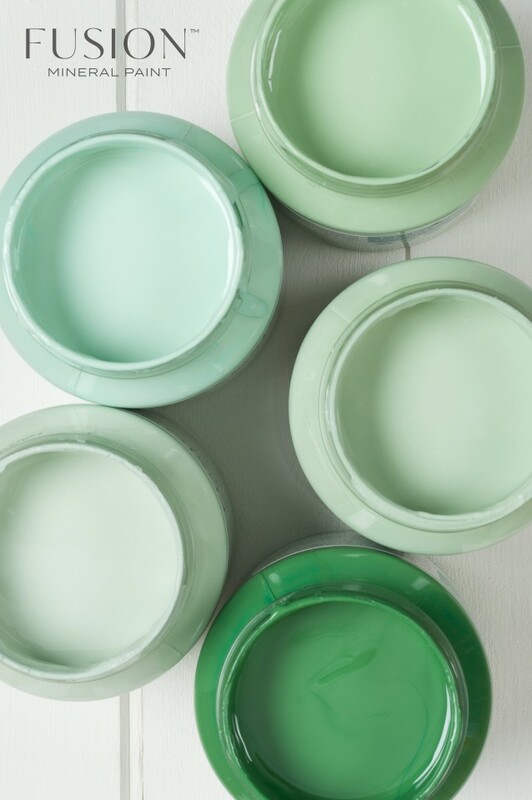 Depending on the lighting, it can look more blue, or more green. 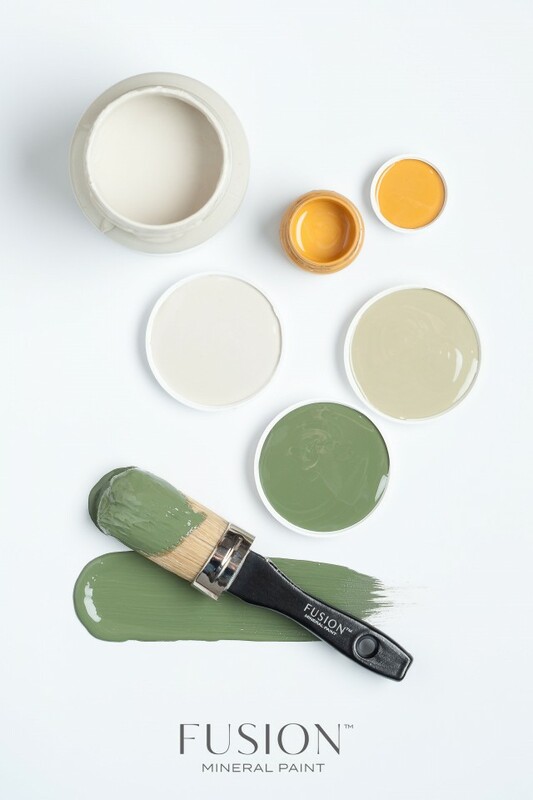 Reminiscent of the lily pads on a serene pond, this calm green is ideal for adding a pop of colour without being overwhelming. 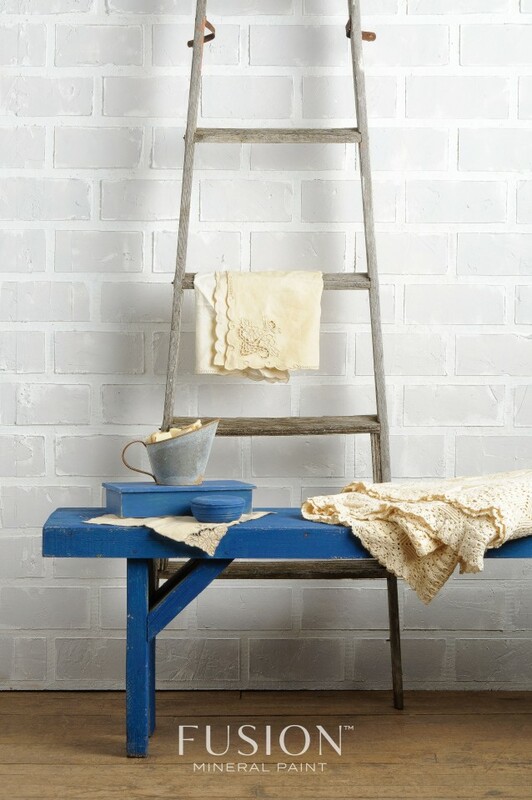 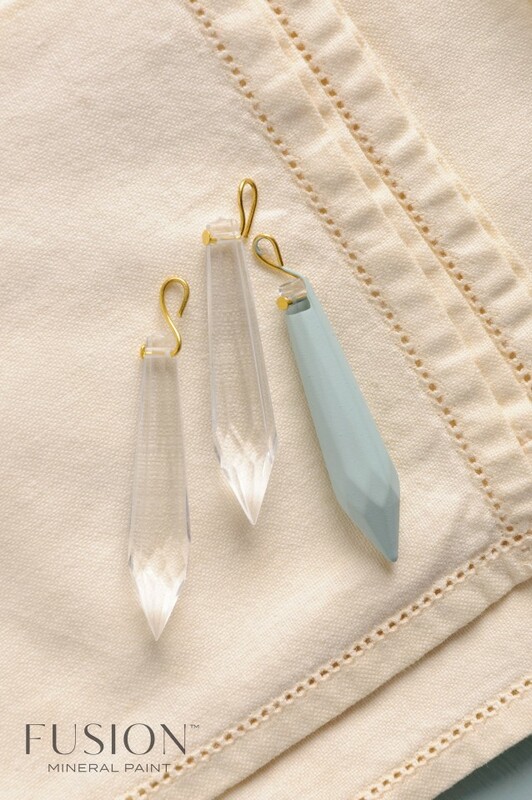 Goes well with warm neutrals and blues. 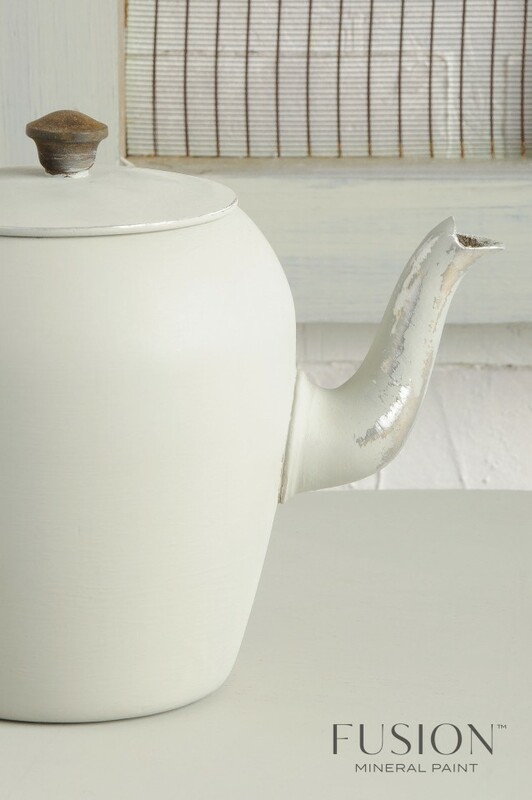 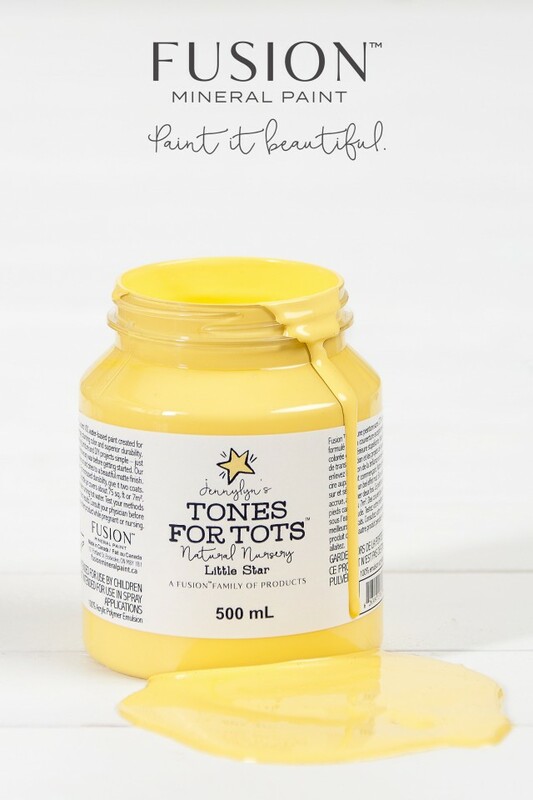 One of our hidden gems, this is a mid-range neutral grey with a strong yellow tone. 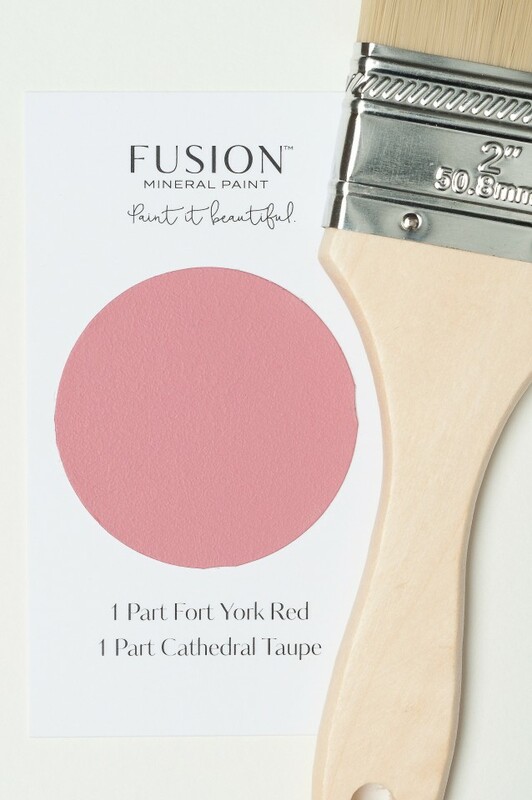 Goes well with the colour Limestone, Ash and Fort York Red. 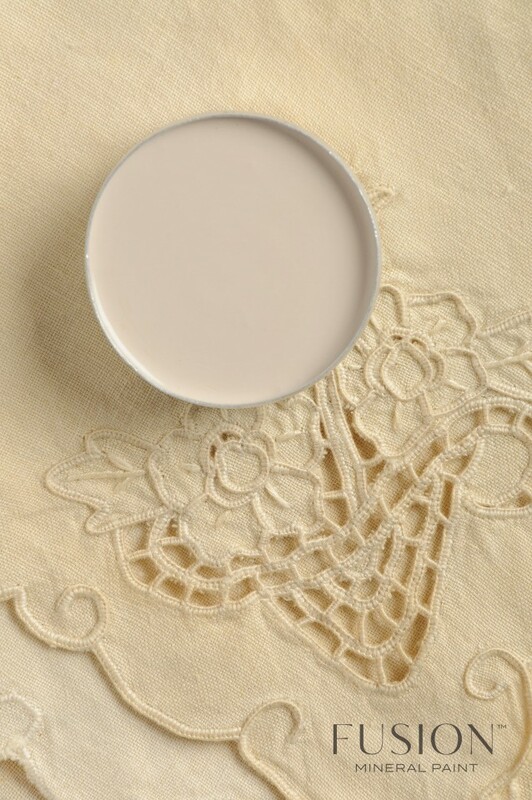 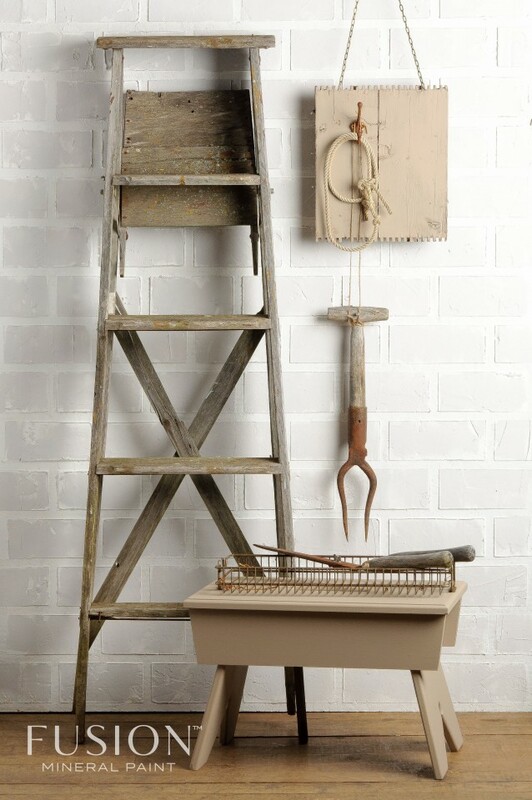 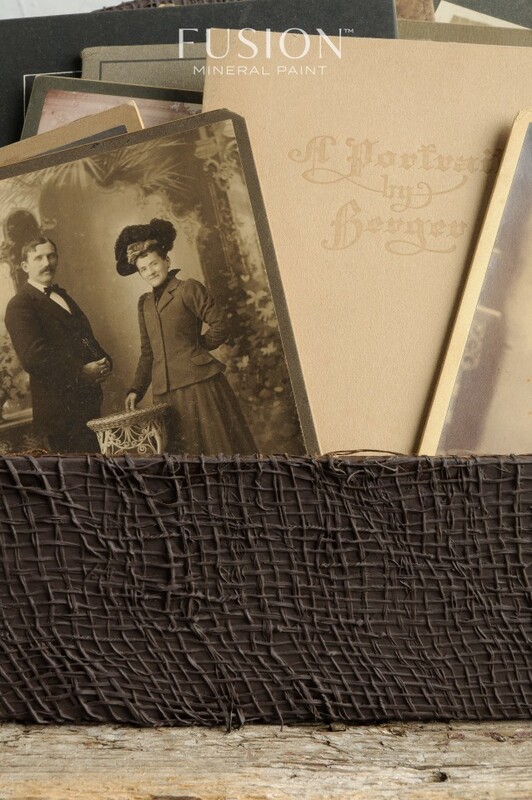 A beautifully warm neutral grey-brown, Linen can appear antique or modern depending on its application. 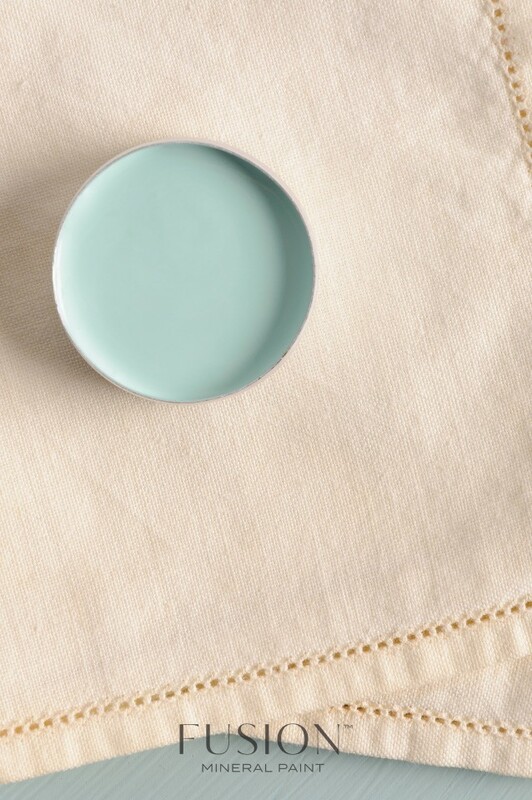 Either way, just like the feeling of fresh-washed linen, it’s bound to bring a warm and cozy feel to the room. 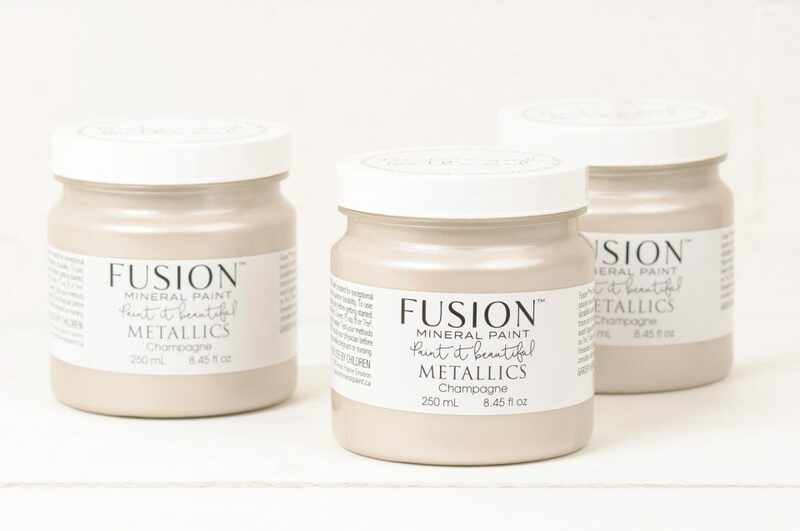 Metallics are hot and on-trend. 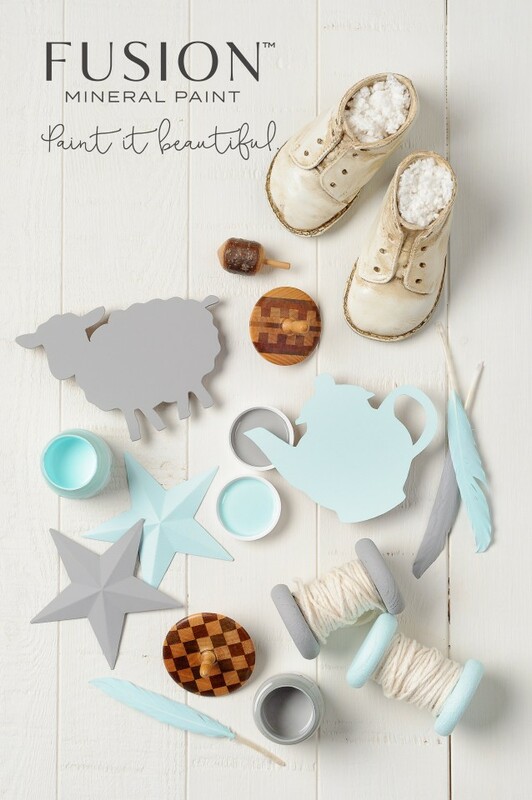 Check out our stunning collection to add a little extra to your style! 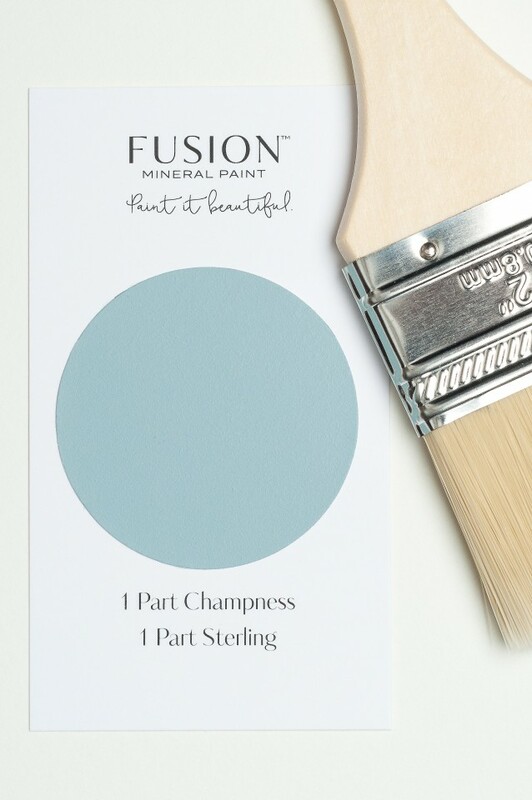 The beautiful iridescent sheen of our Pearl Metallic is sure to make jaws drop. 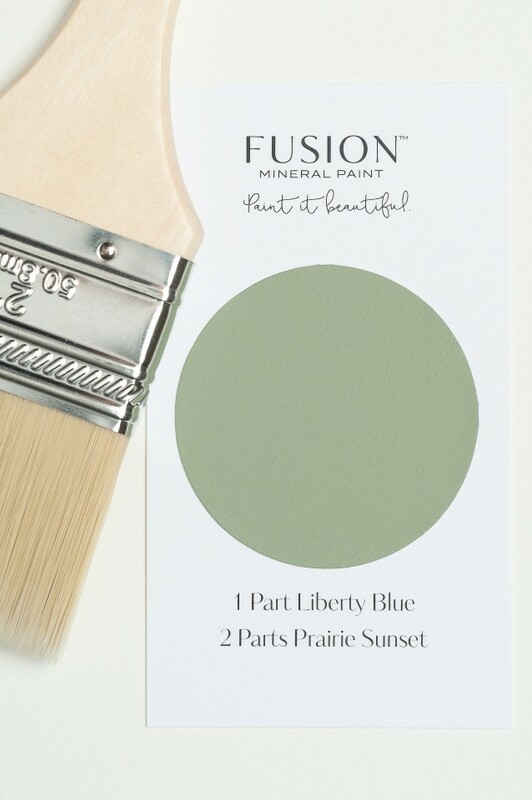 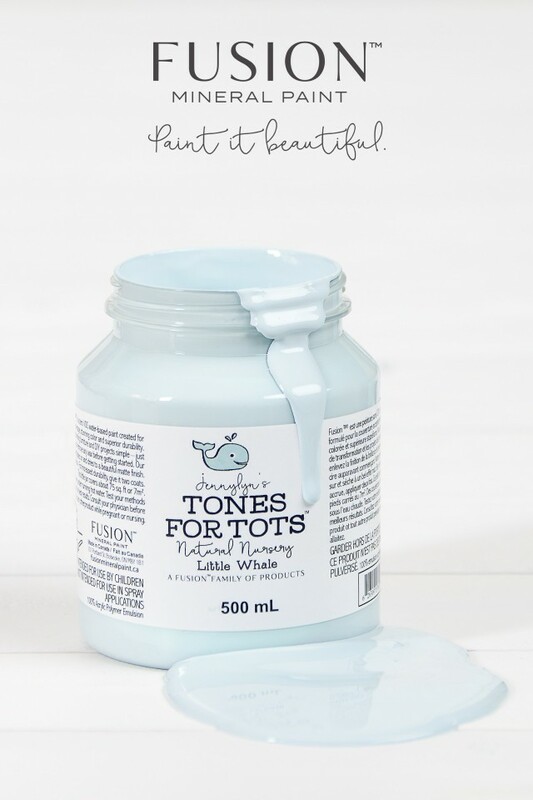 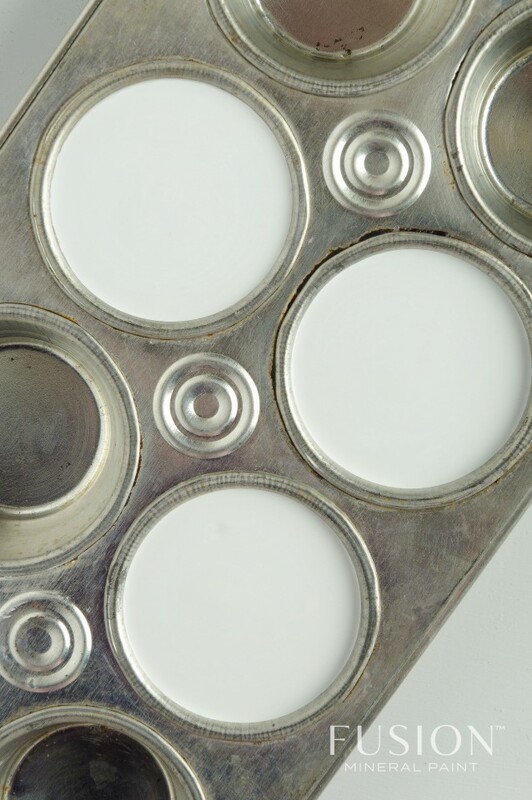 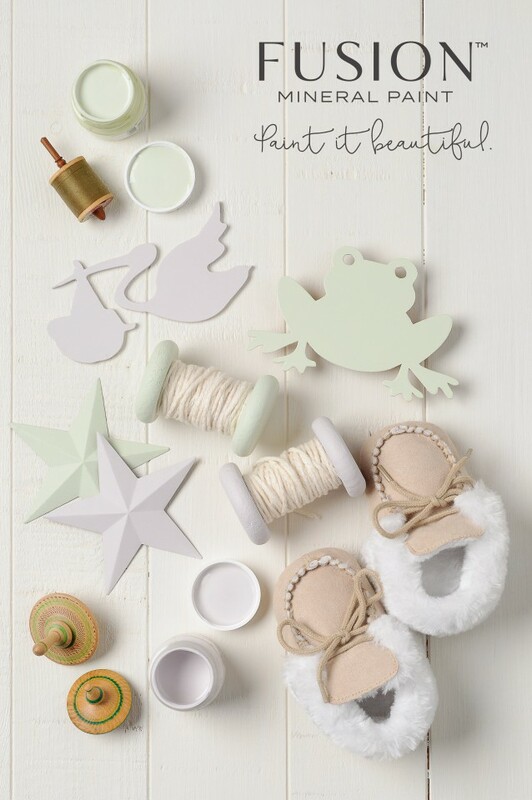 Perfect for adding the slightest pearlescent accent that works beautifully with just about anything. 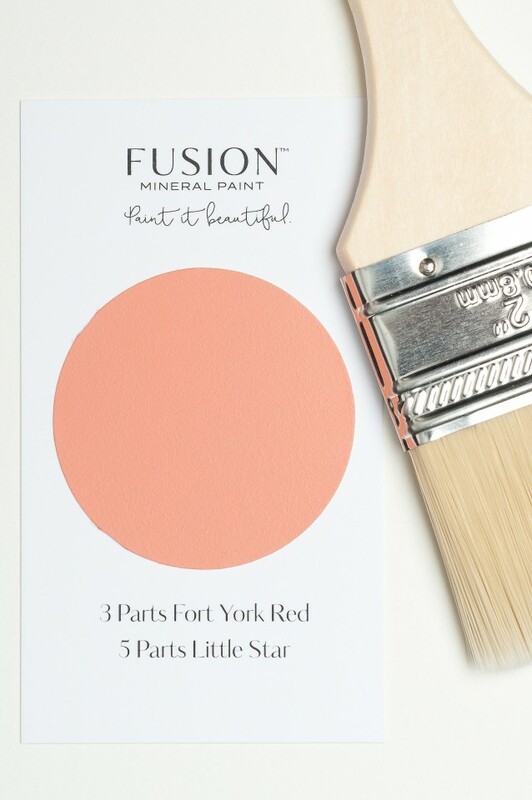 Accented with the slightest pink hue, the result is a sparkling rose gold colour. 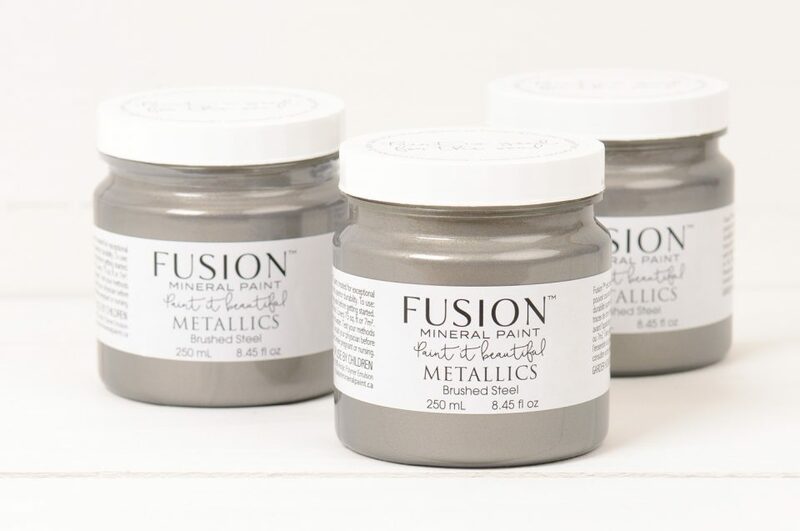 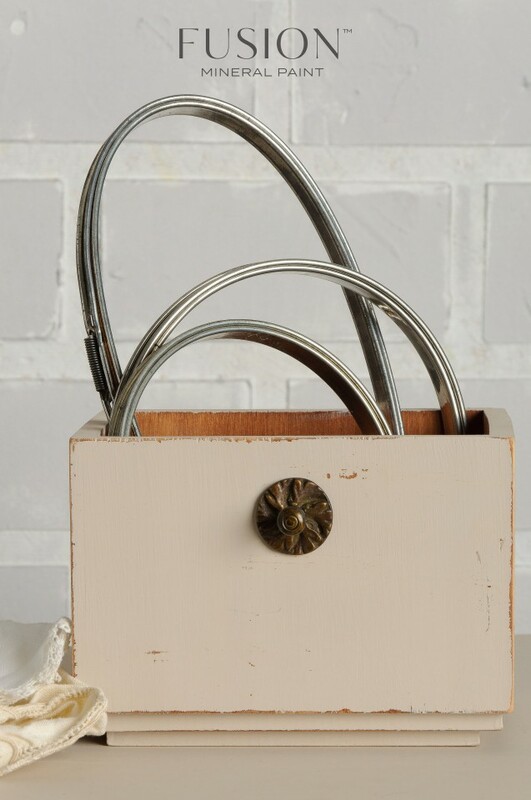 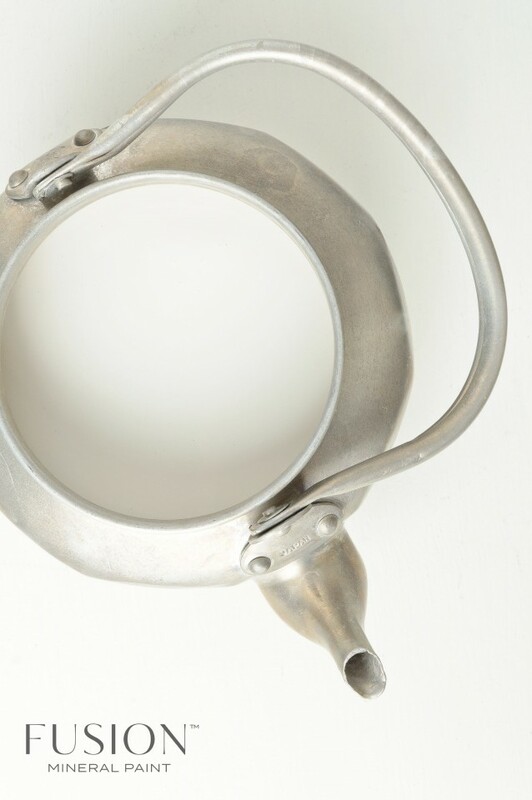 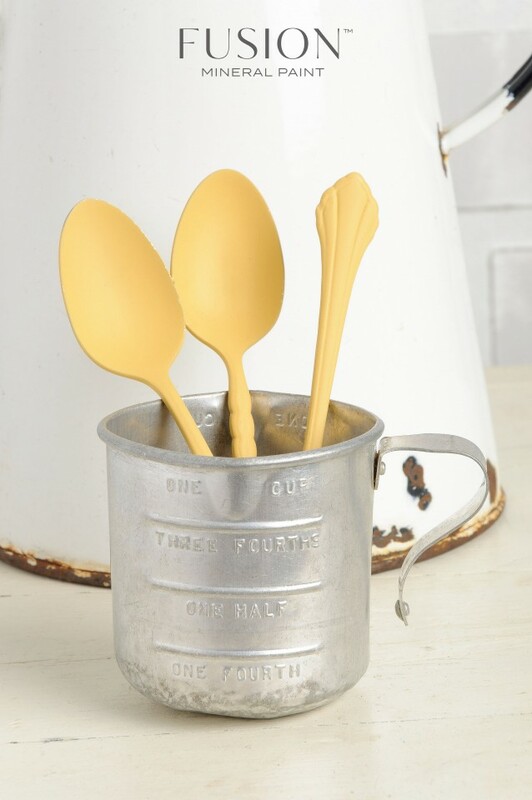 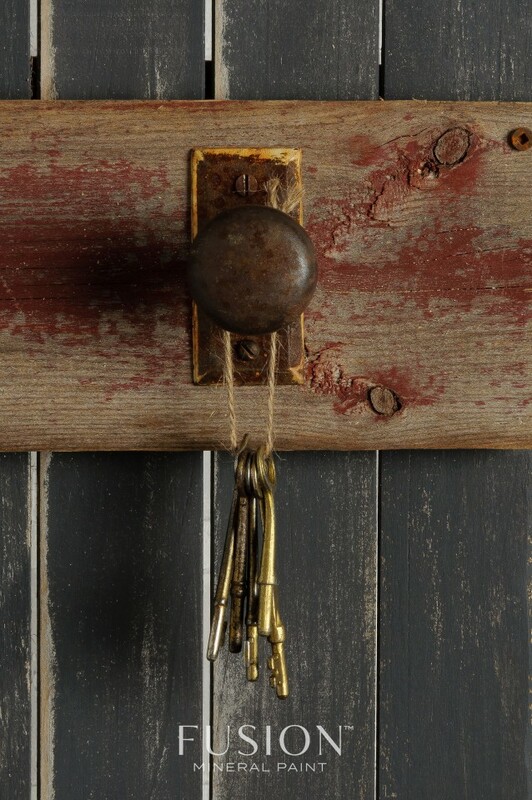 One of our most popular, the Brushed Steel Metallic is perfect for adding a rustic faux-metal look. 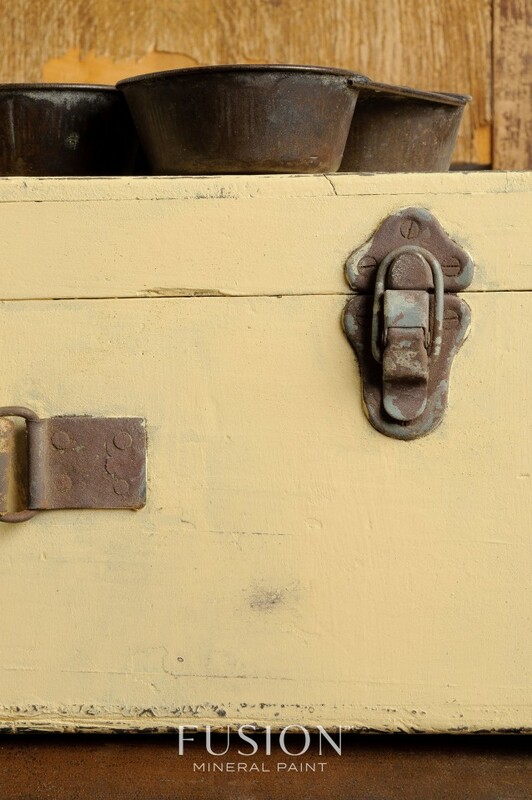 People will be hard-pressed to tell the difference between it and real steel. 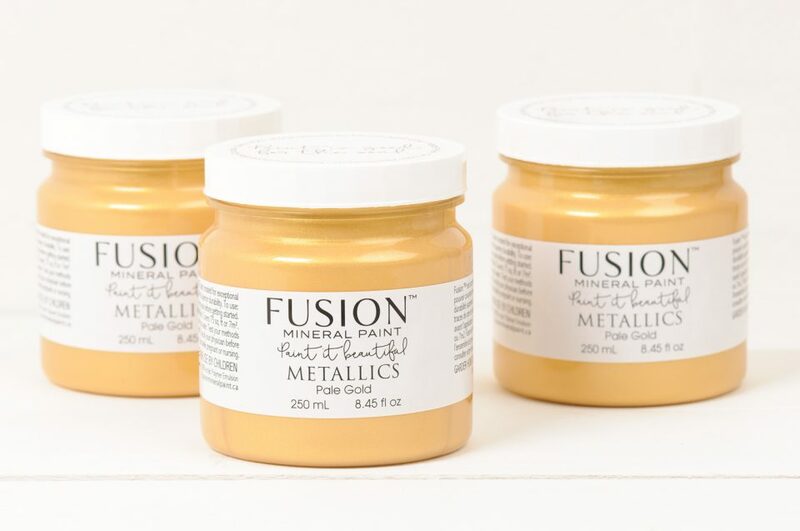 We couldn’t create this line without including gold. 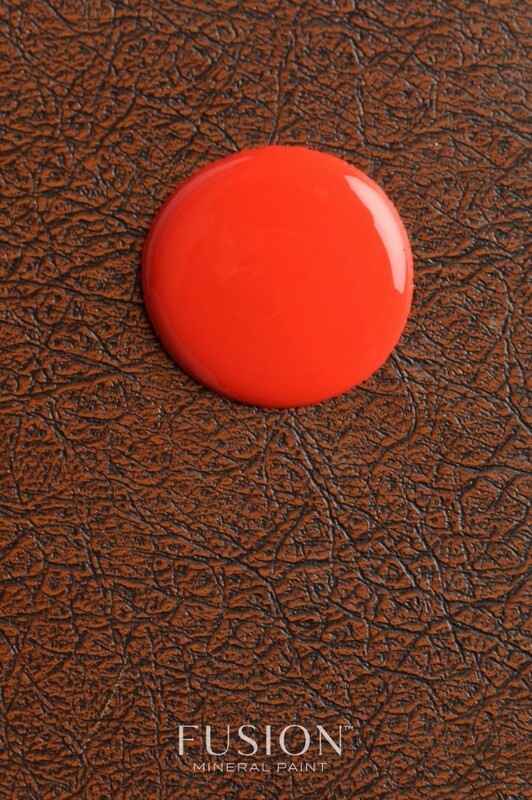 Our top seller, the Copper Metallic is a striking deep burnt sienna colour. 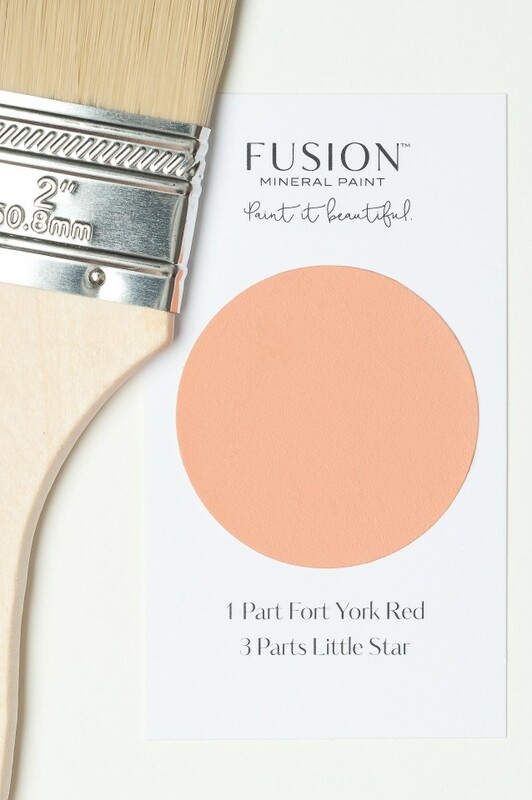 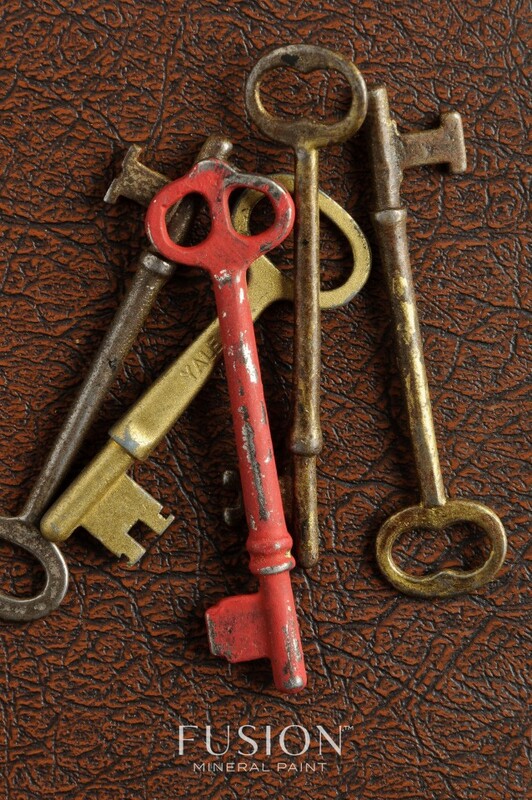 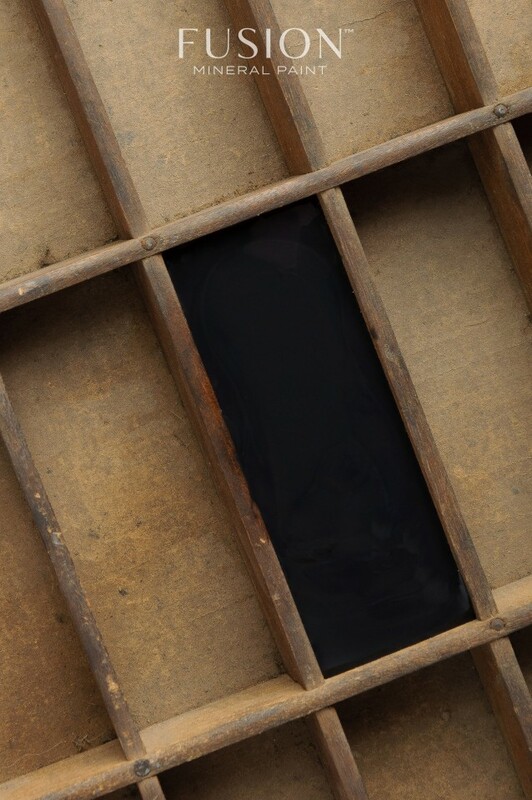 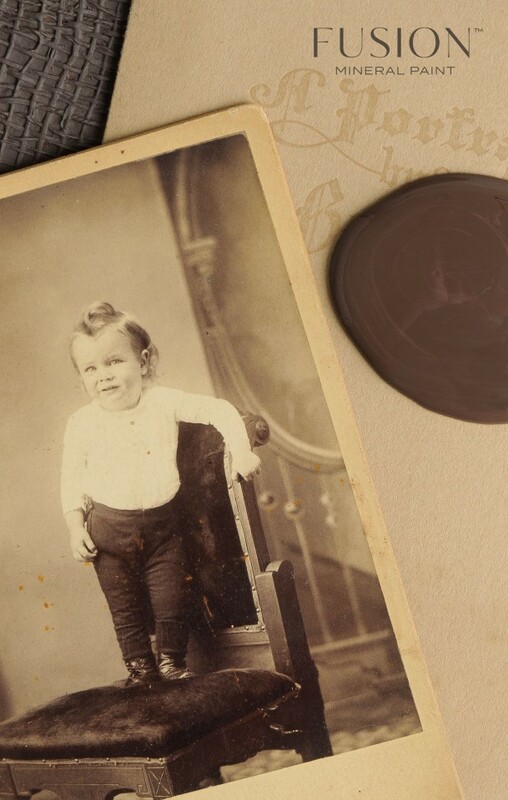 Use with dry-brushed accents of Fusion™ Ceramic to create a faux Copper patina effect. 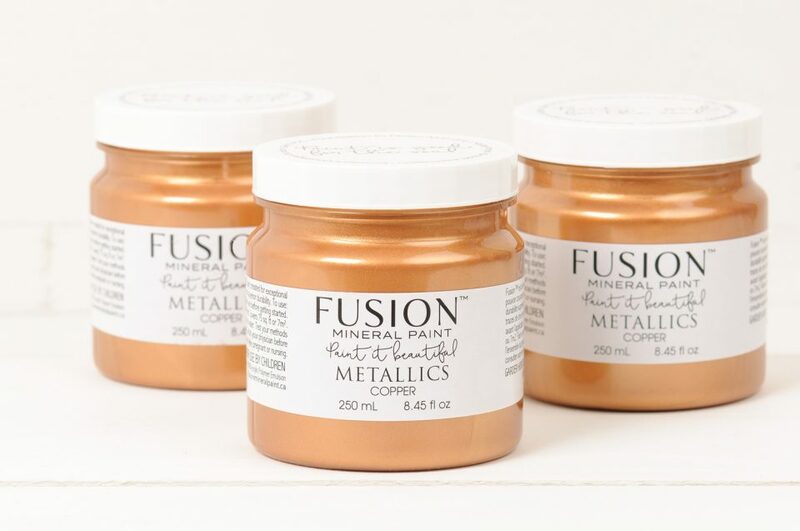 Our Bronze Metallic is so deep and rich, it is sure to bring a lavish, regal feel to your décor.